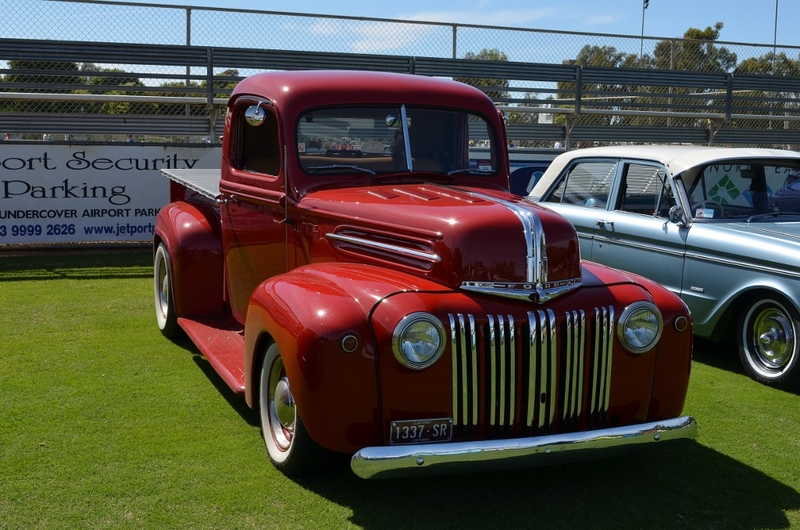 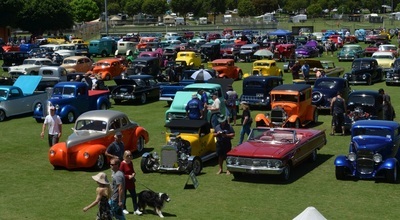 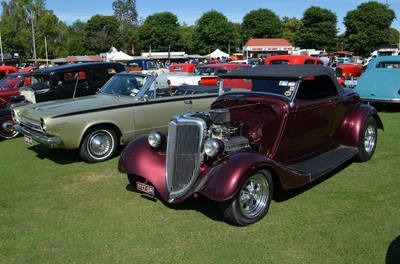 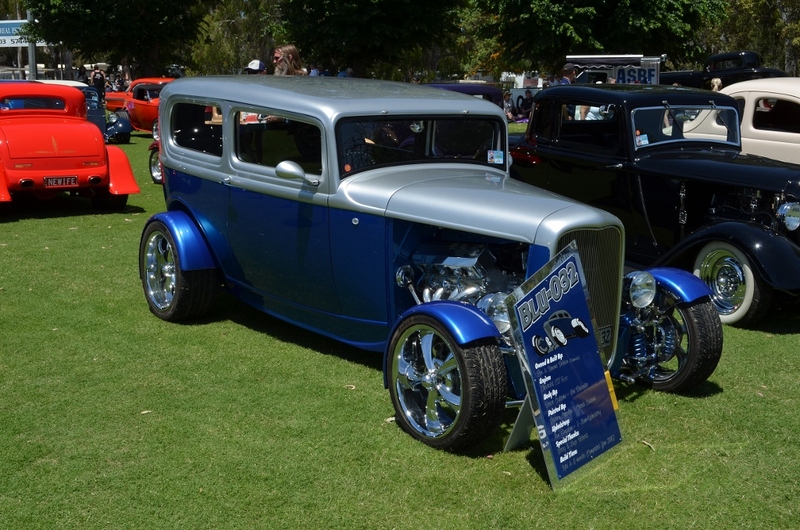 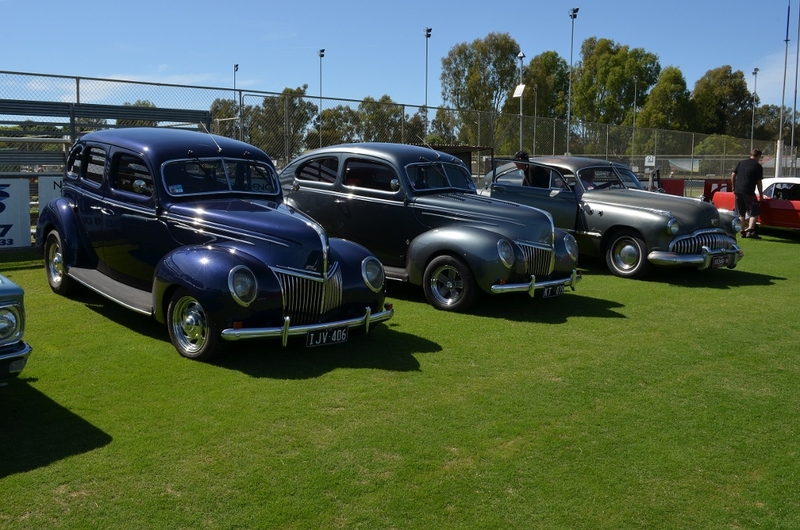 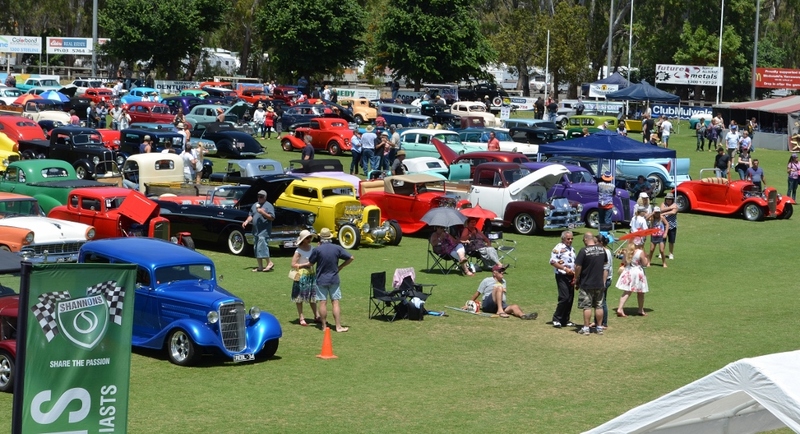 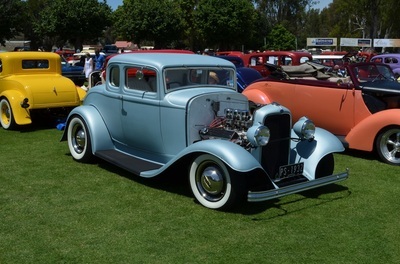 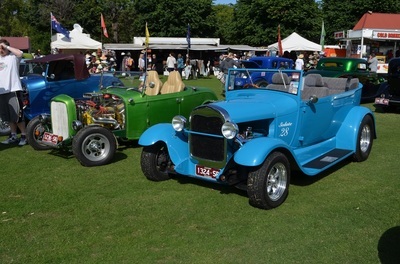 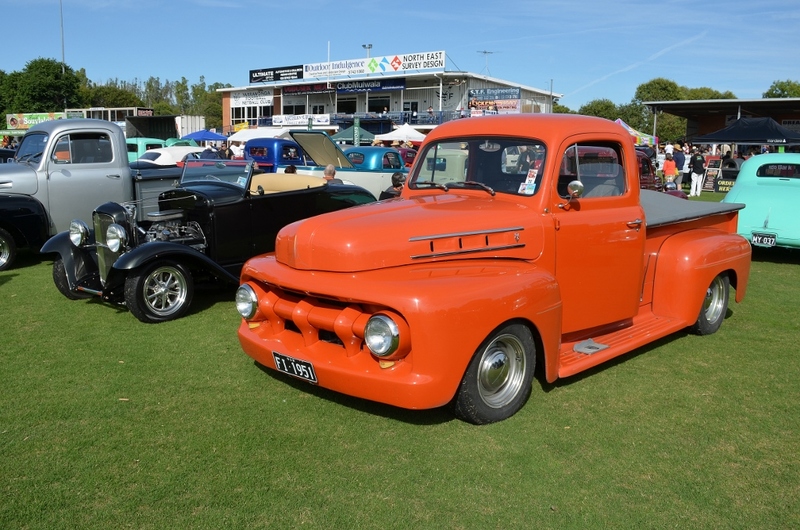 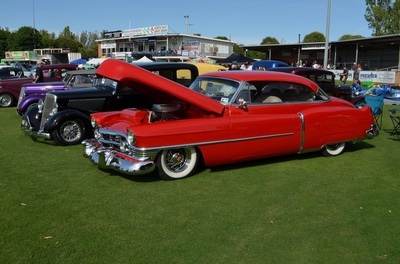 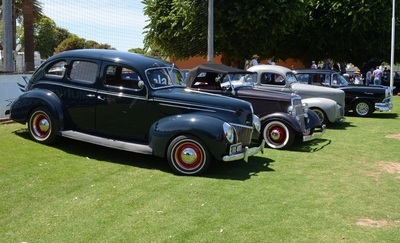 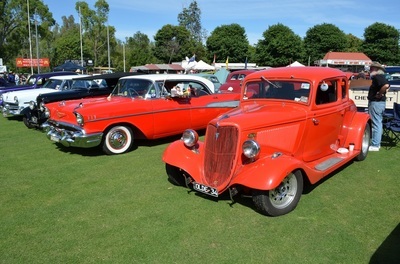 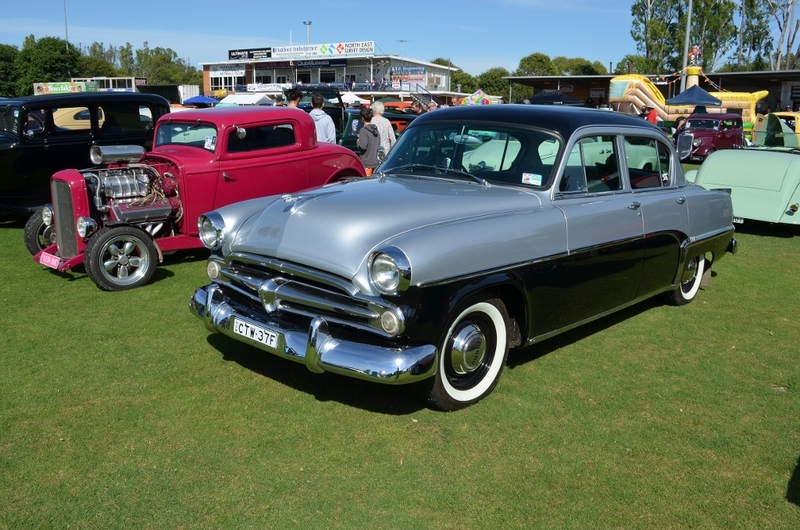 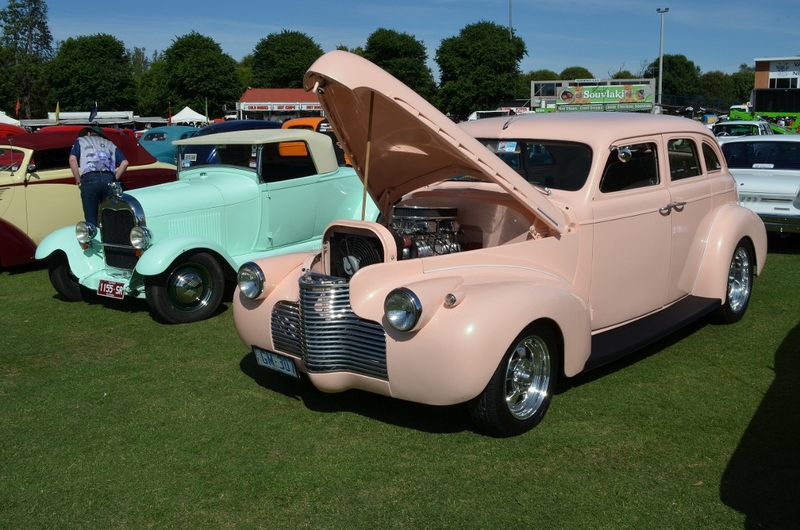 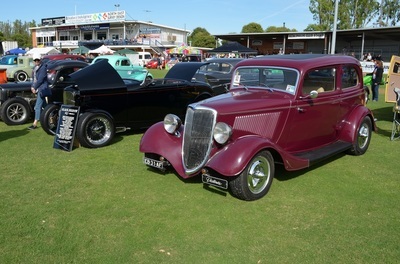 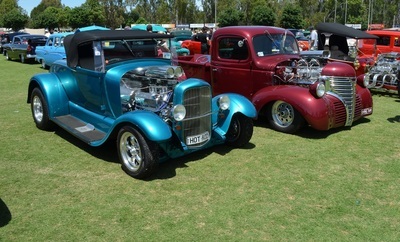 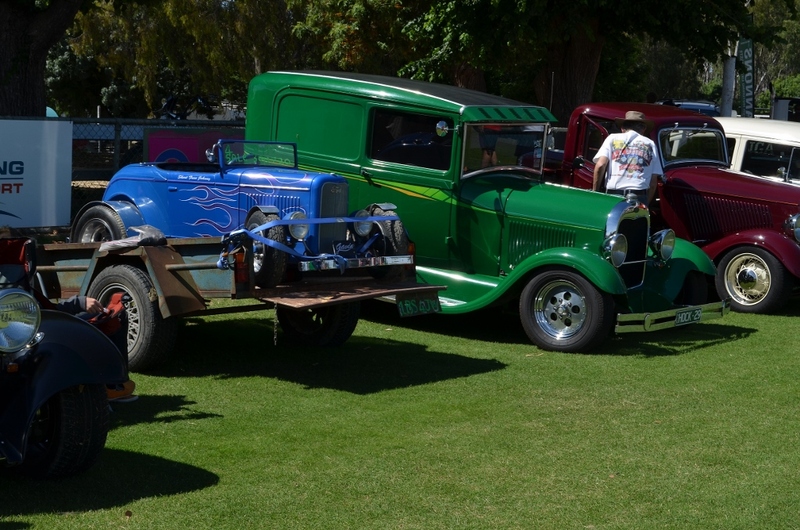 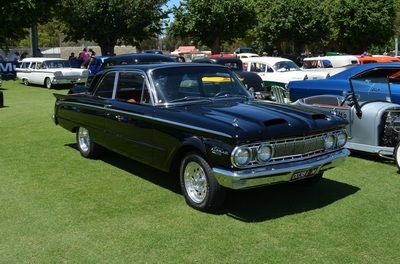 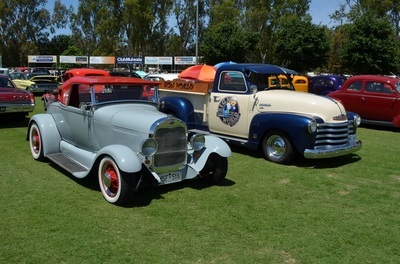 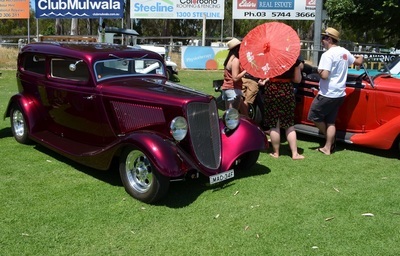 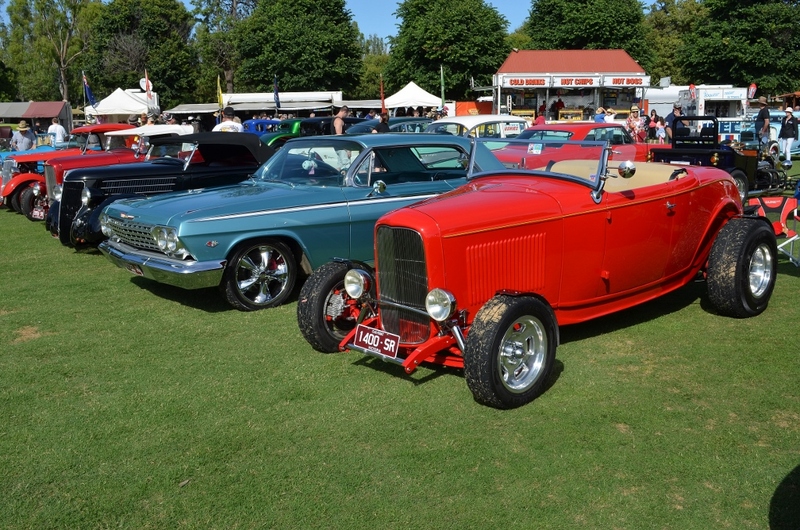 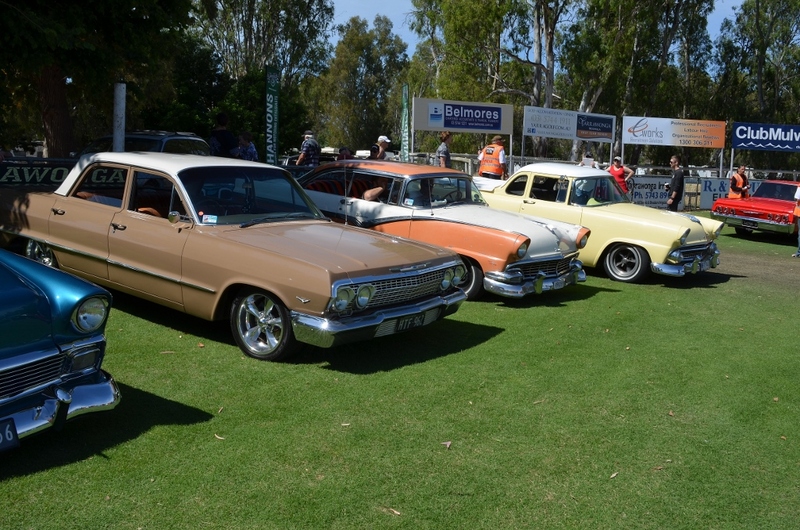 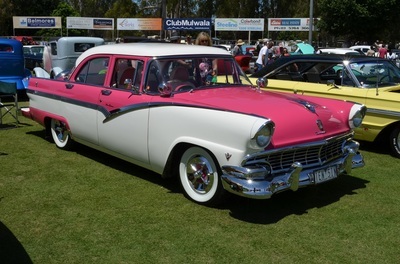 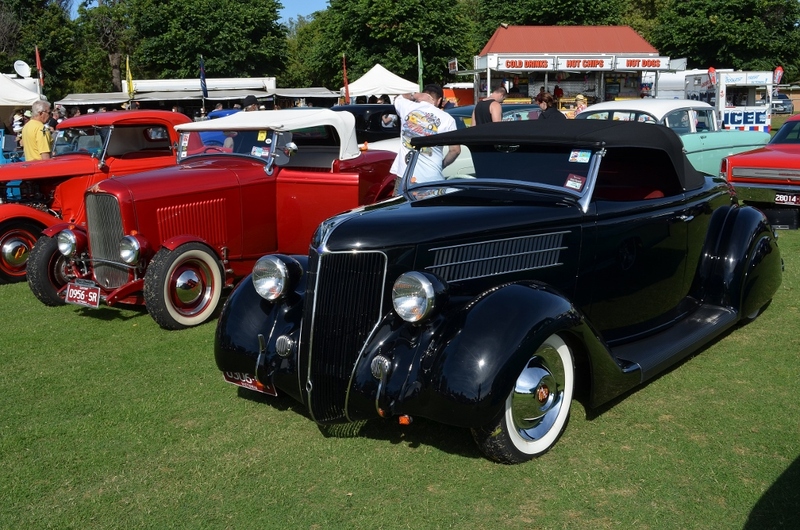 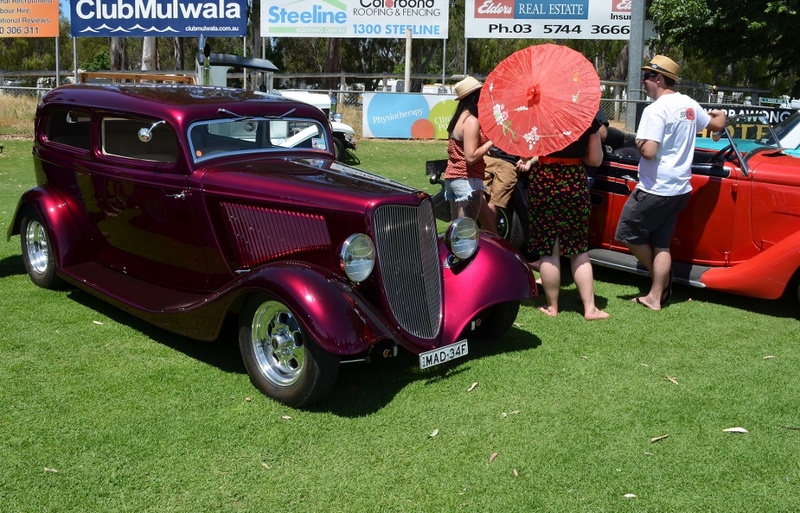 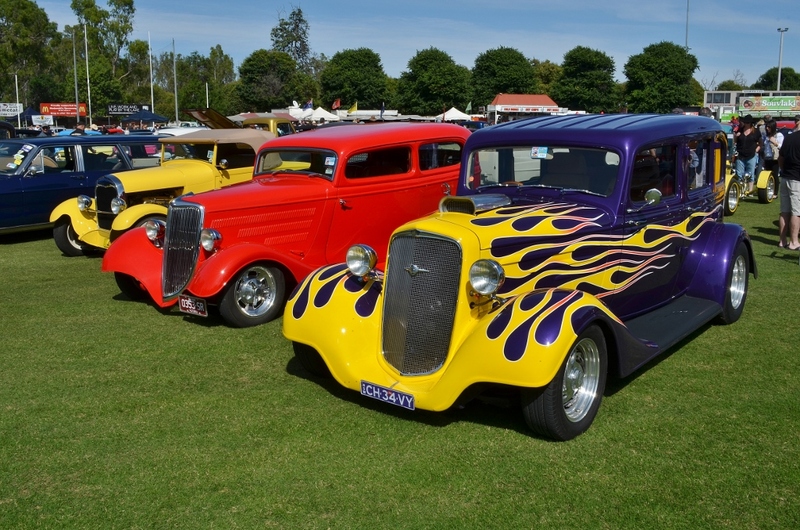 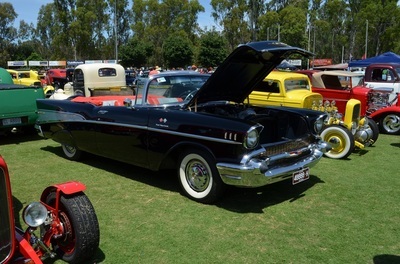 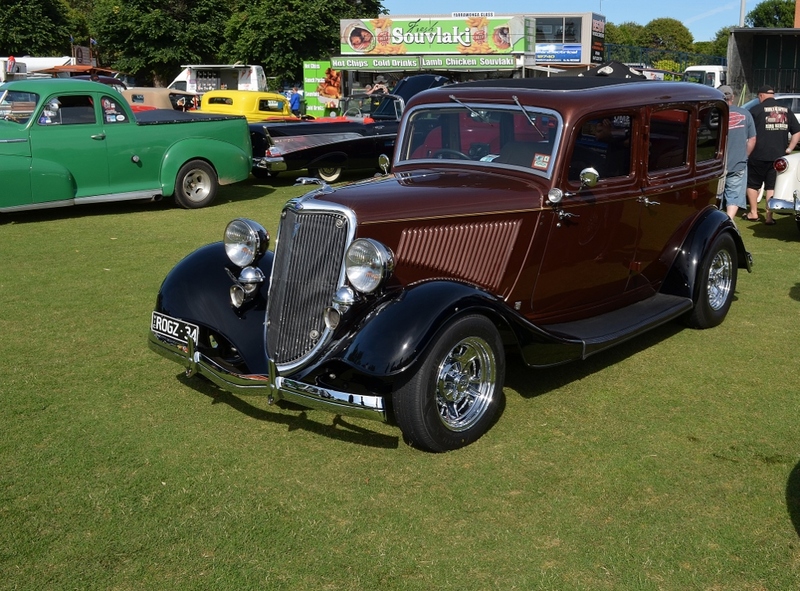 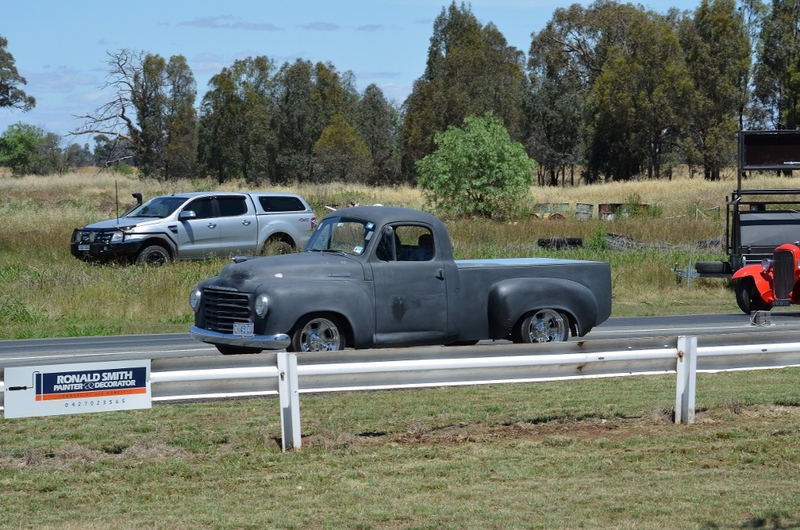 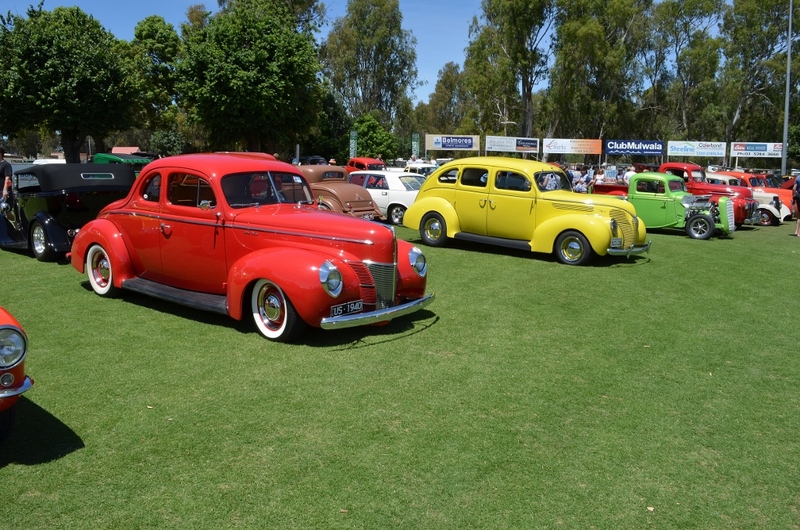 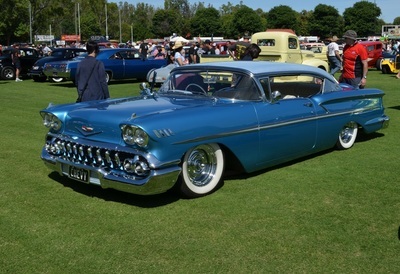 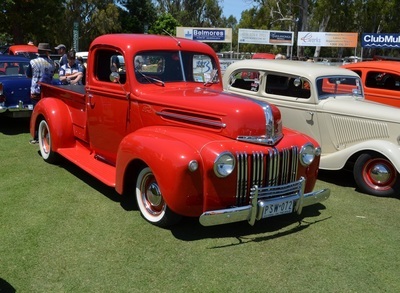 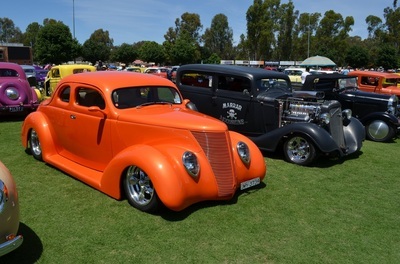 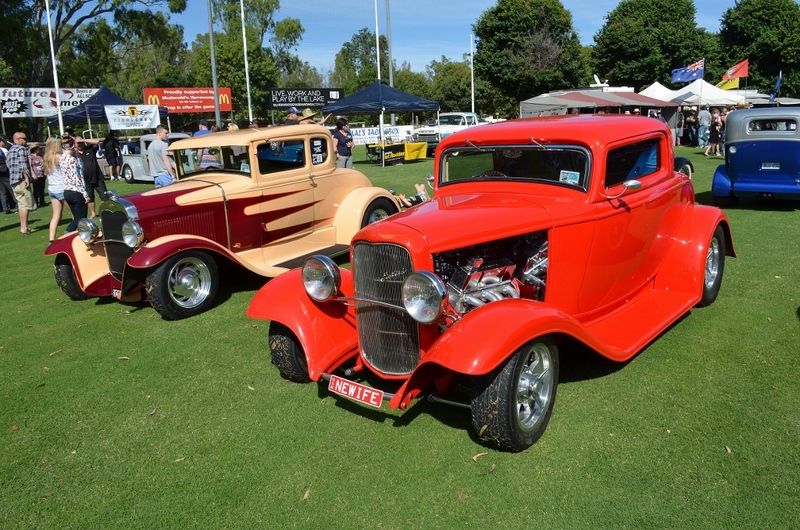 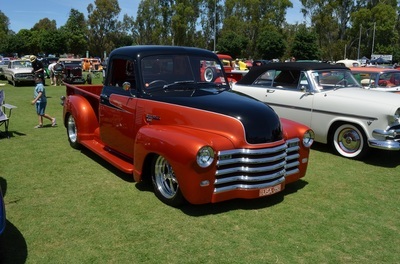 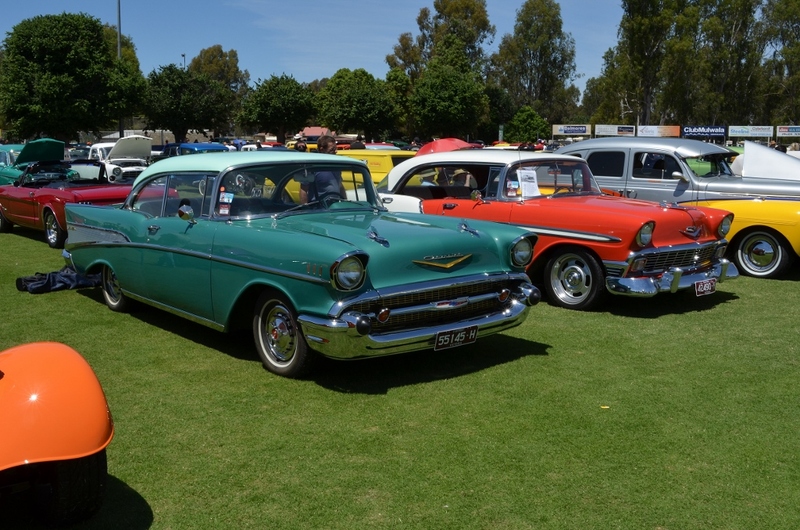 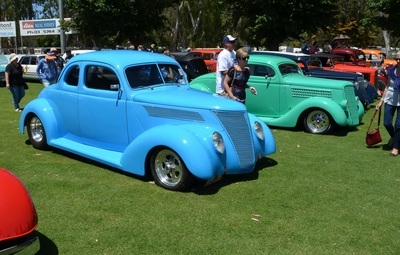 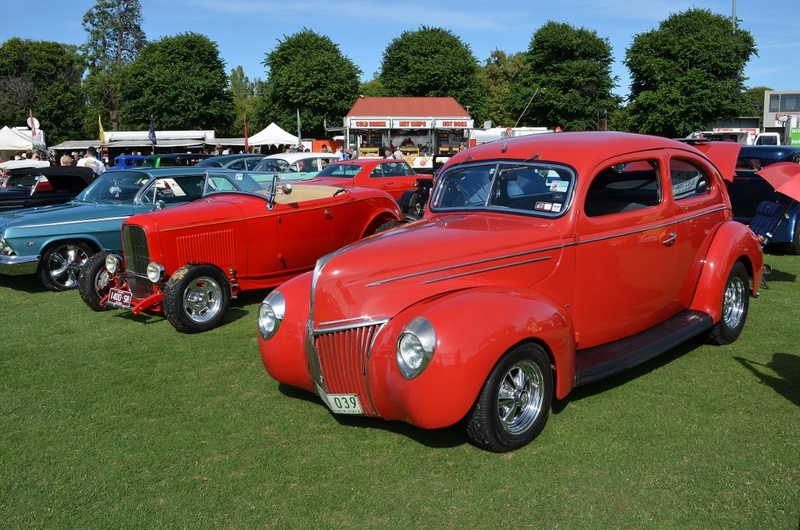 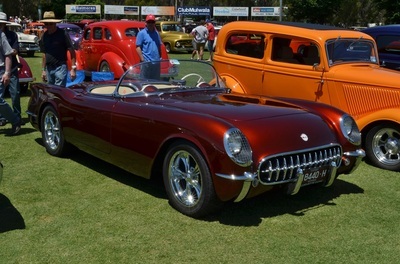 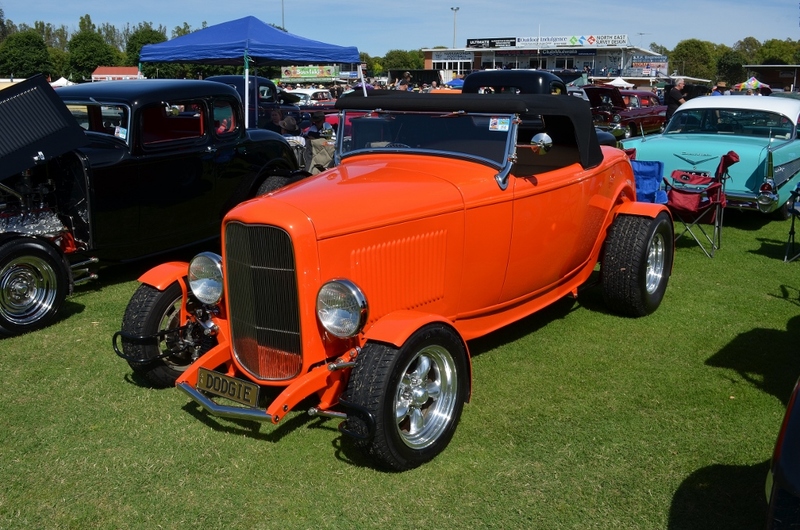 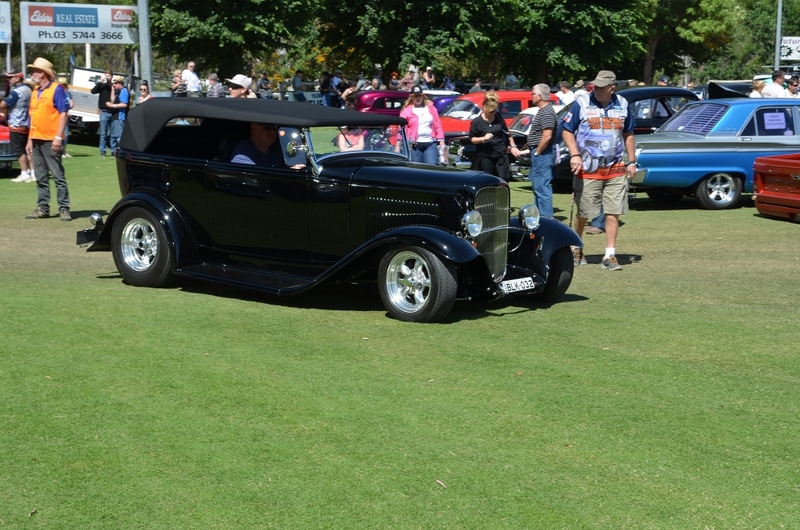 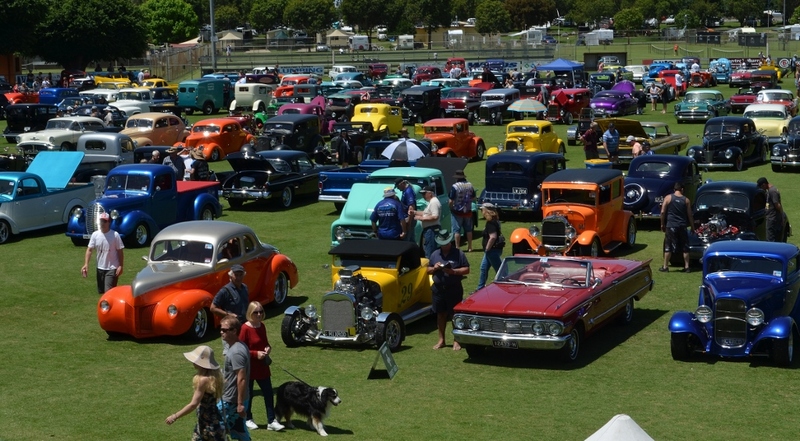 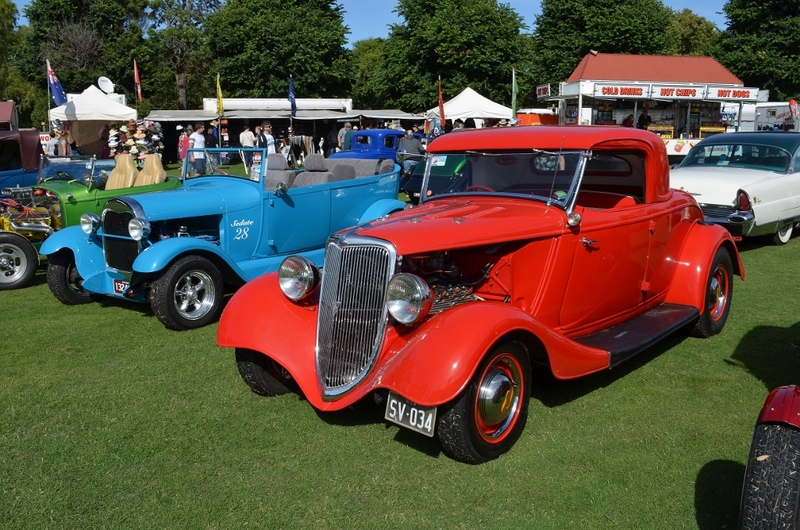 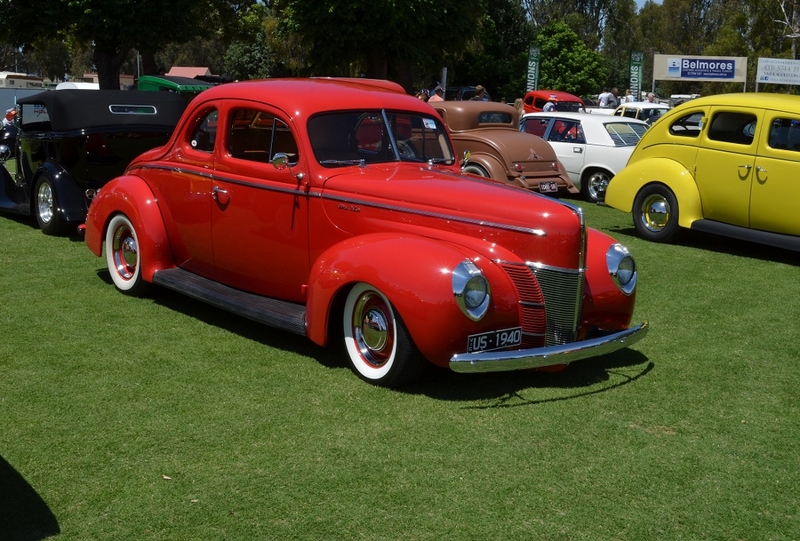 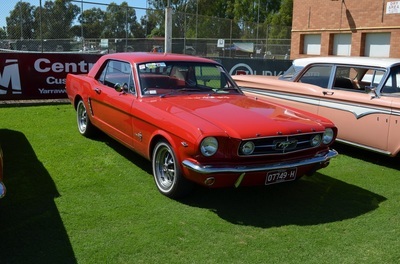 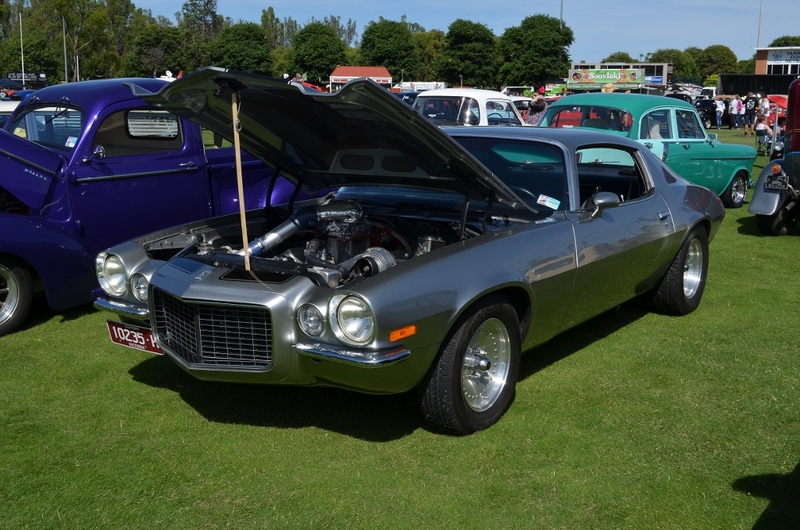 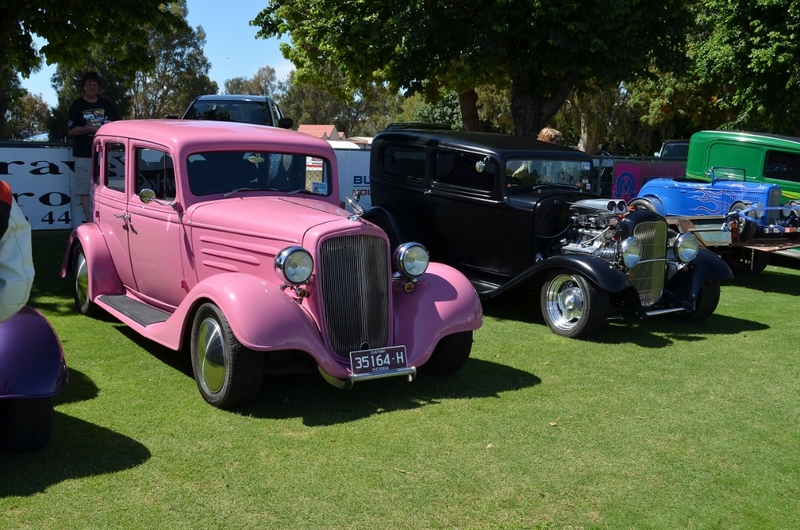 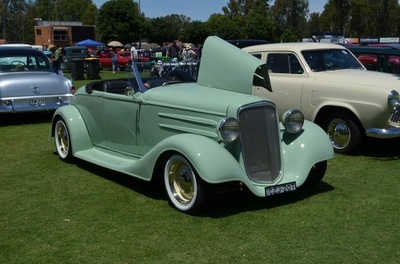 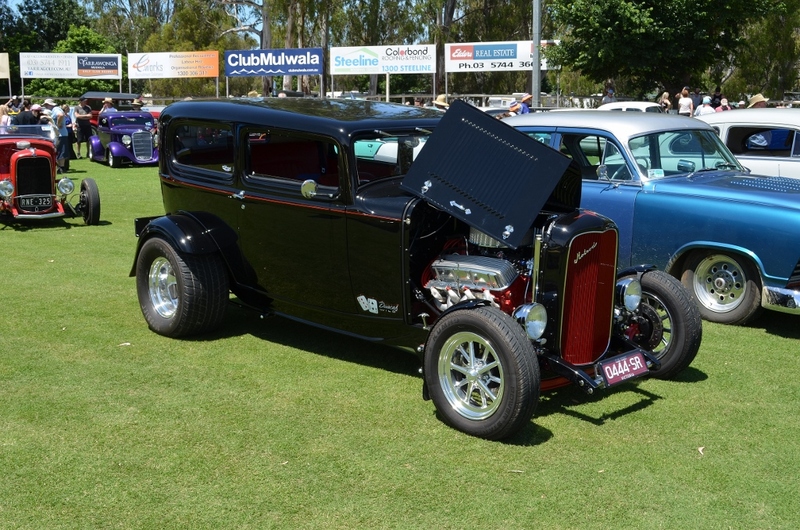 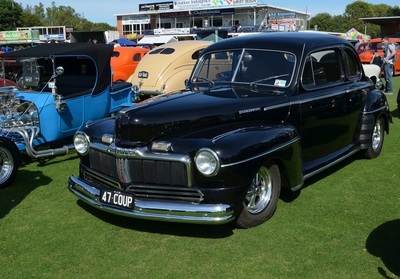 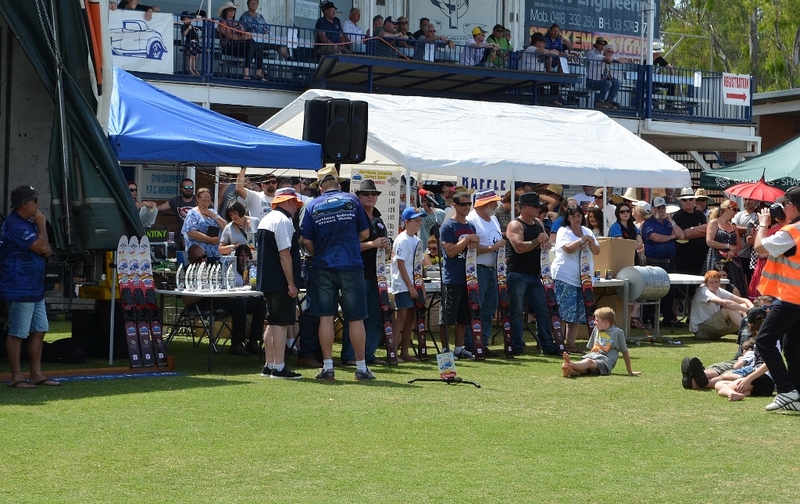 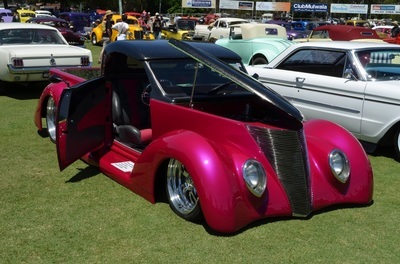 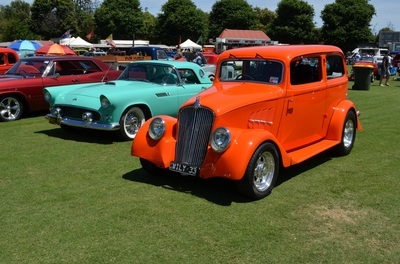 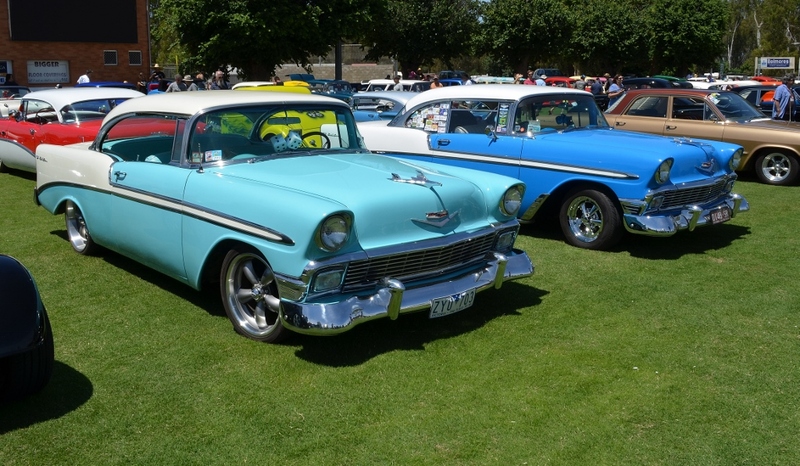 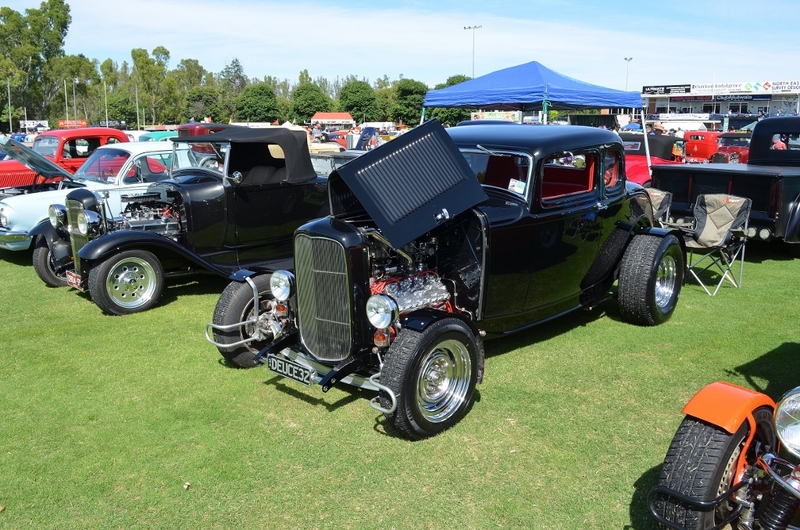 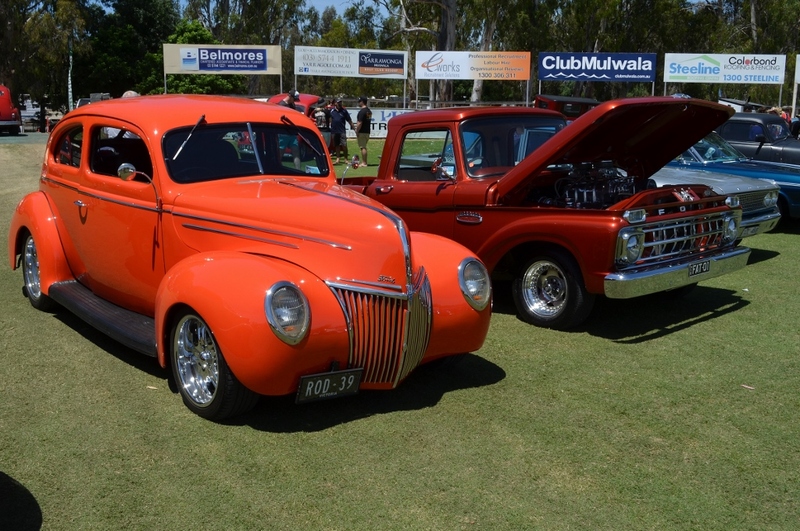 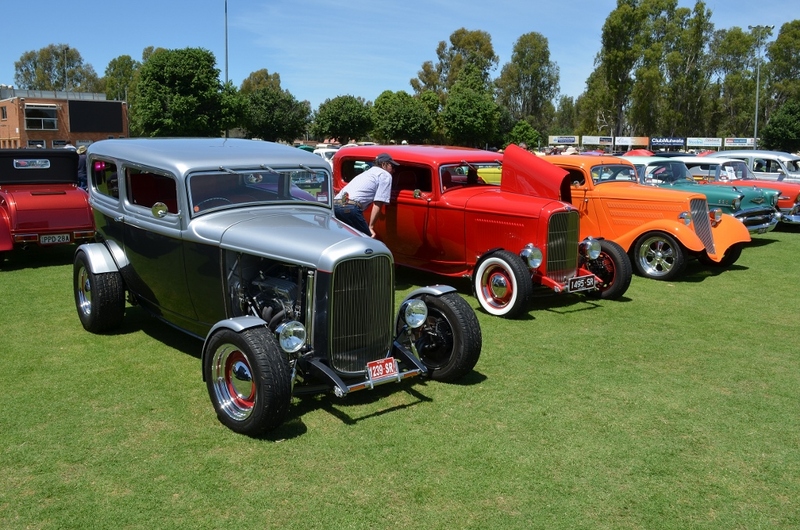 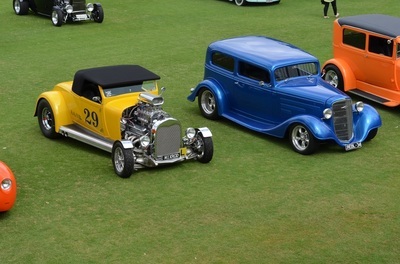 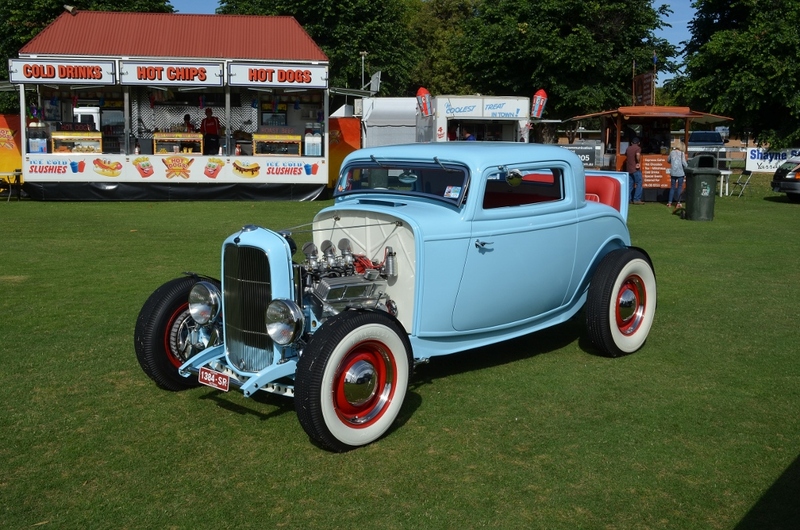 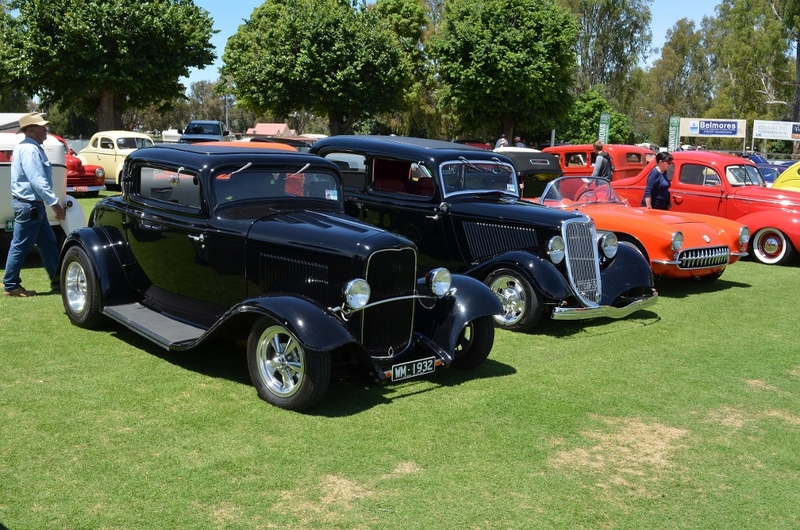 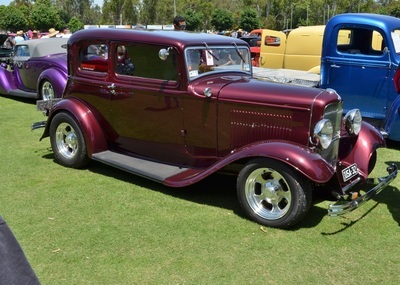 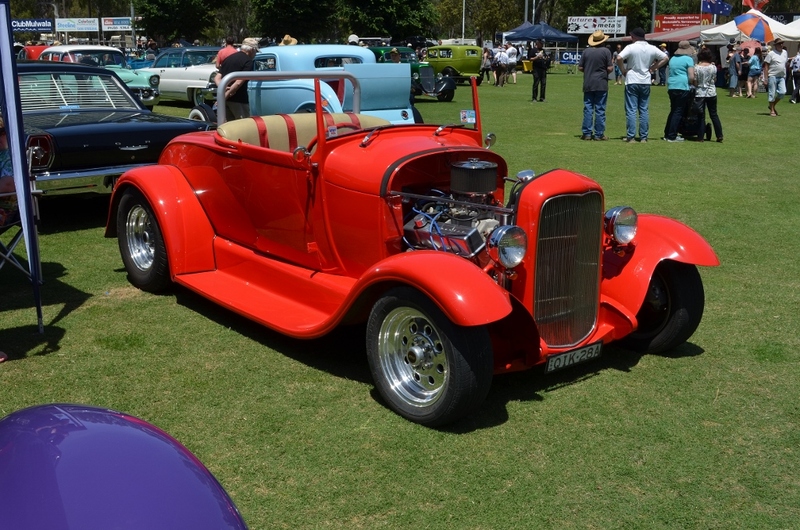 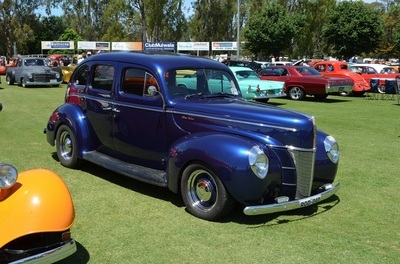 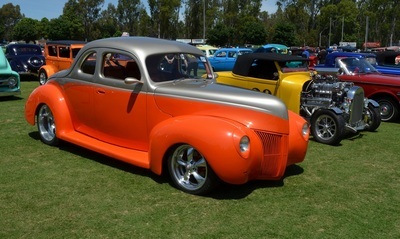 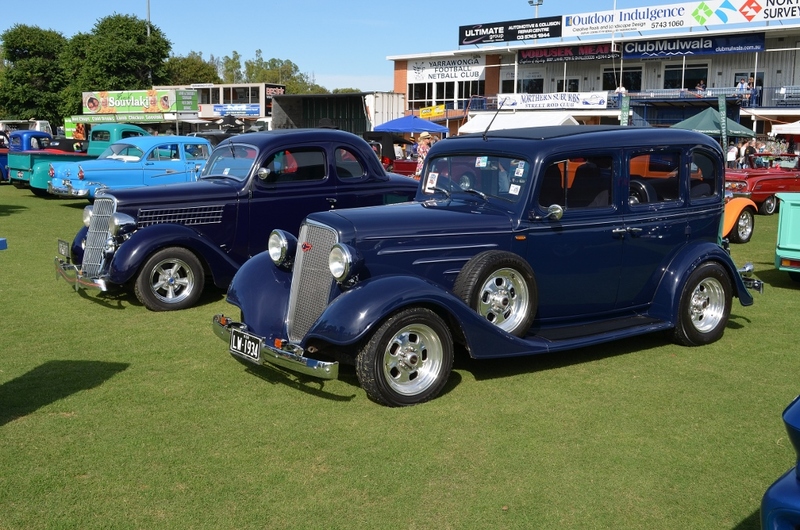 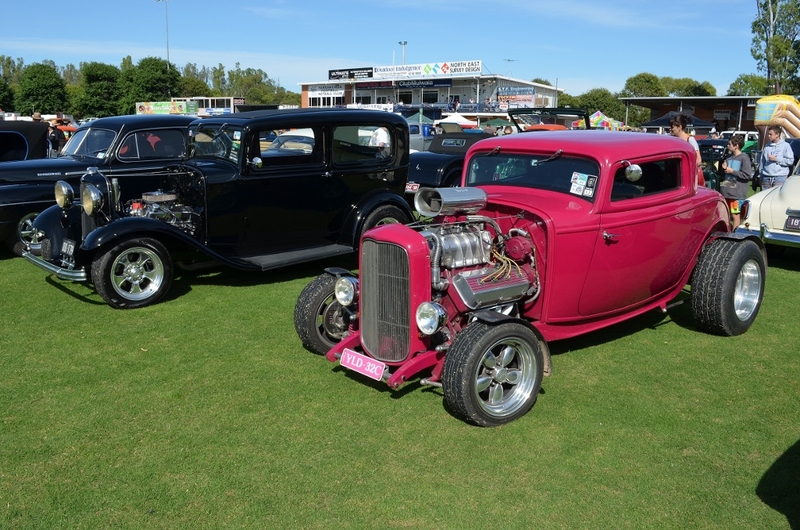 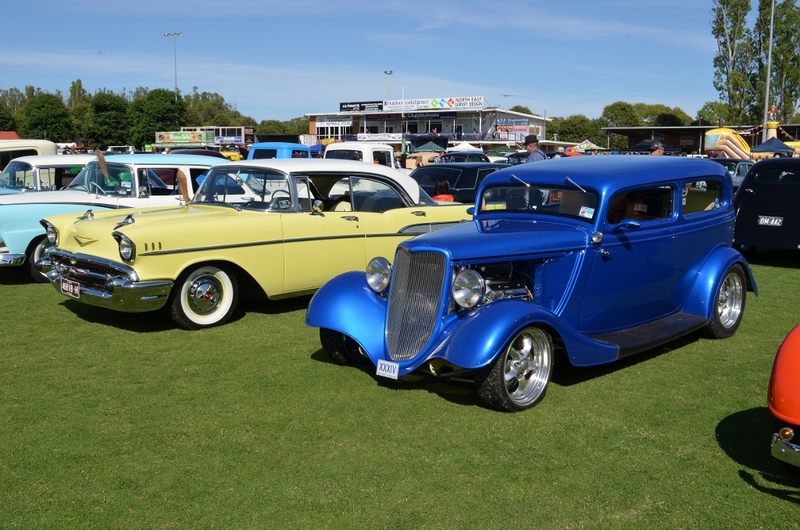 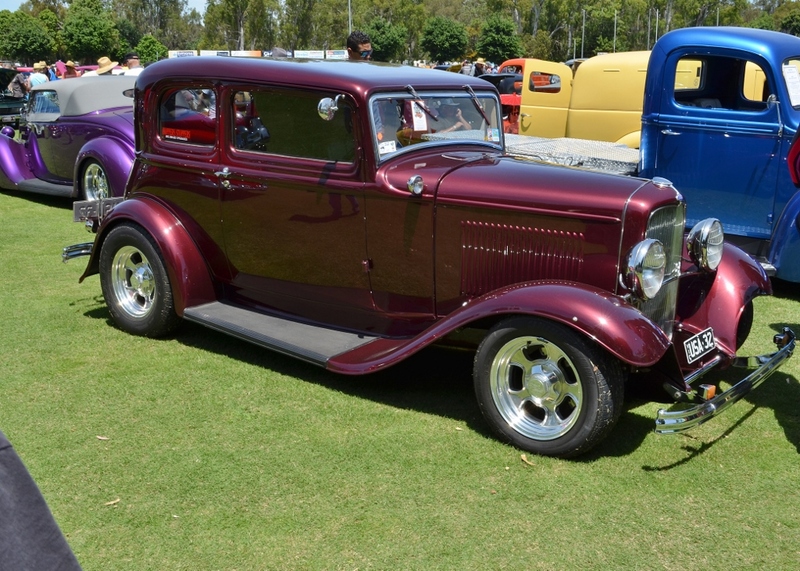 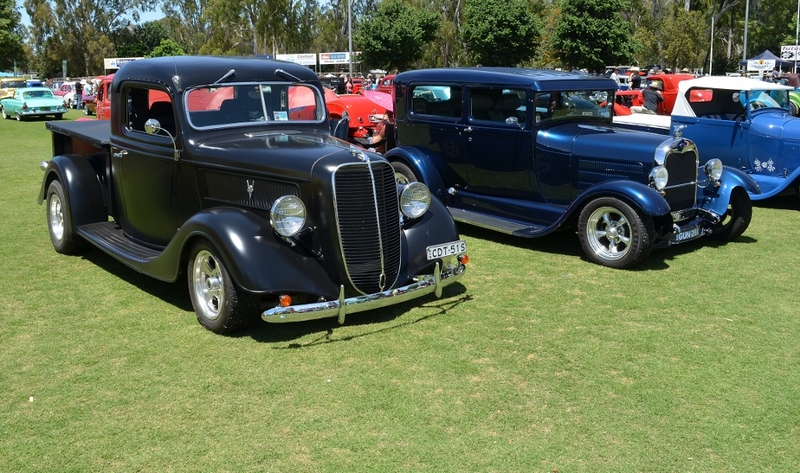 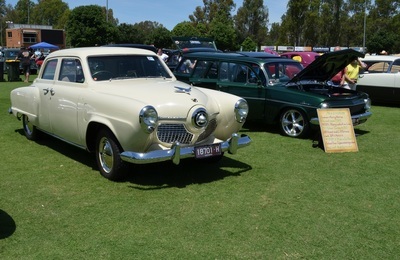 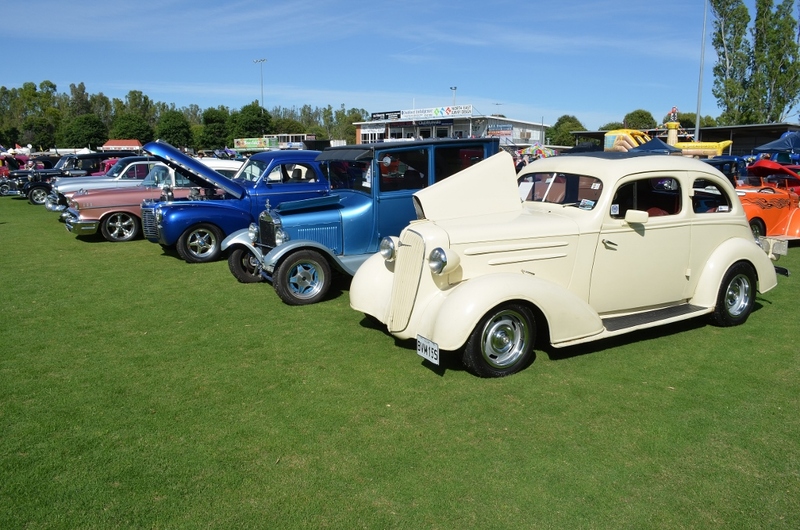 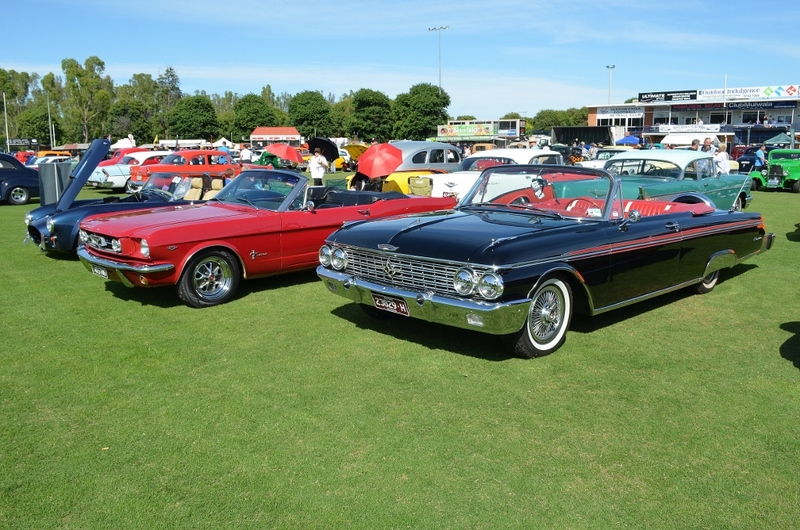 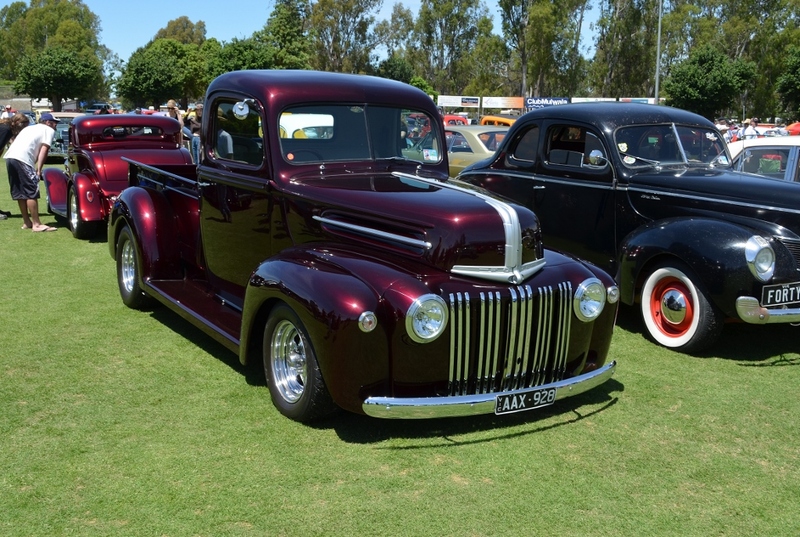 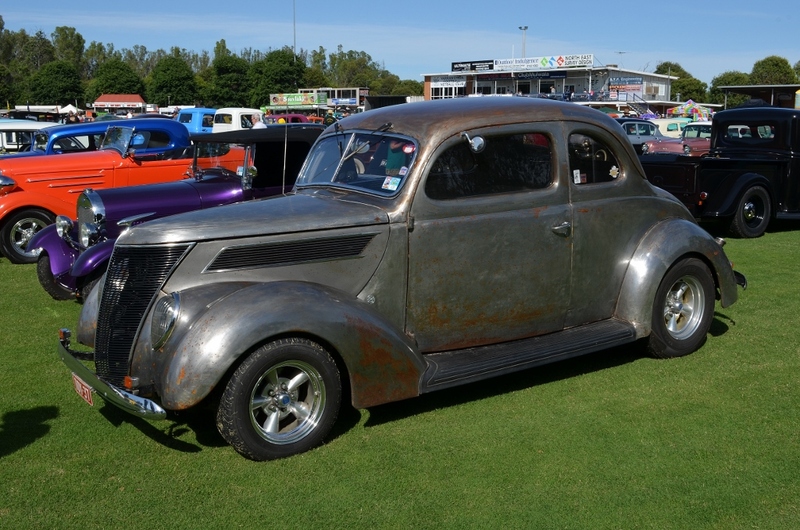 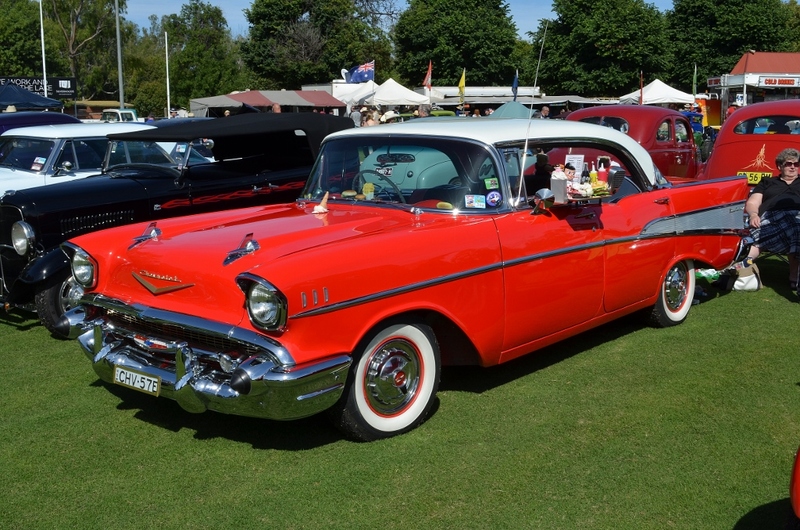 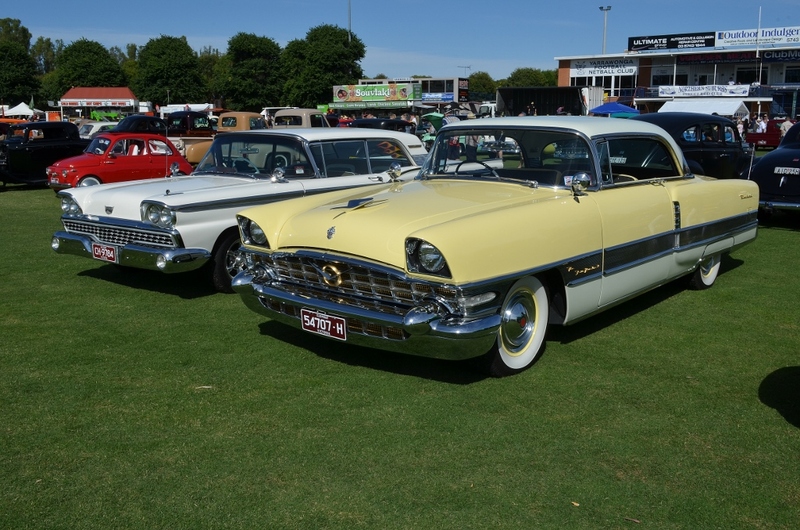 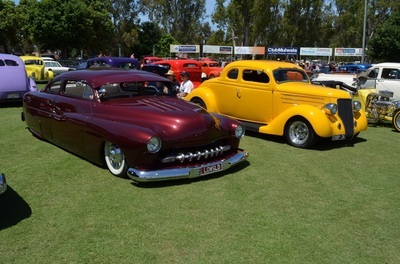 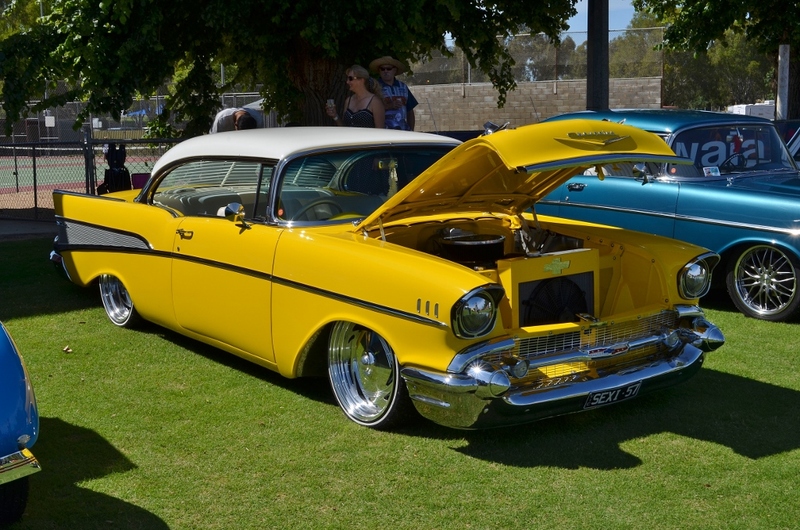 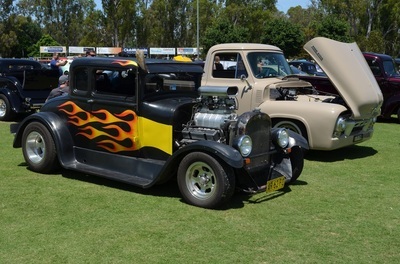 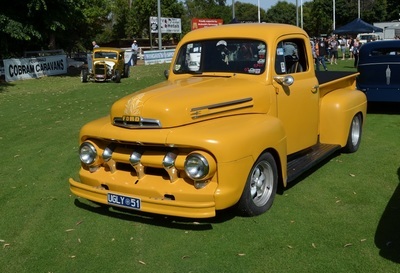 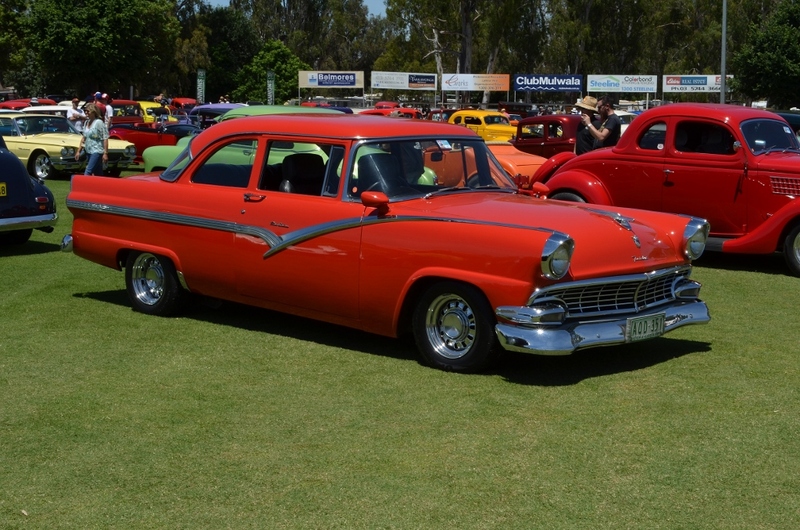 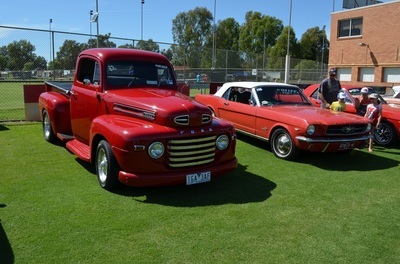 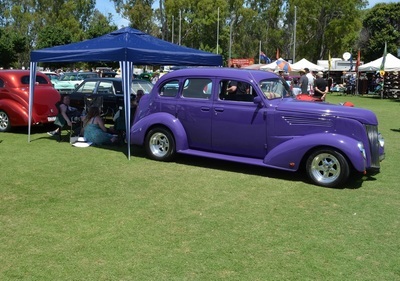 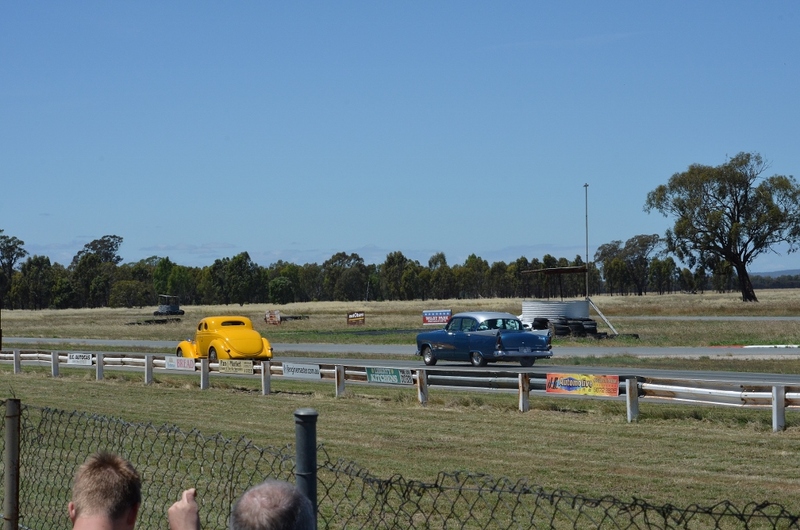 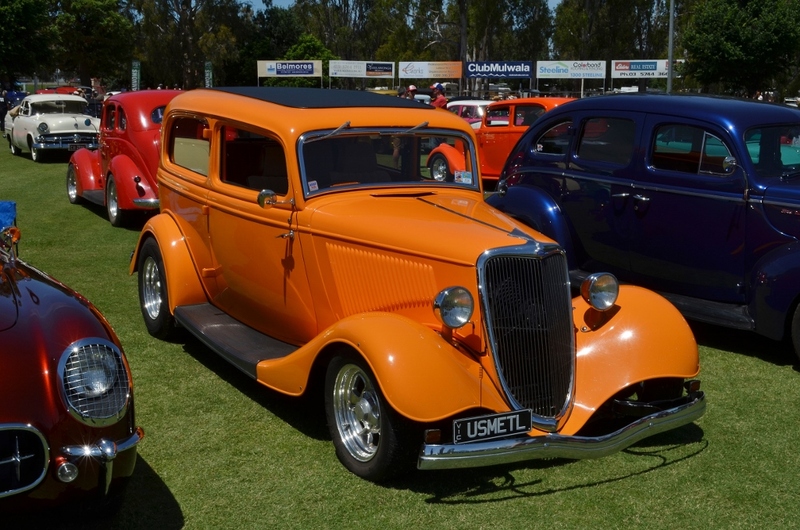 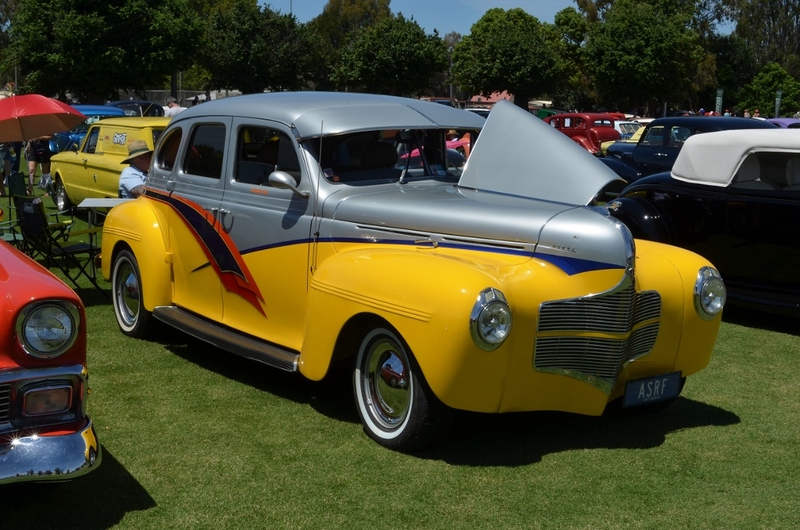 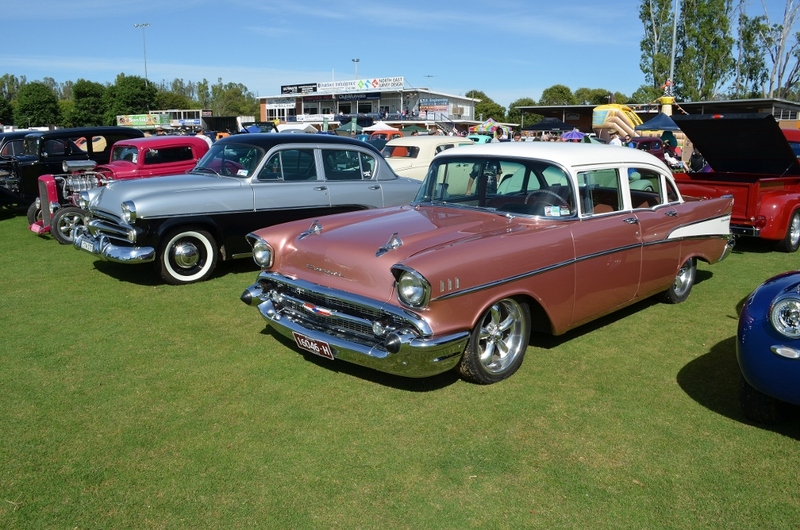 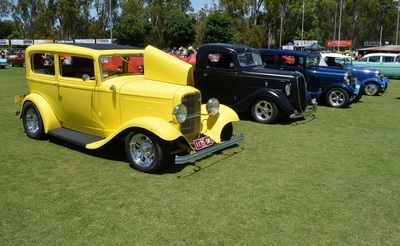 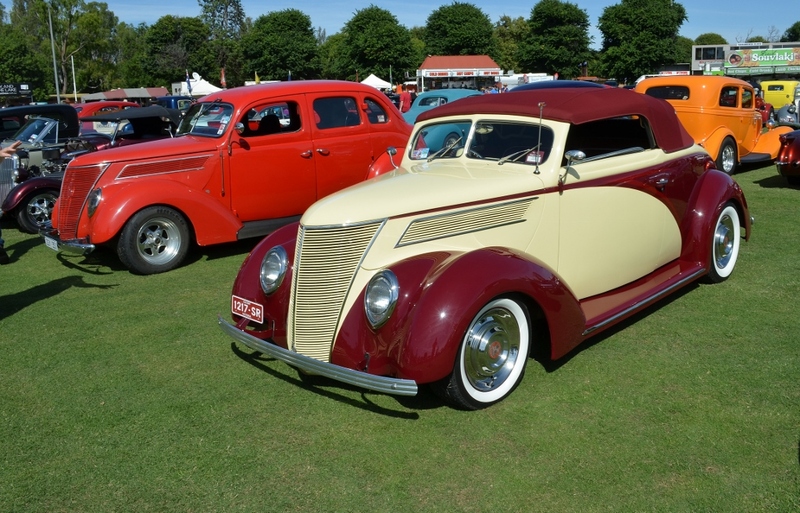 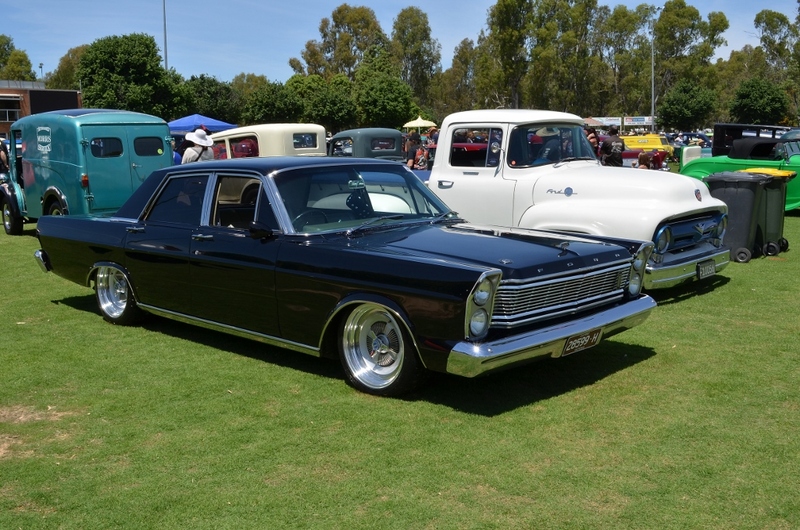 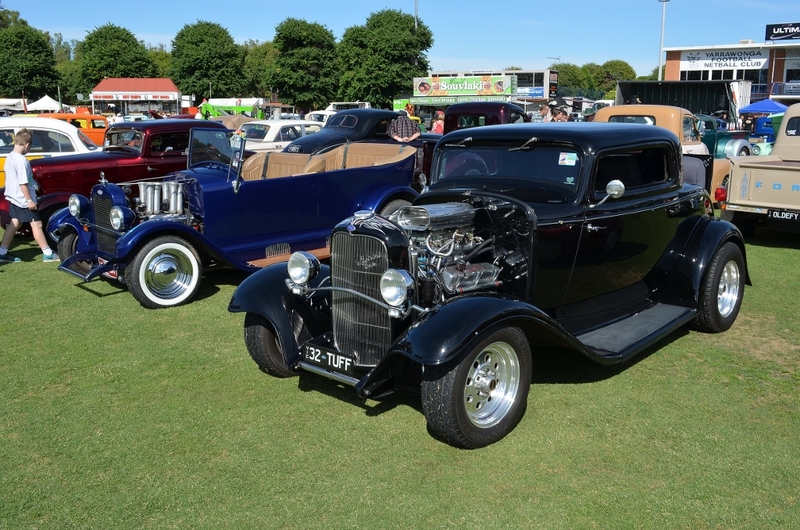 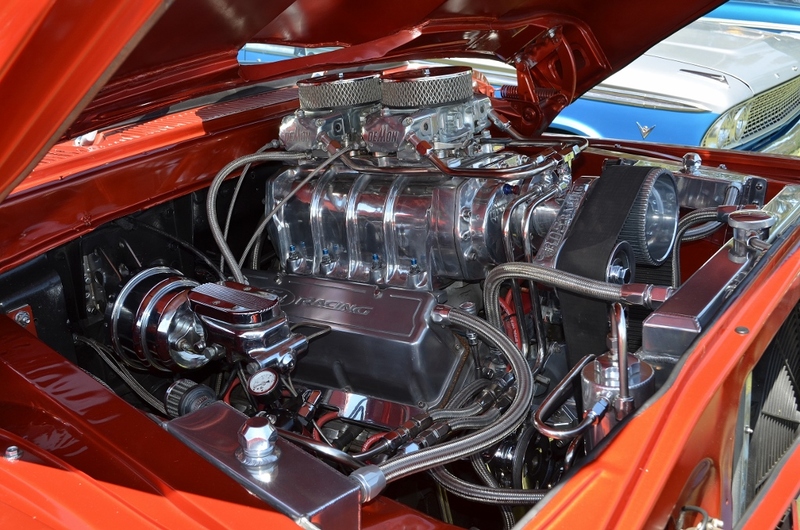 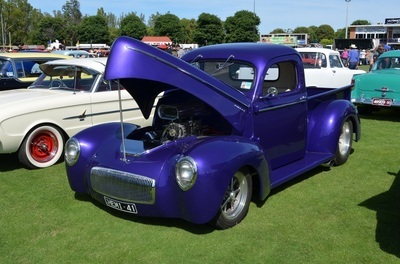 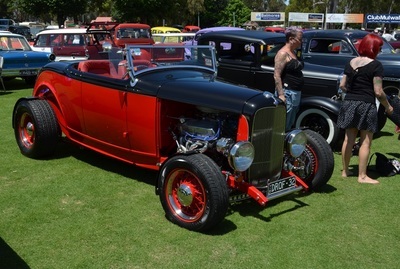 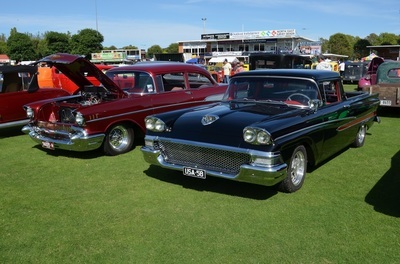 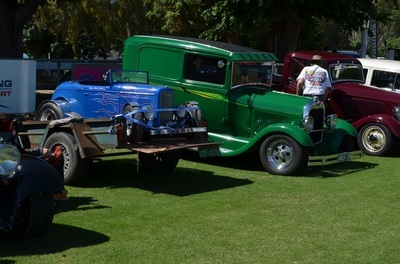 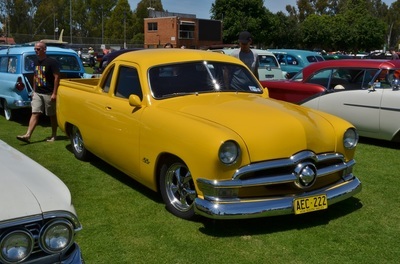 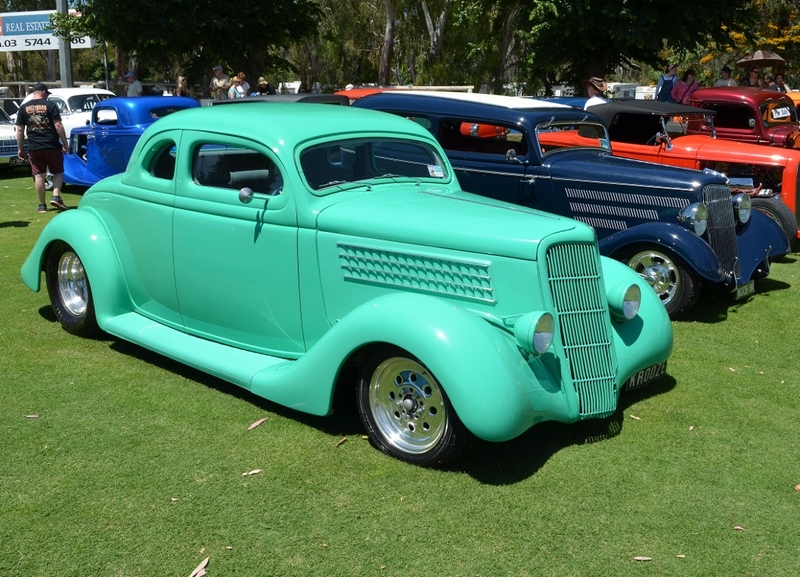 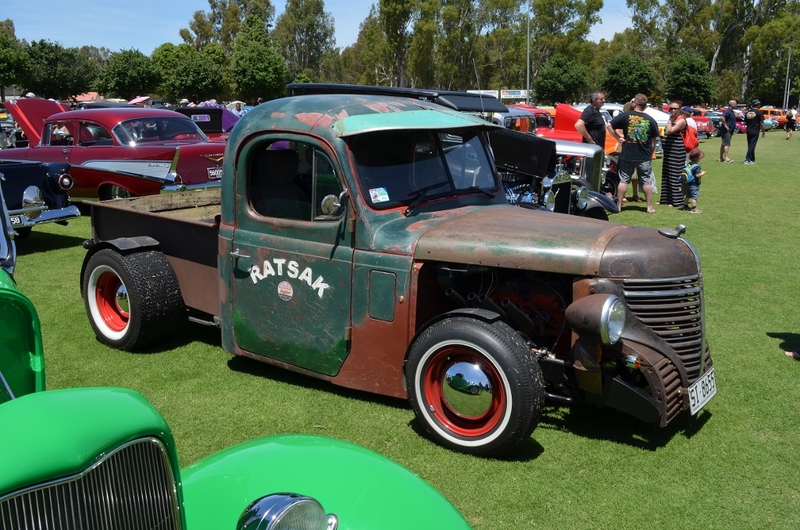 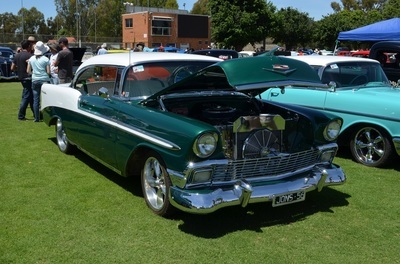 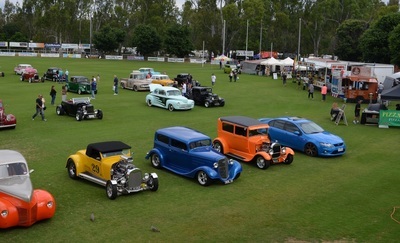 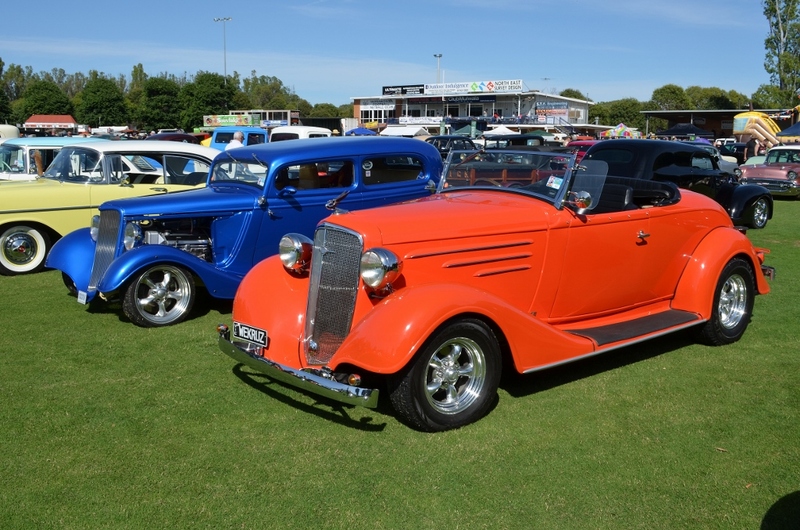 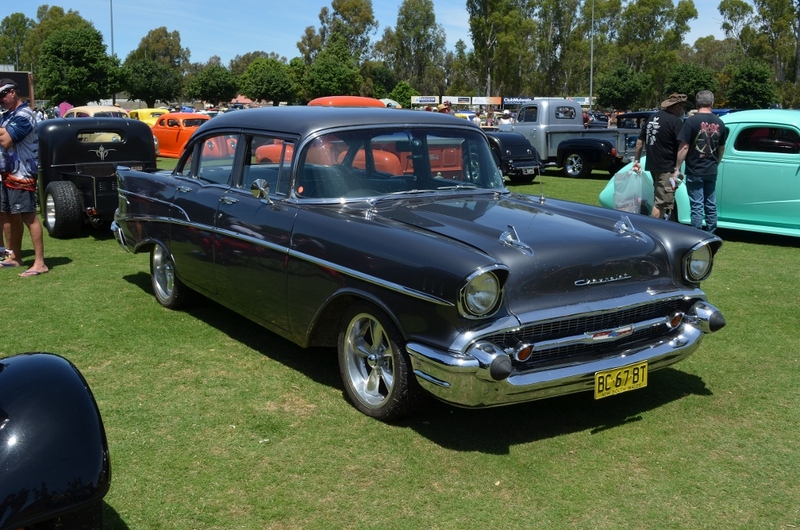 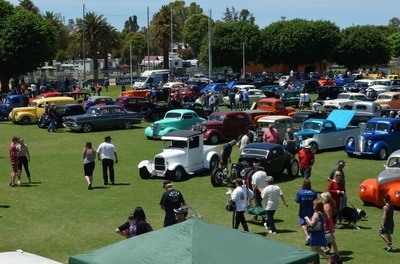 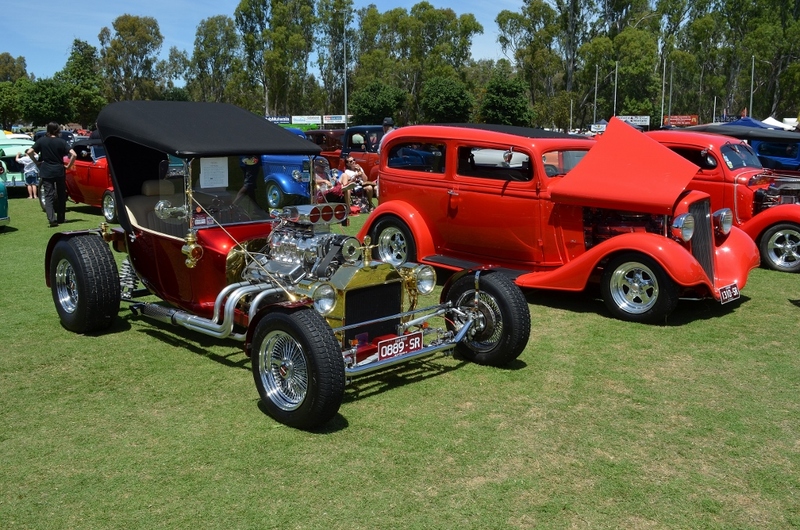 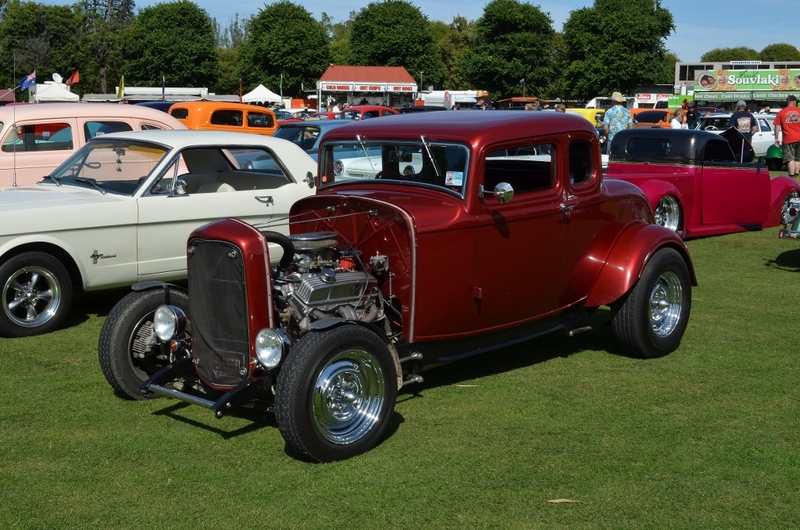 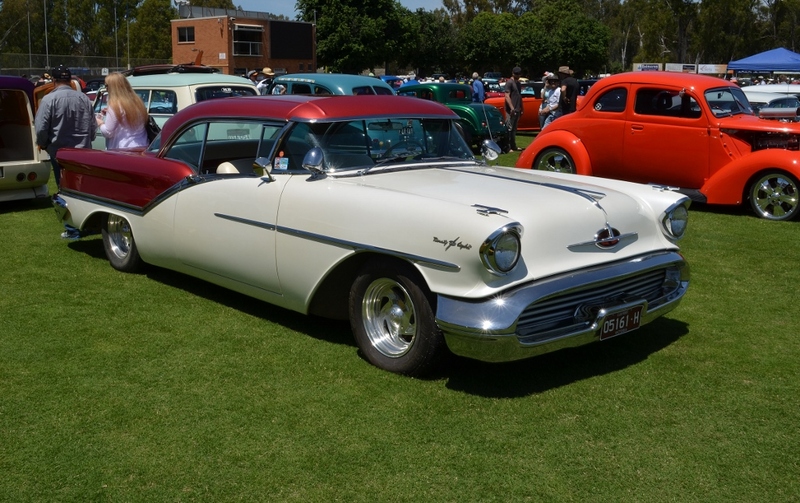 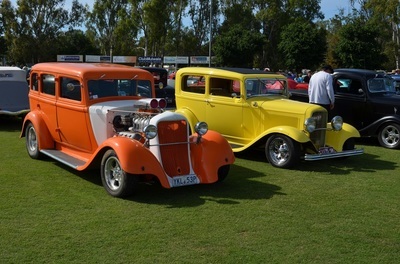 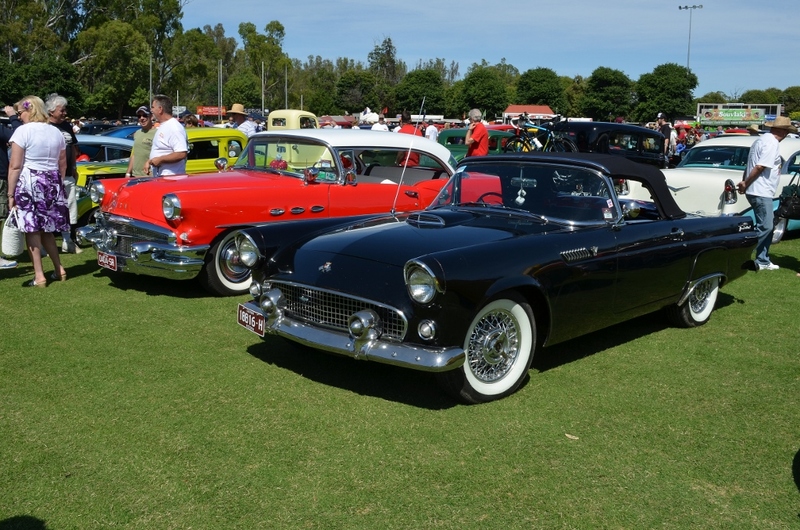 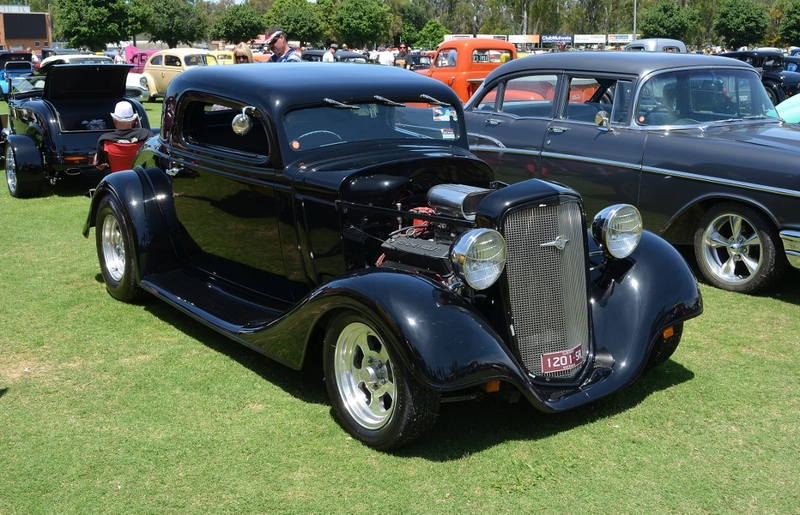 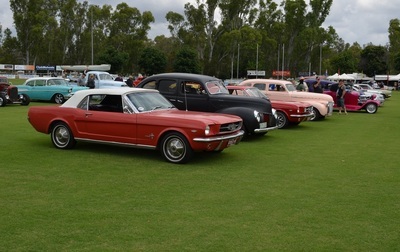 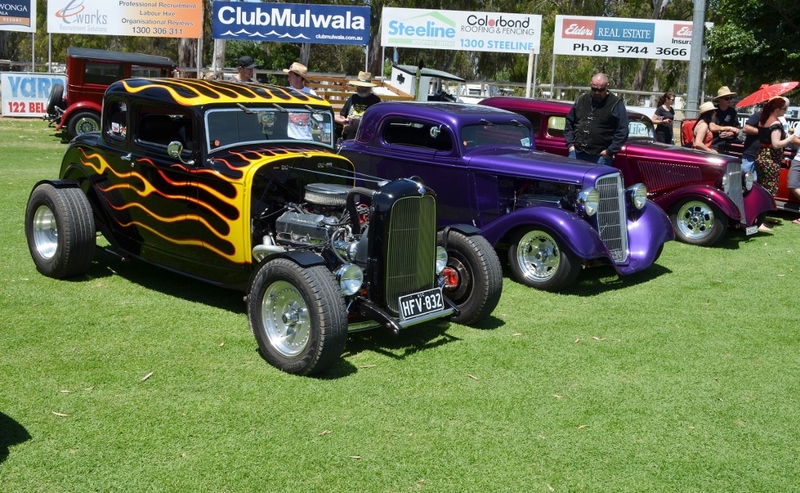 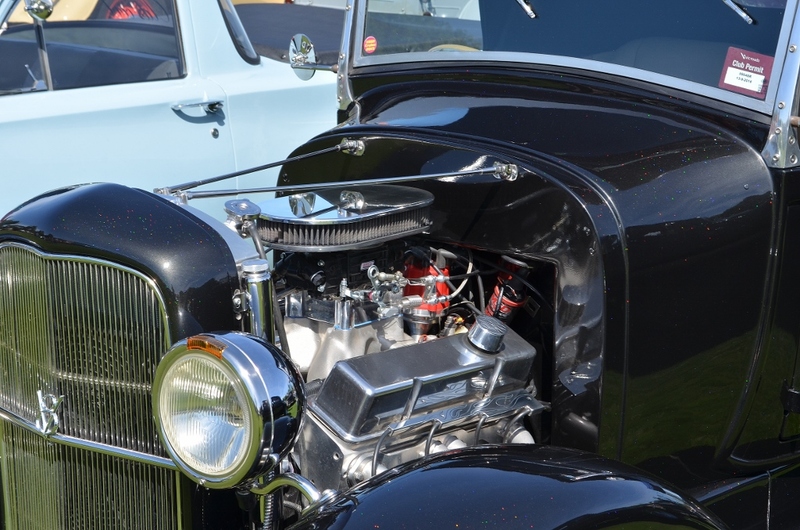 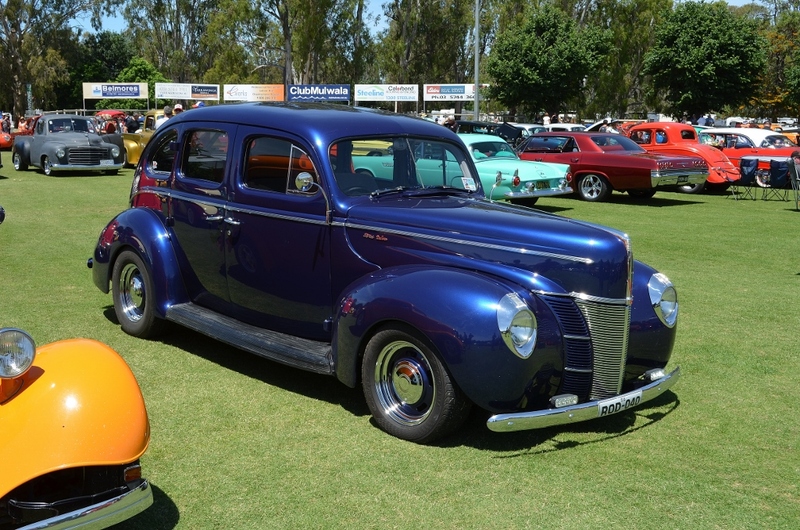 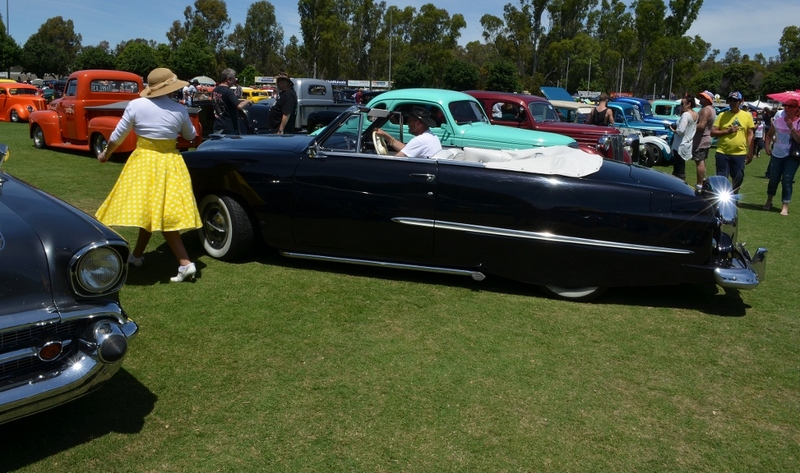 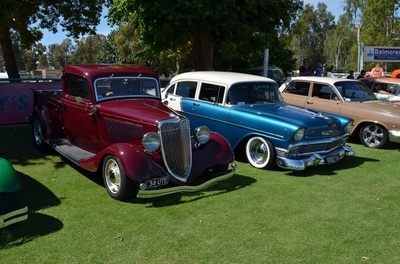 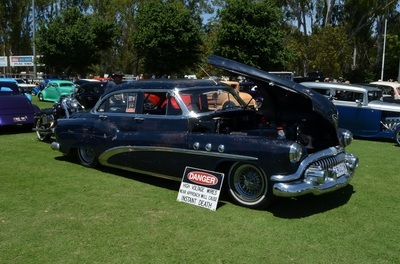 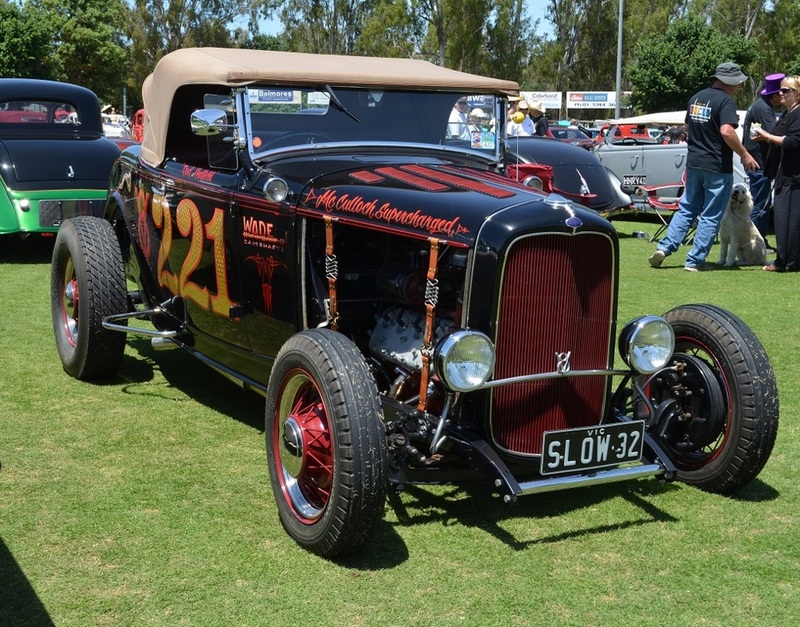 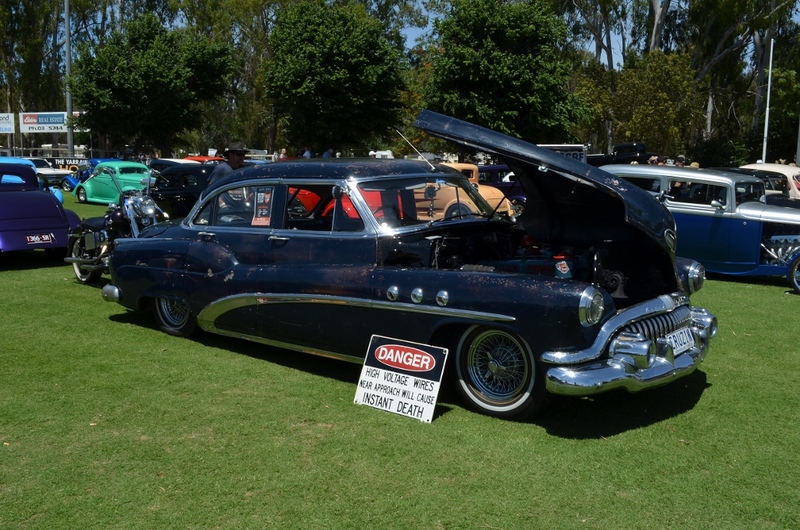 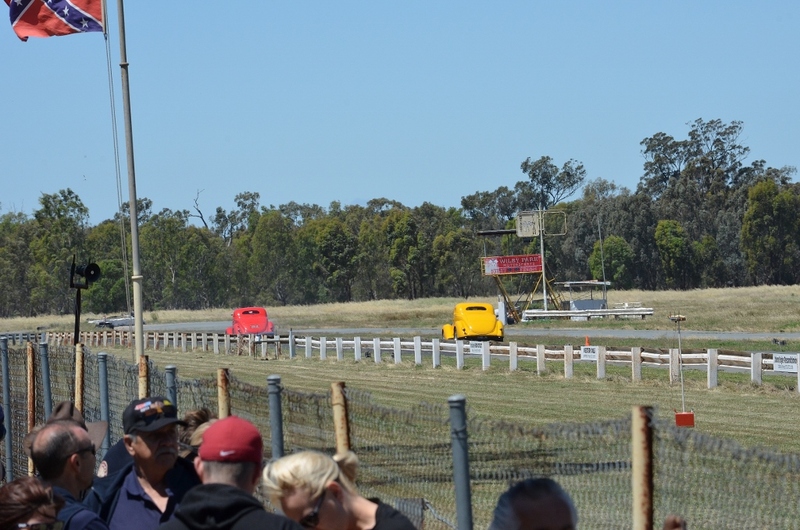 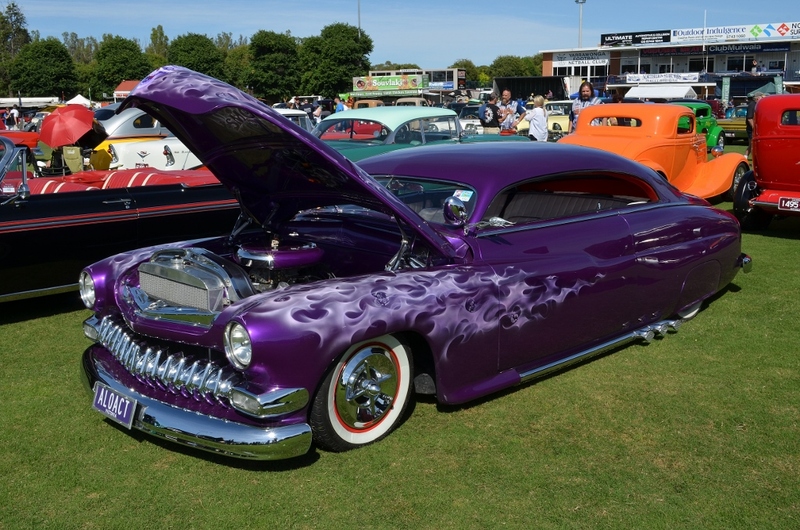 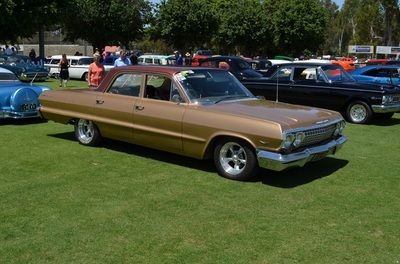 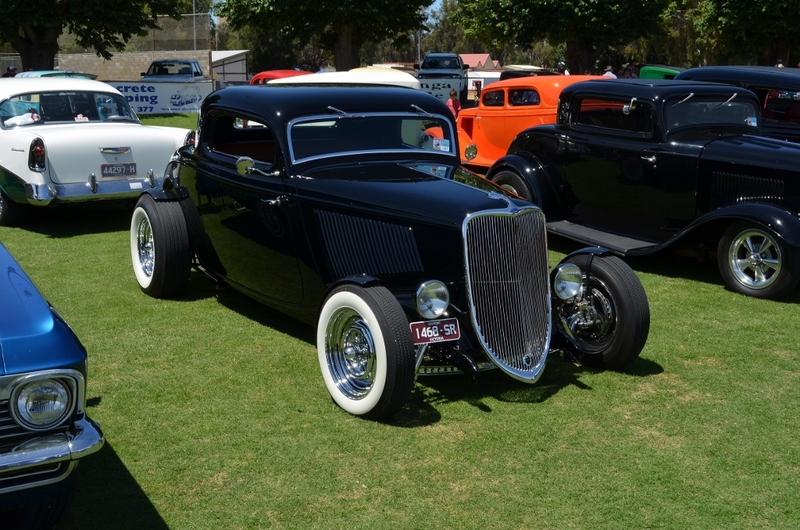 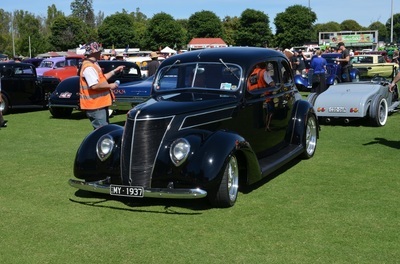 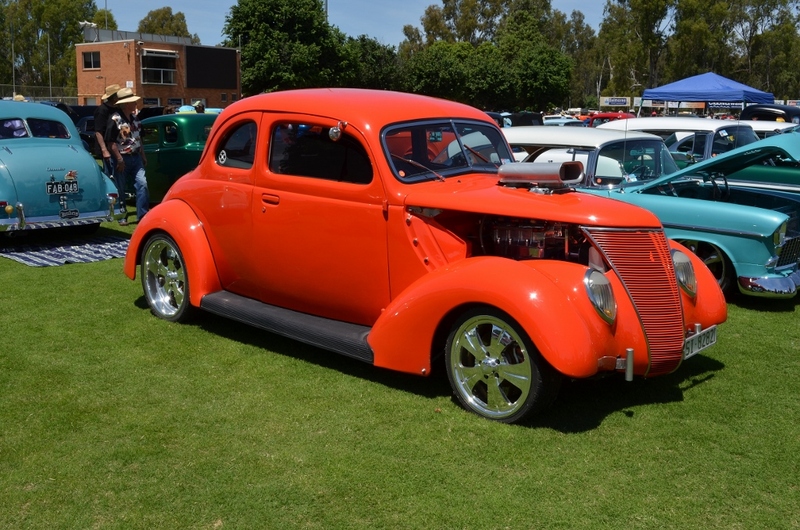 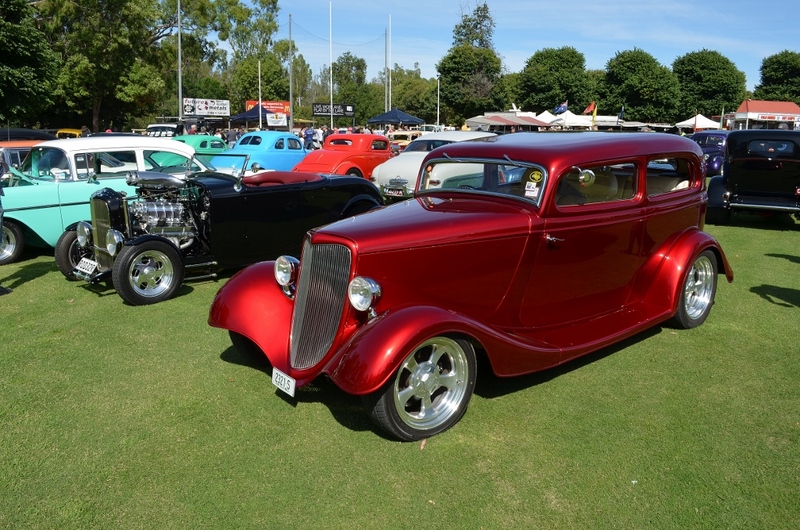 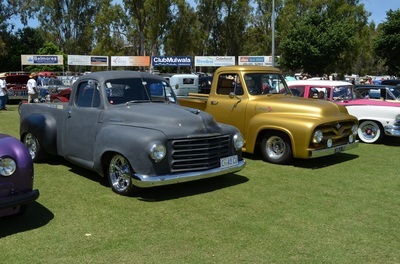 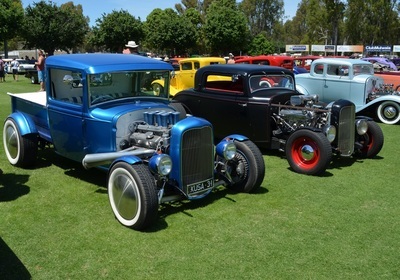 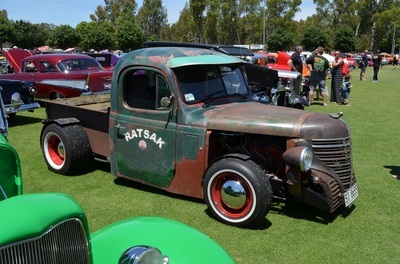 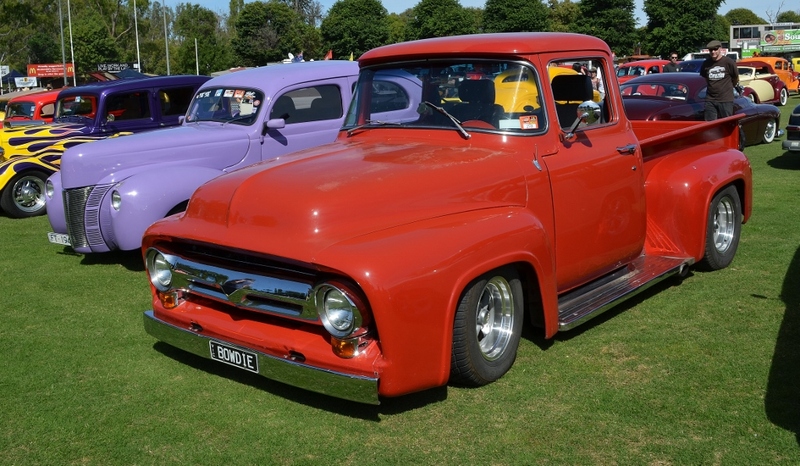 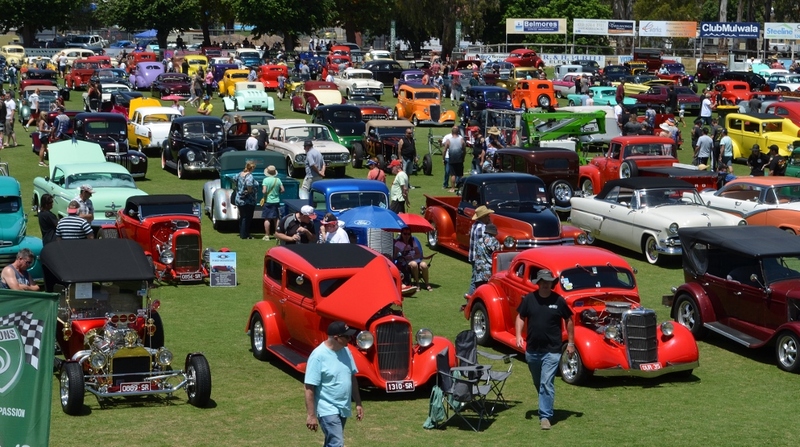 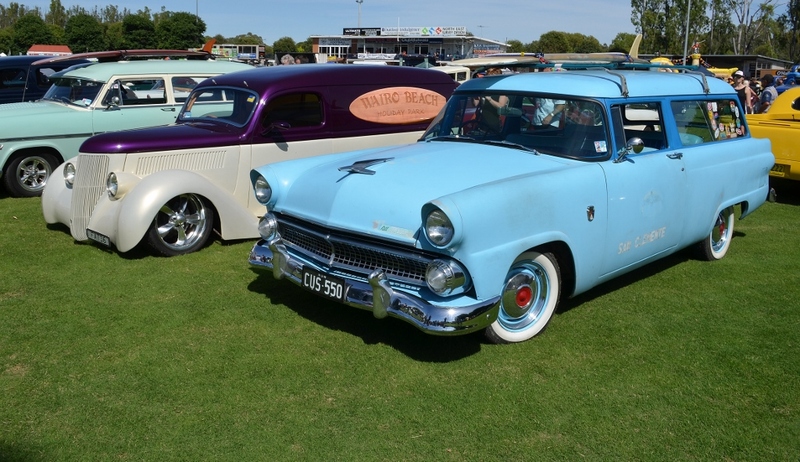 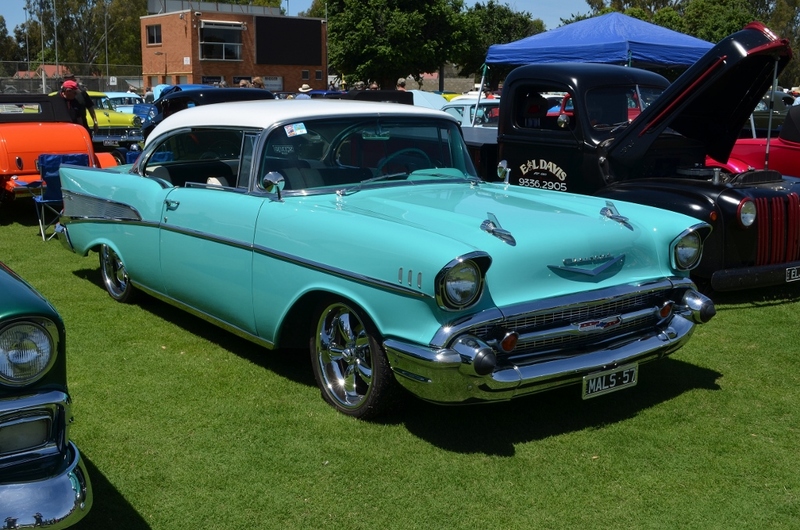 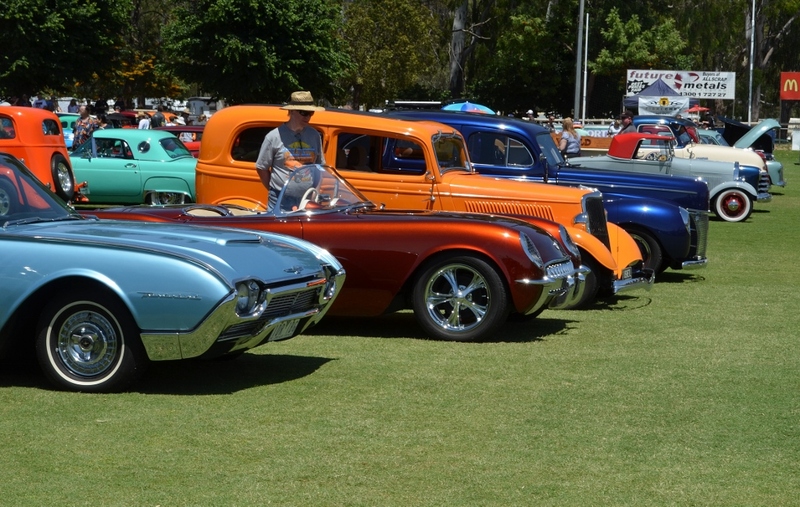 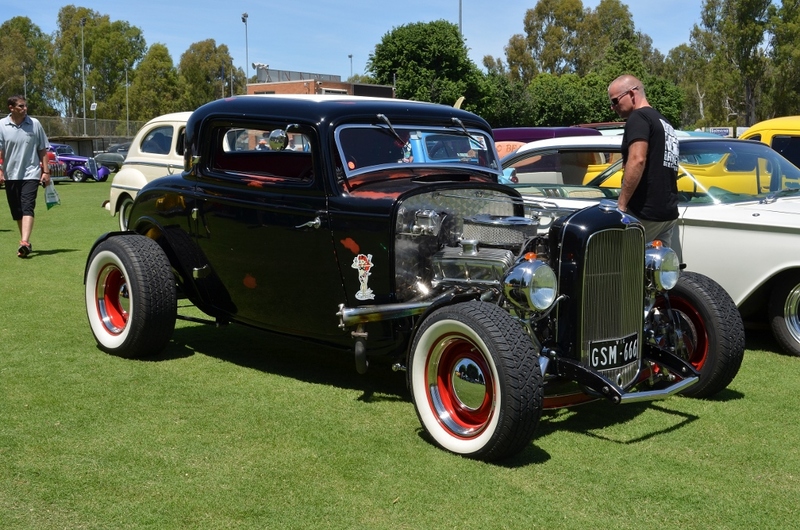 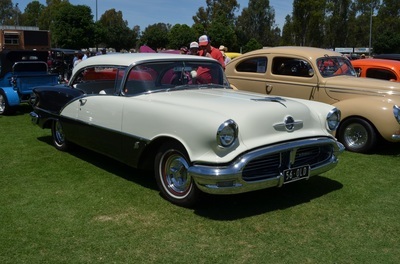 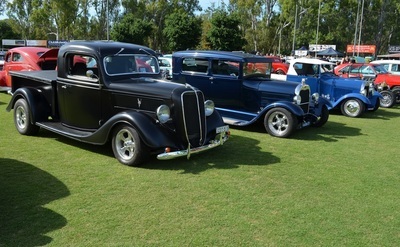 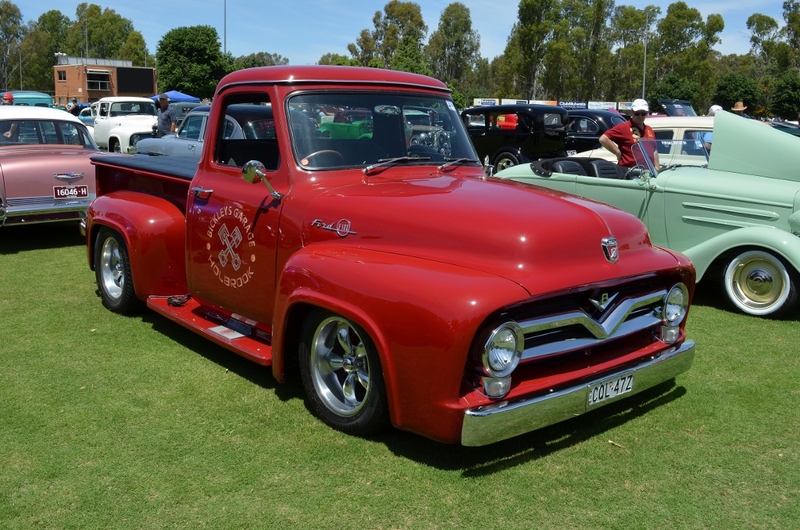 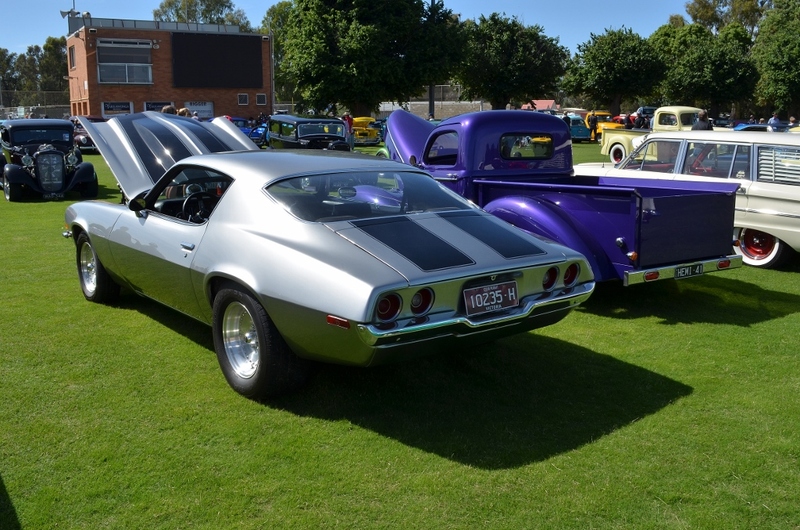 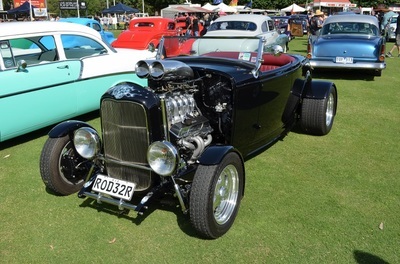 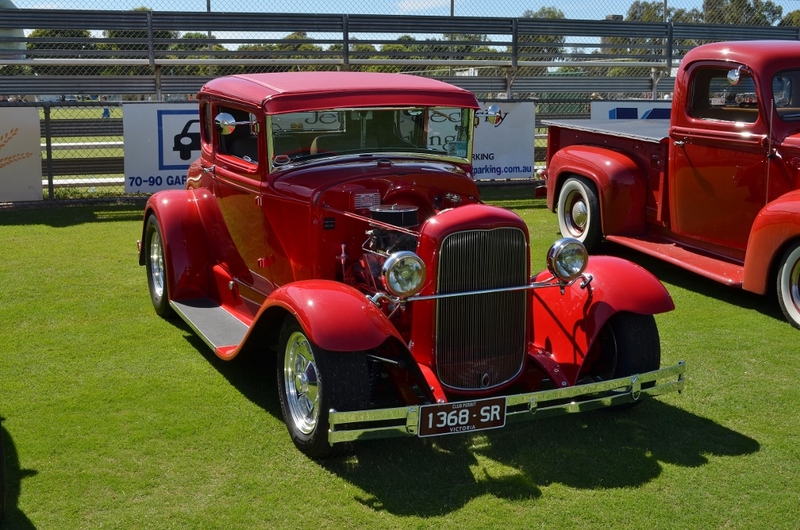 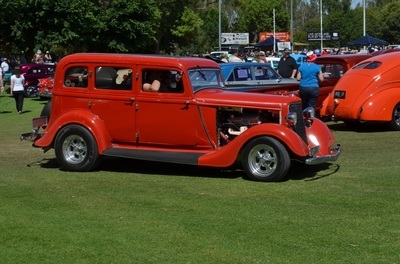 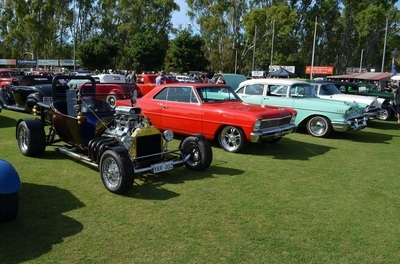 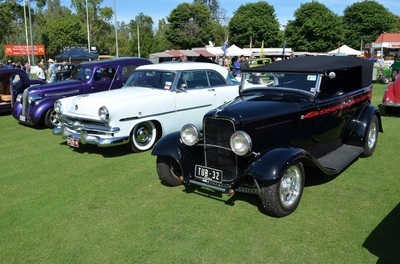 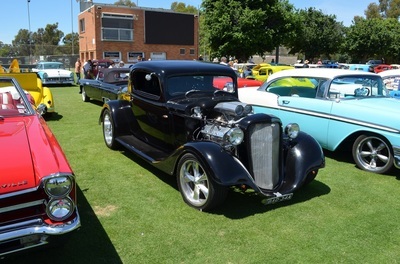 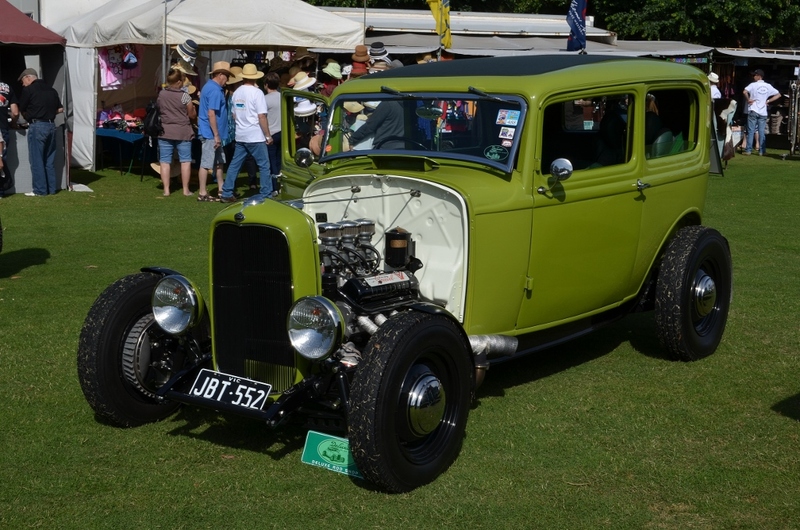 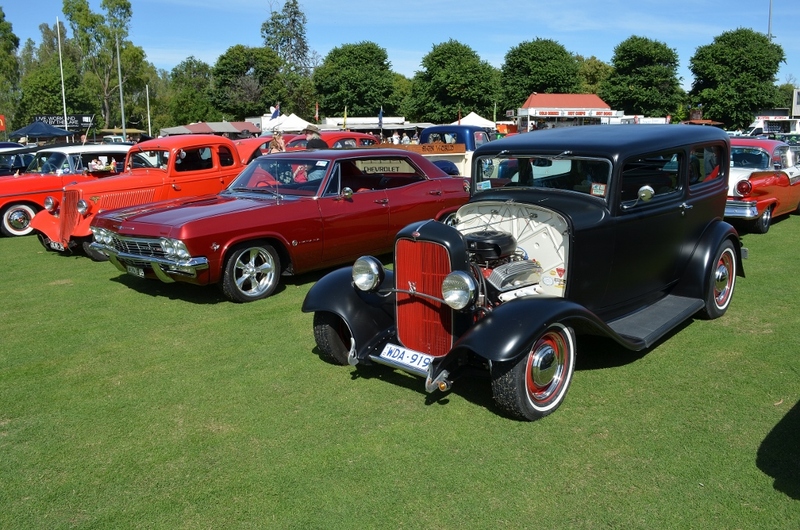 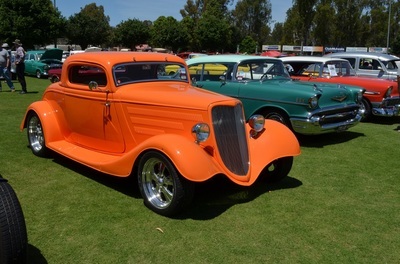 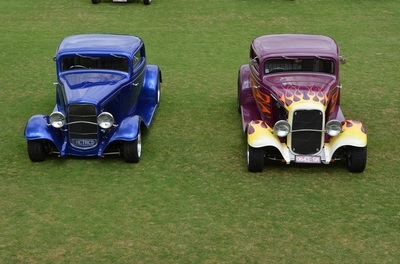 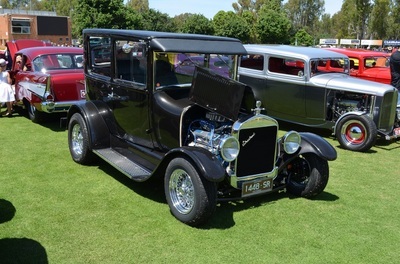 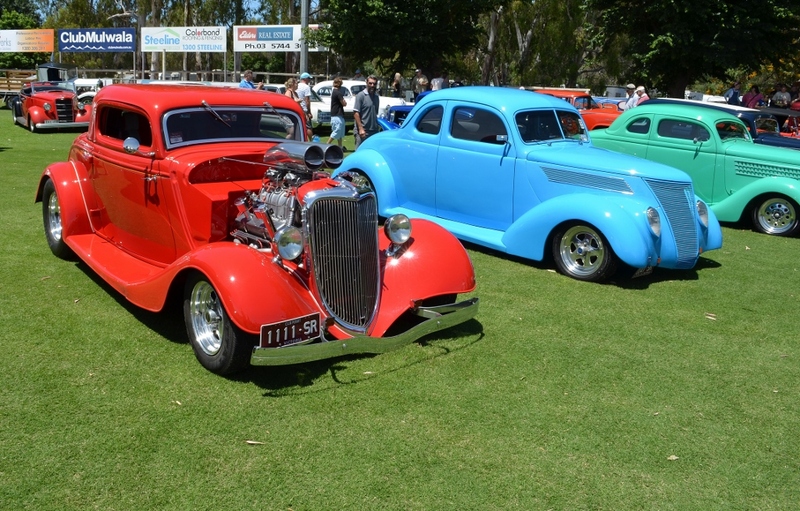 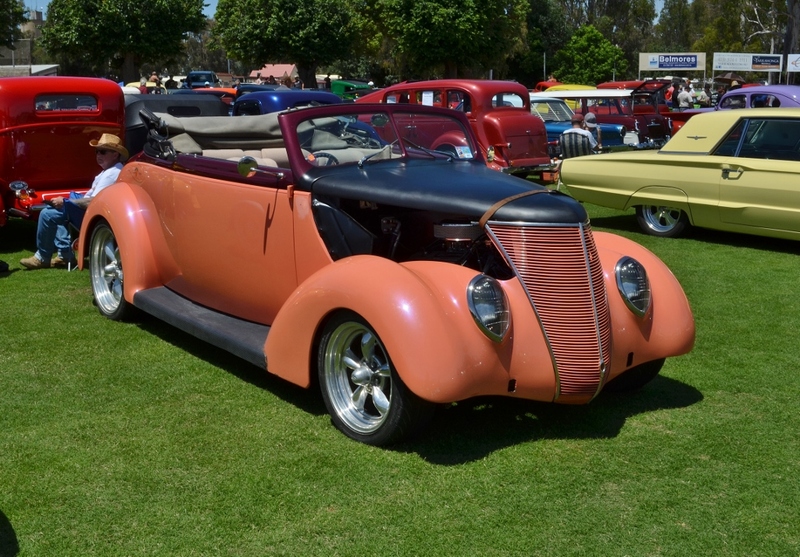 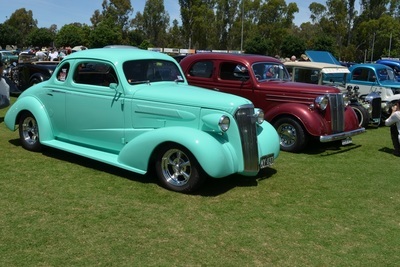 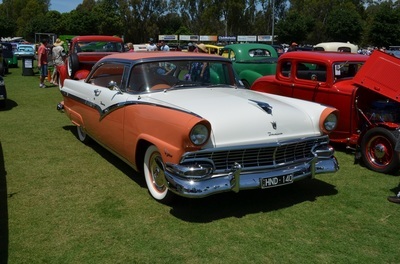 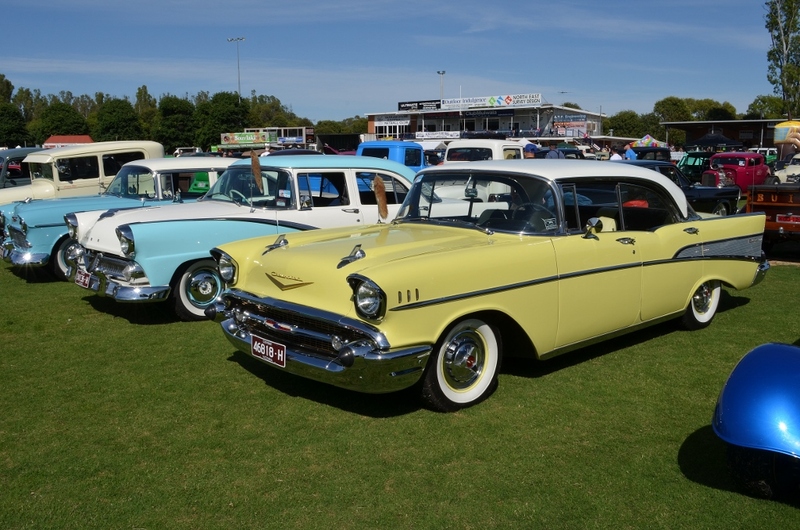 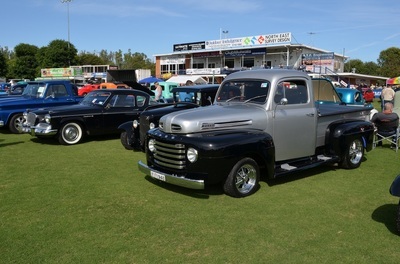 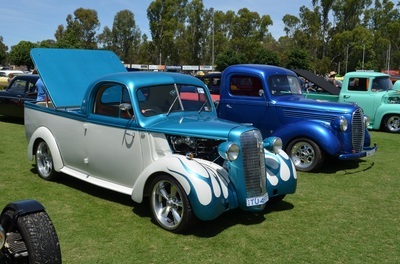 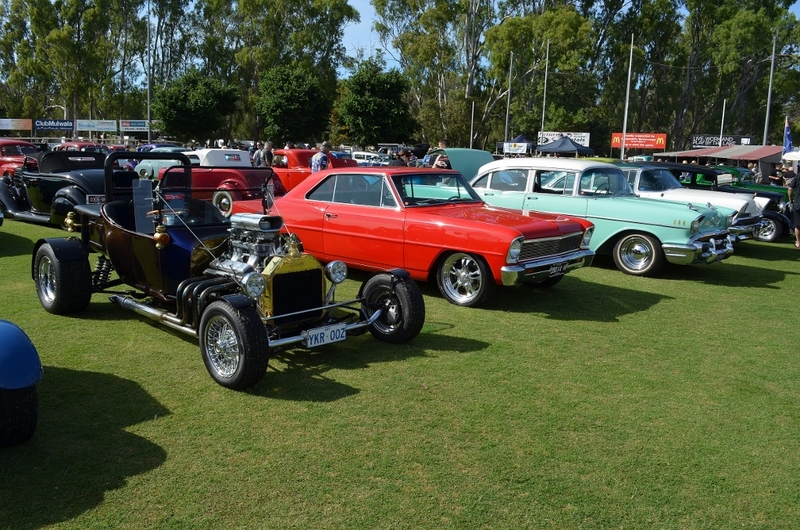 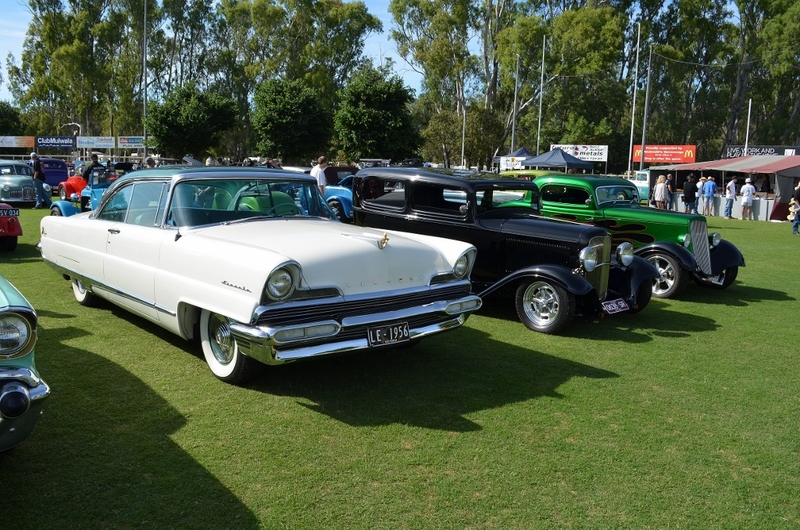 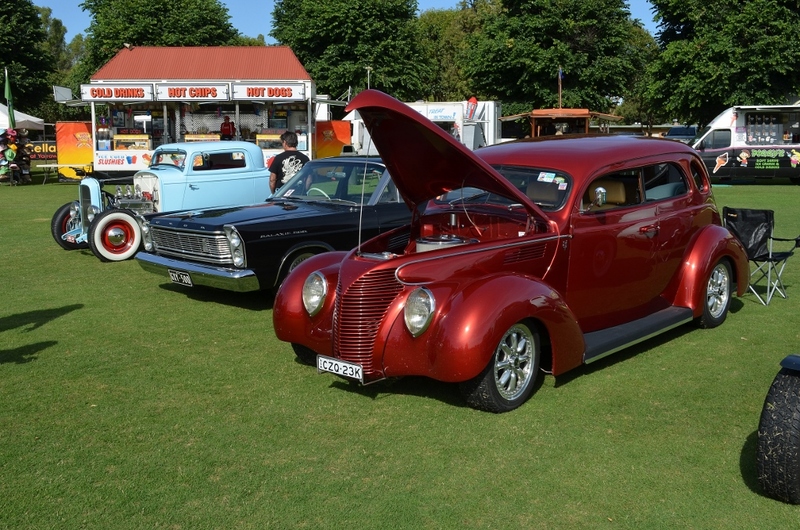 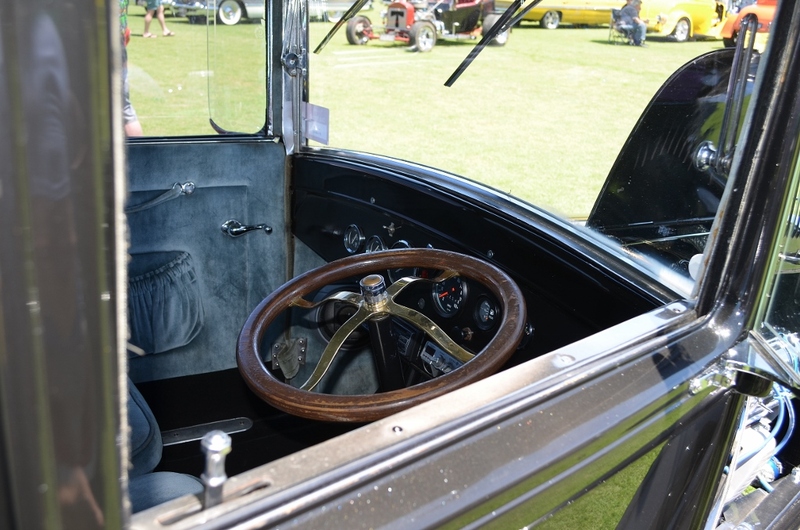 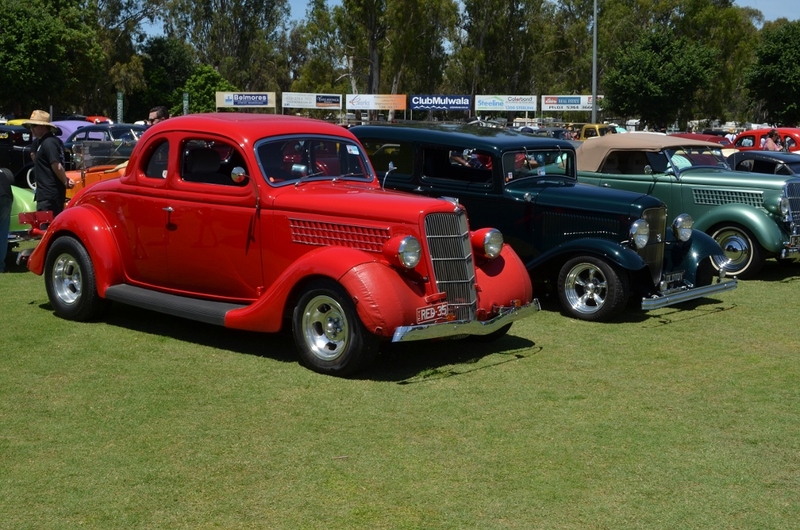 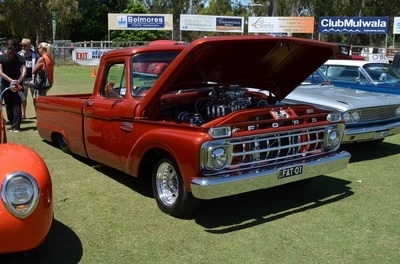 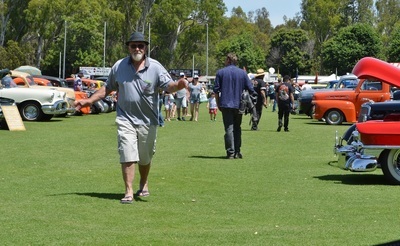 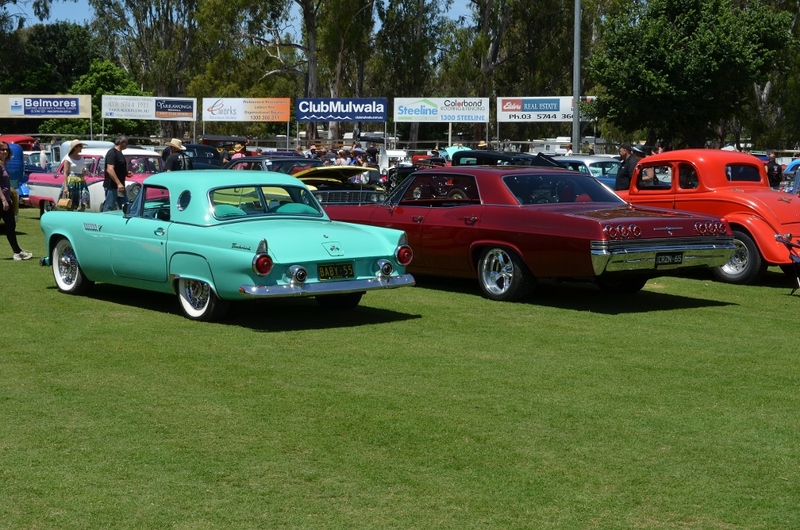 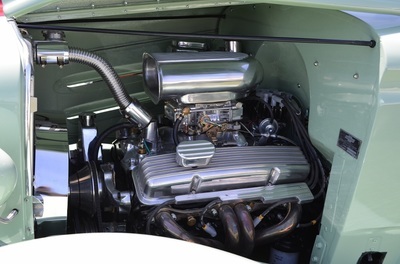 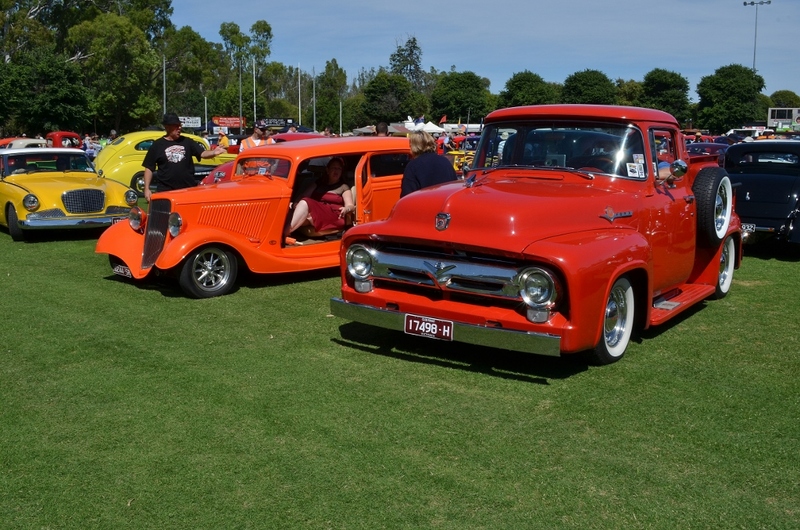 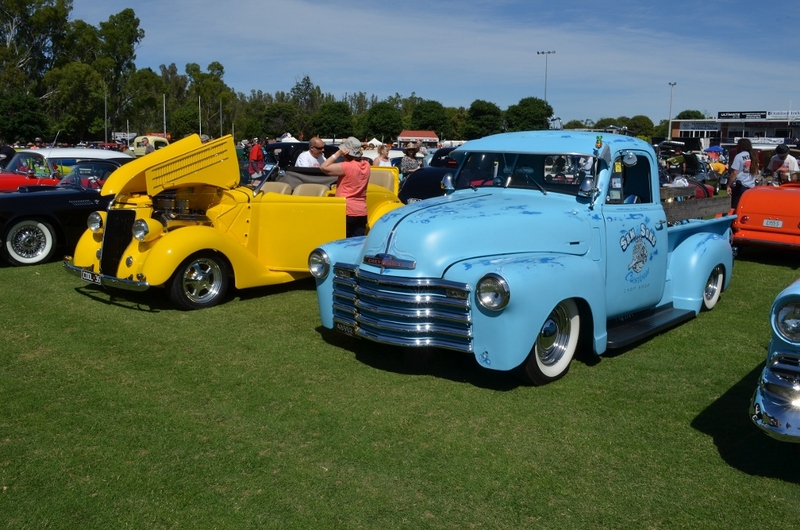 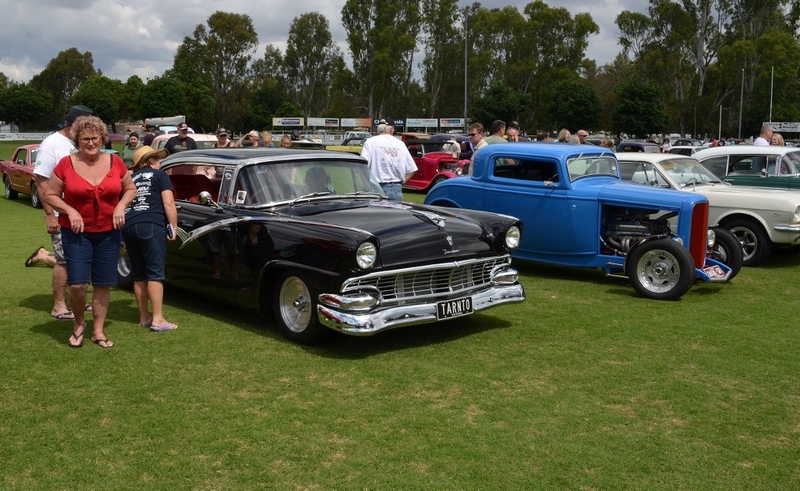 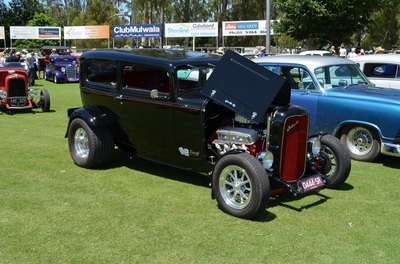 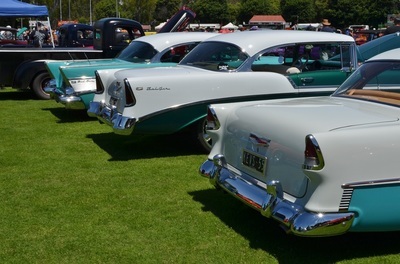 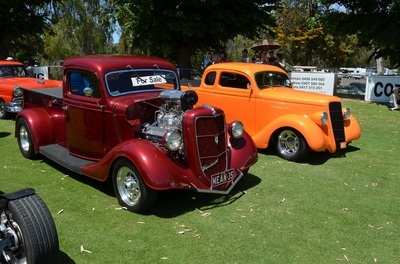 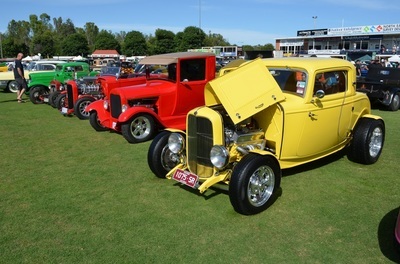 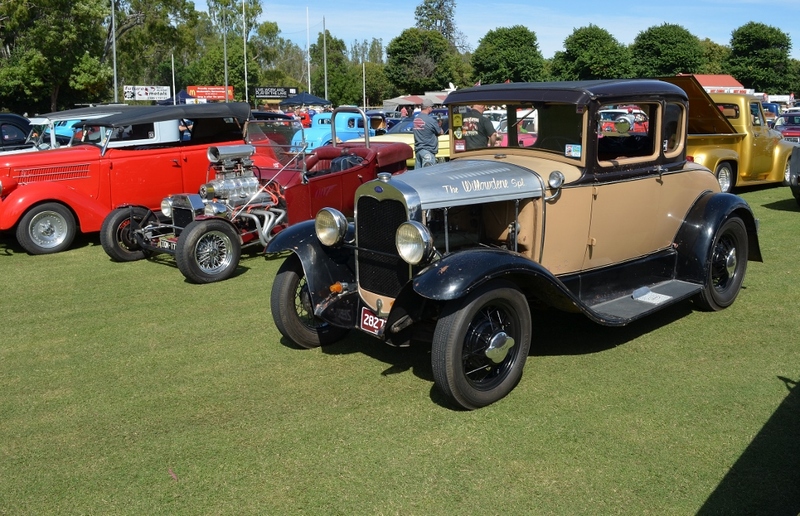 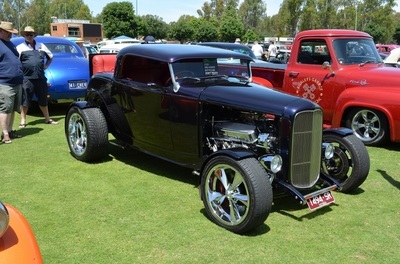 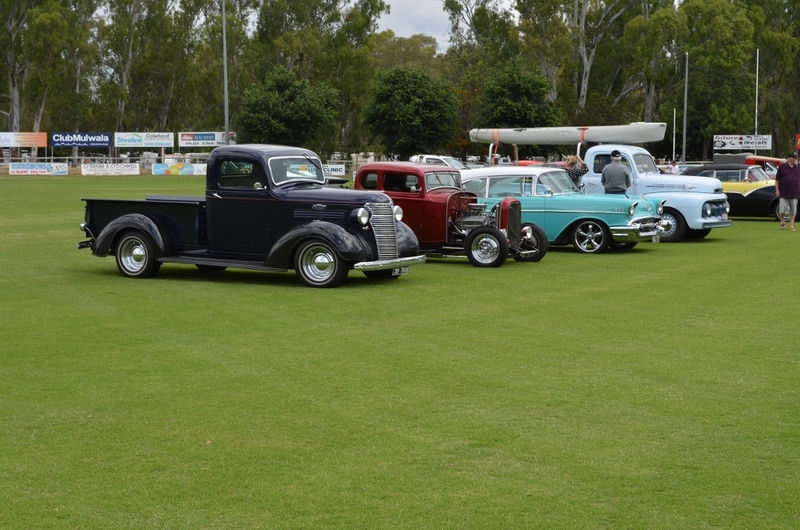 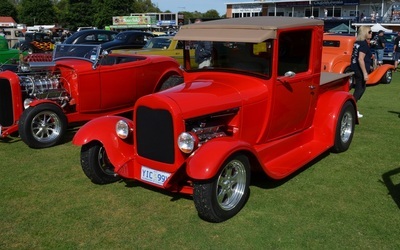 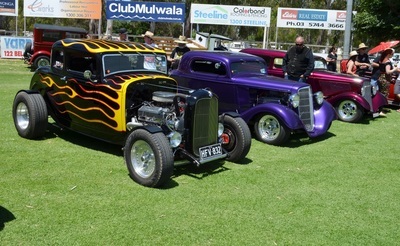 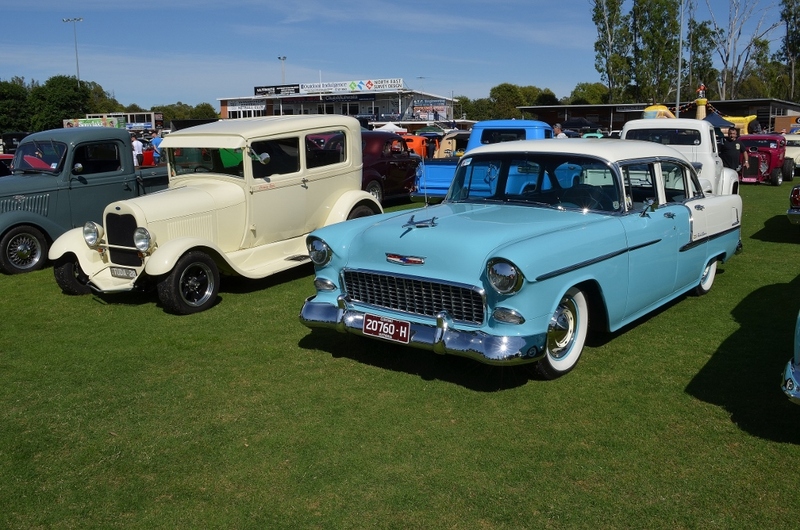 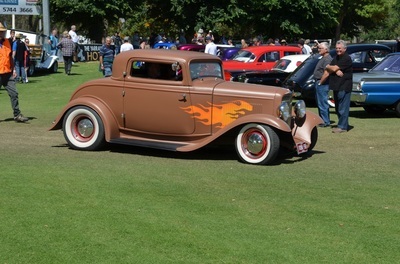 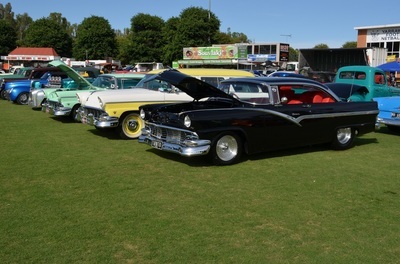 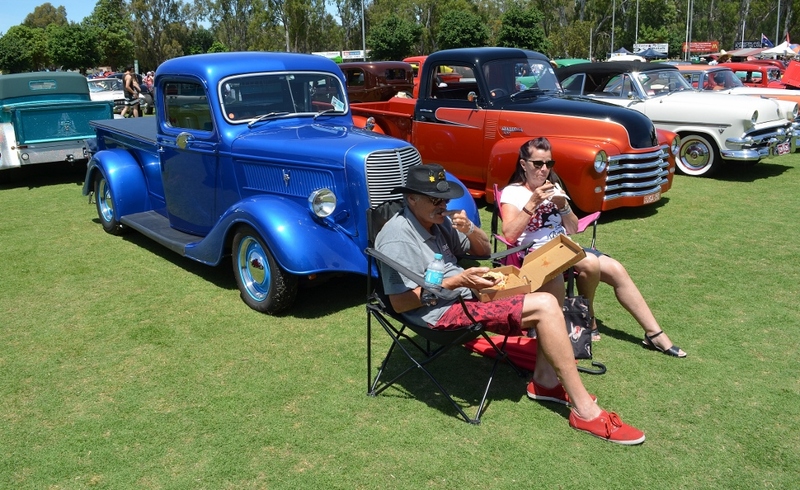 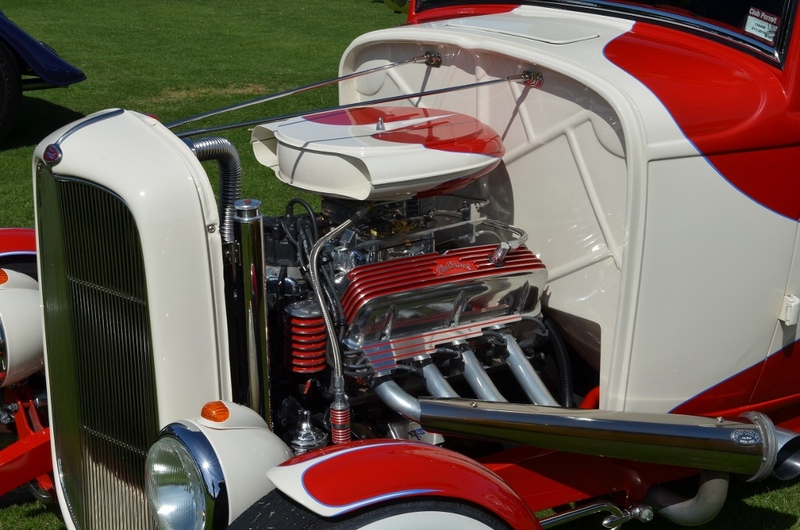 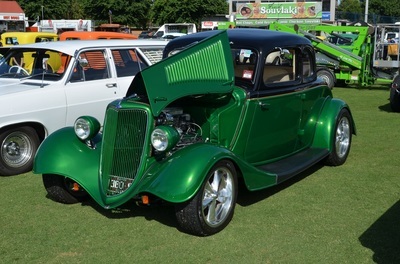 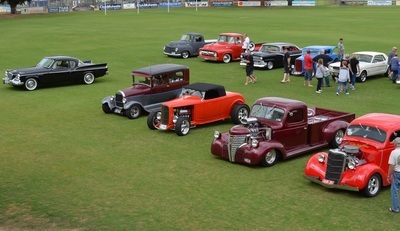 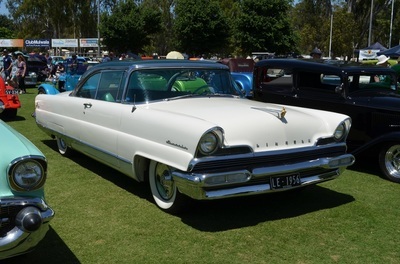 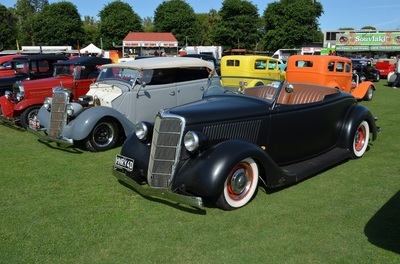 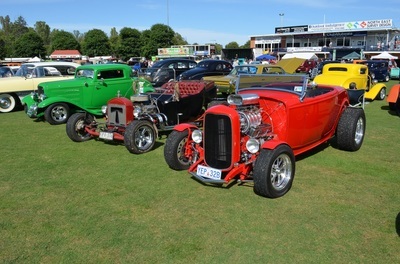 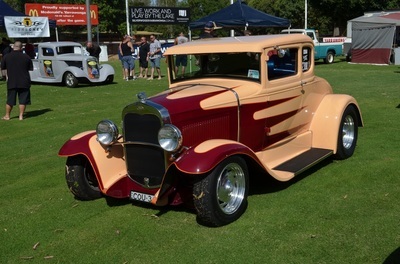 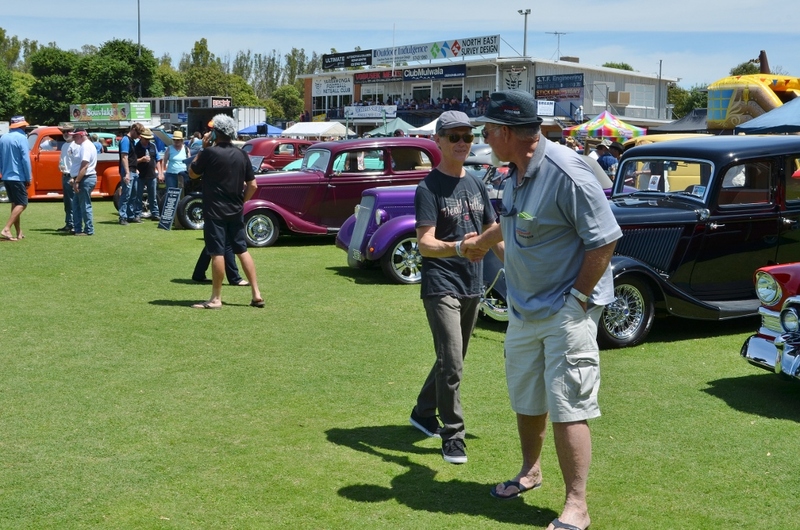 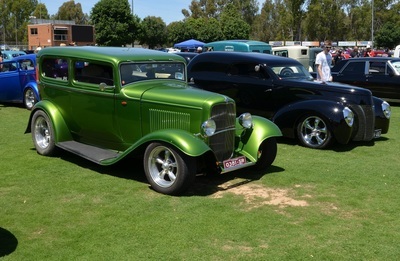 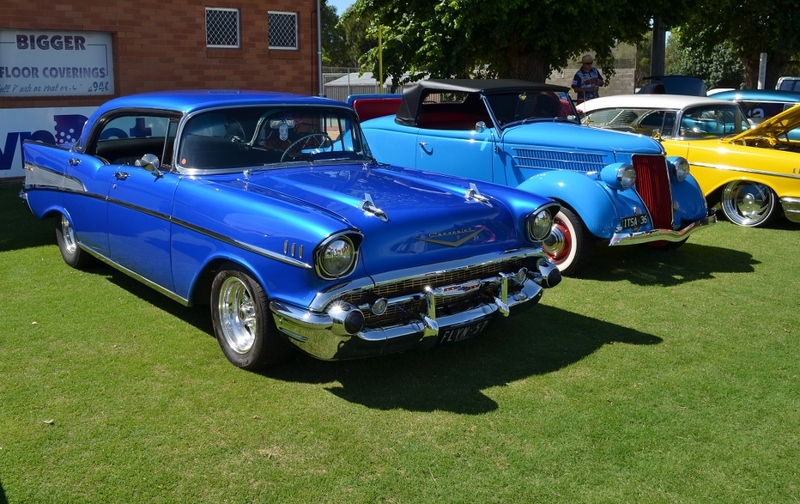 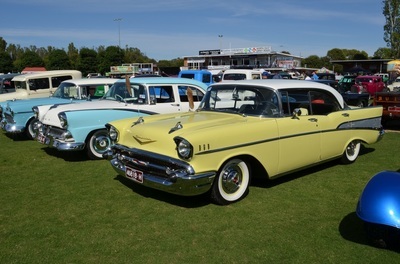 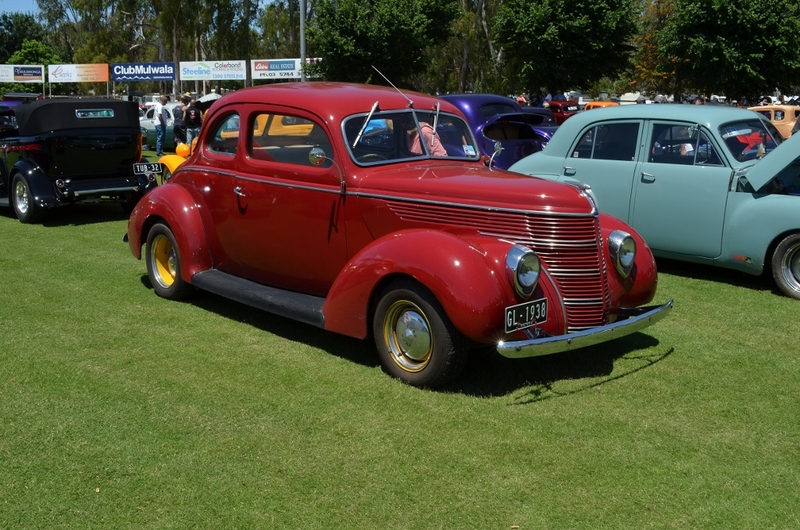 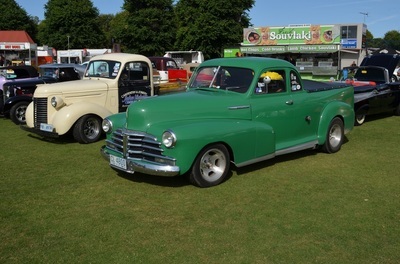 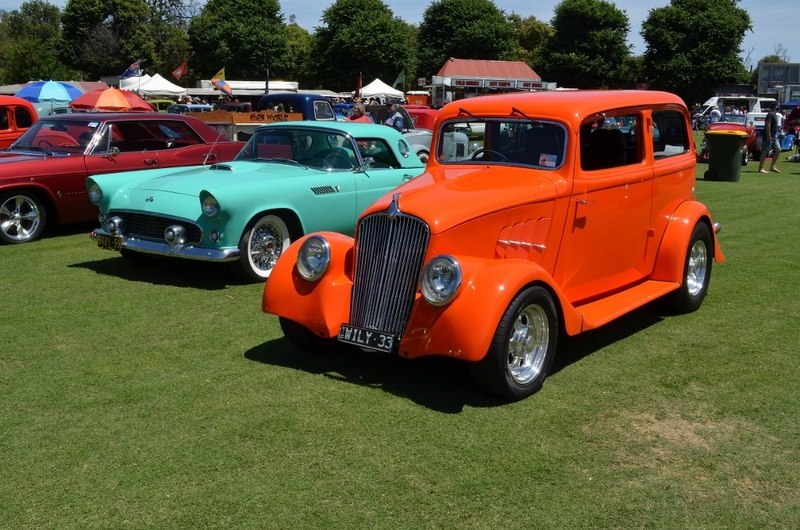 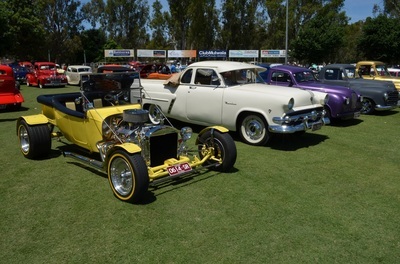 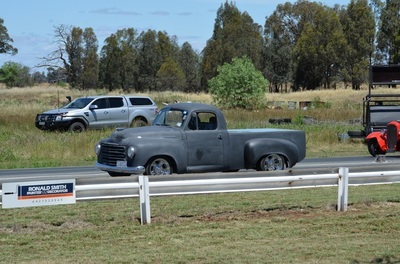 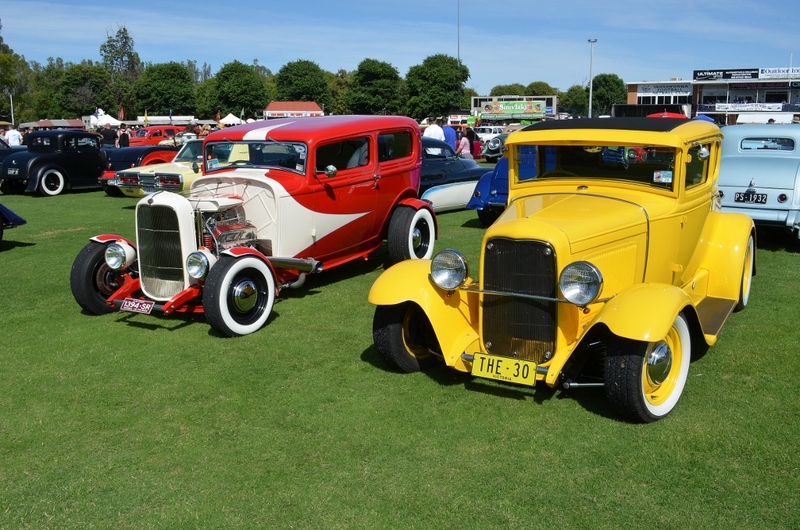 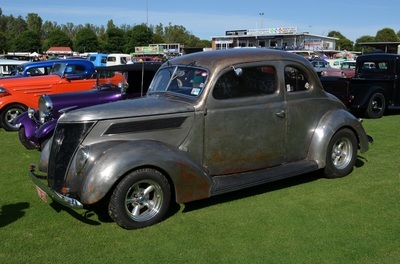 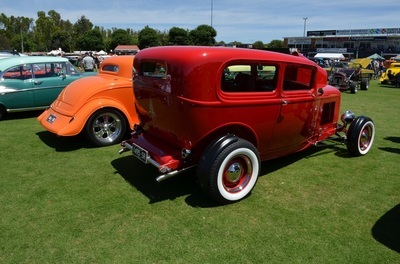 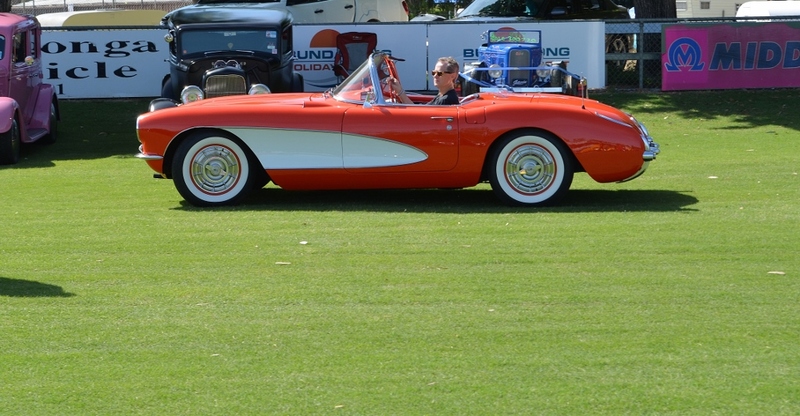 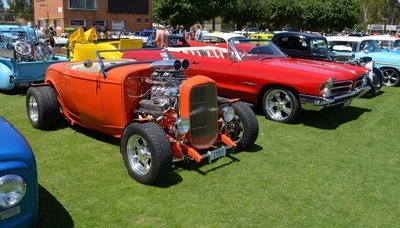 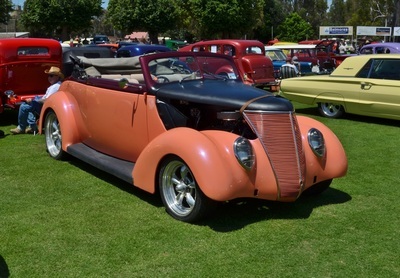 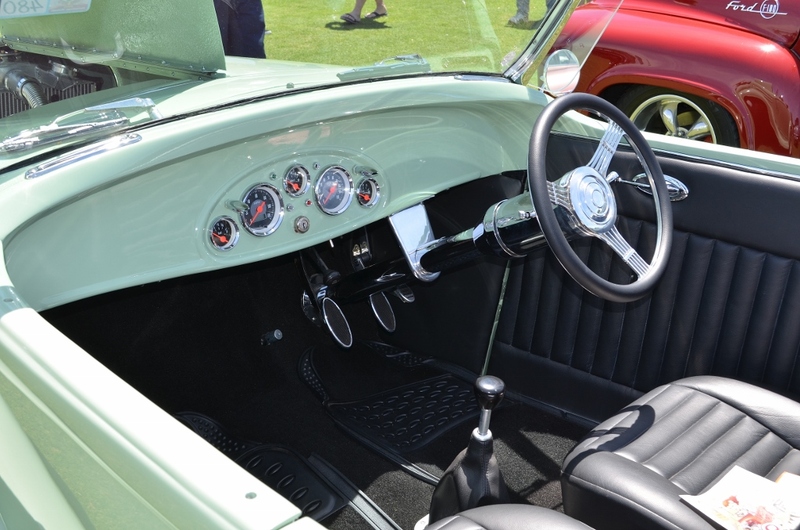 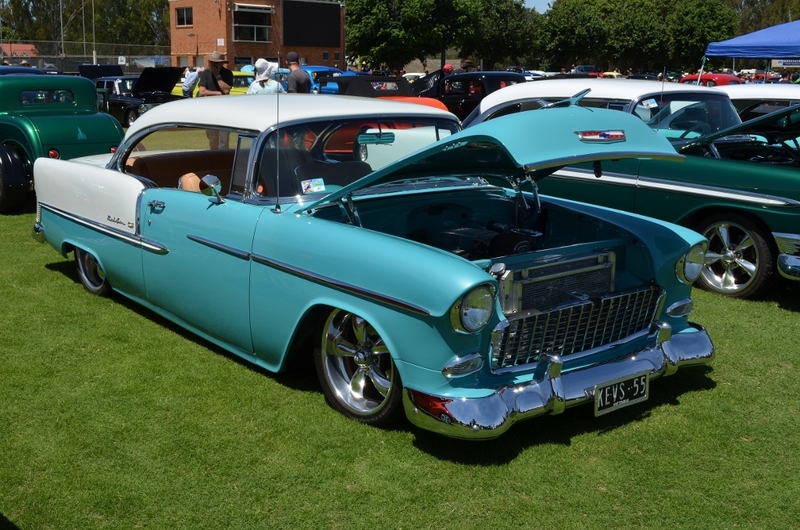 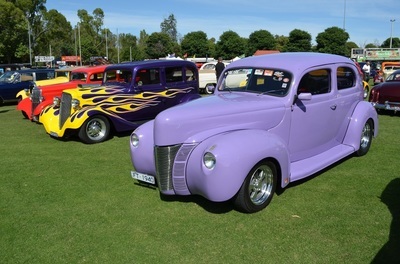 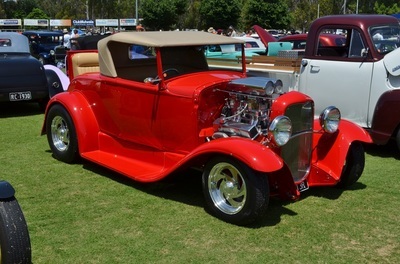 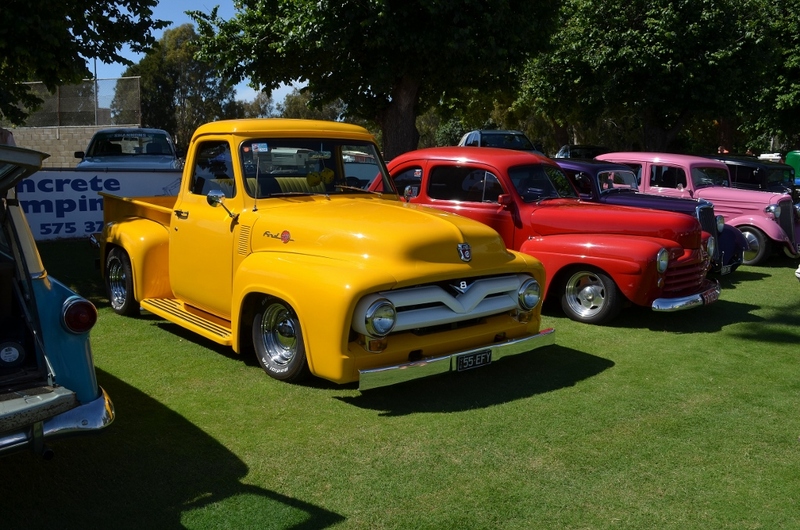 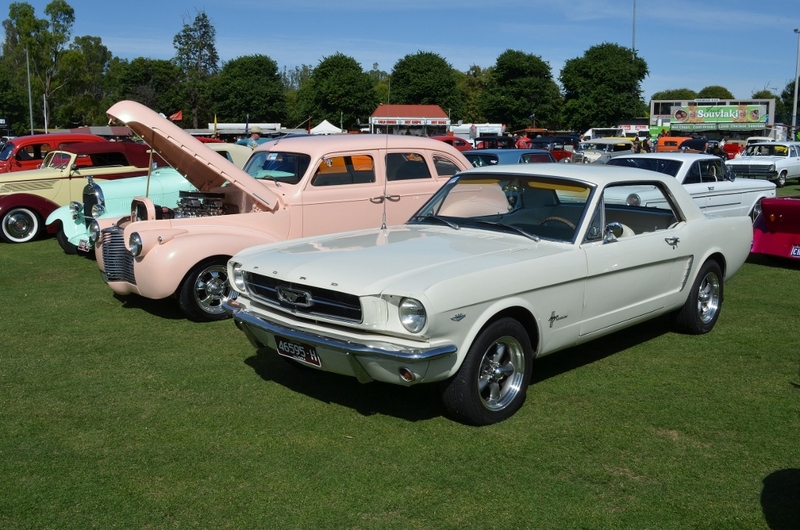 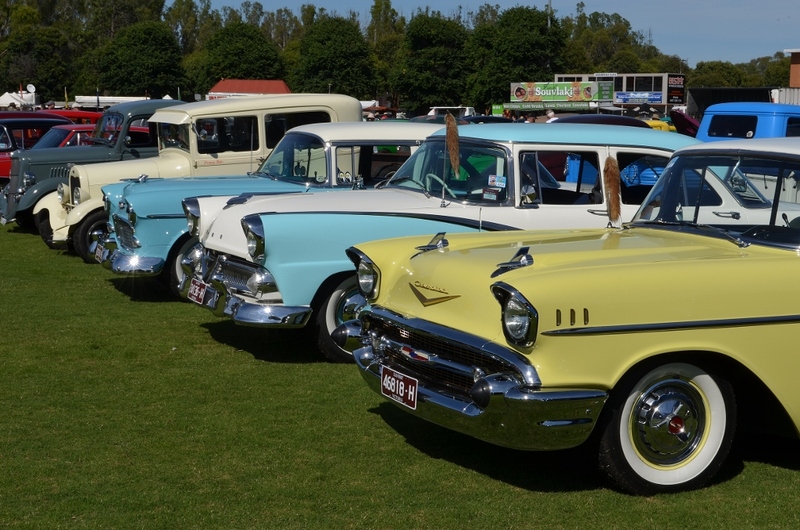 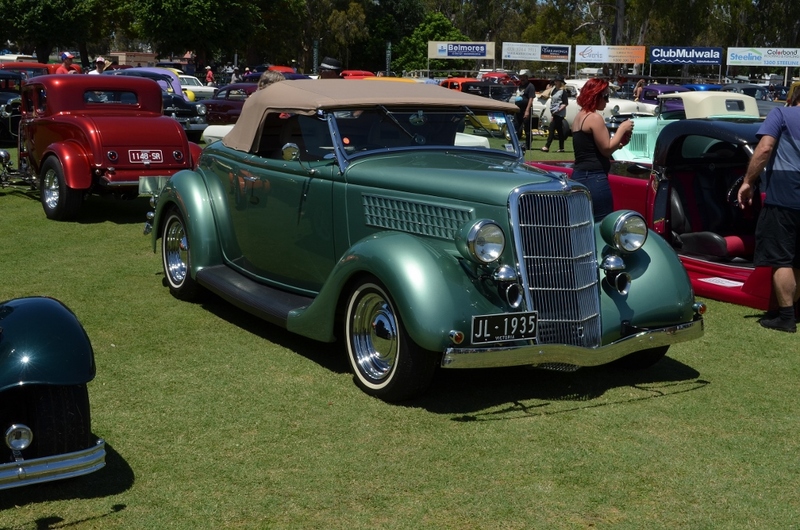 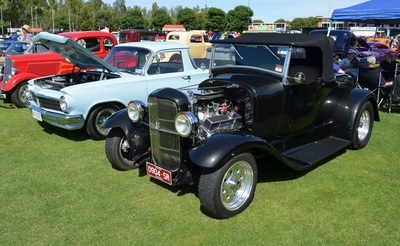 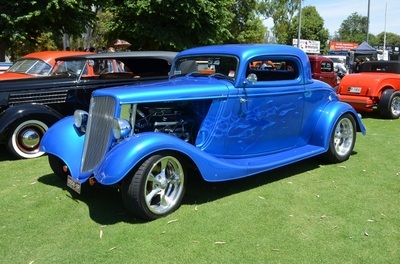 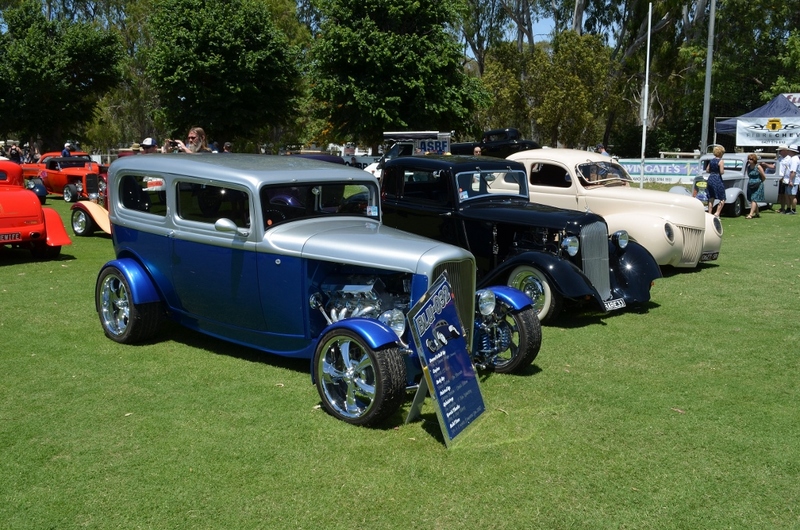 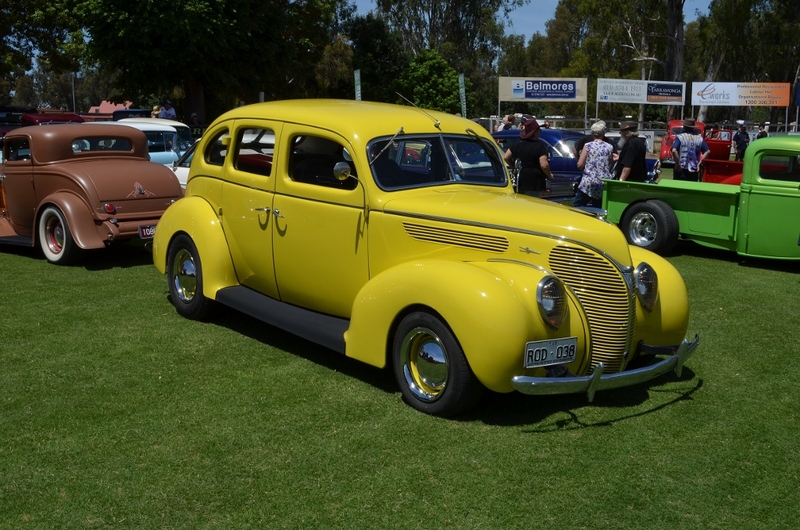 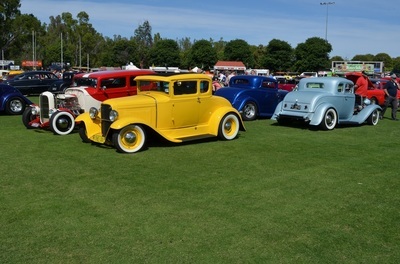 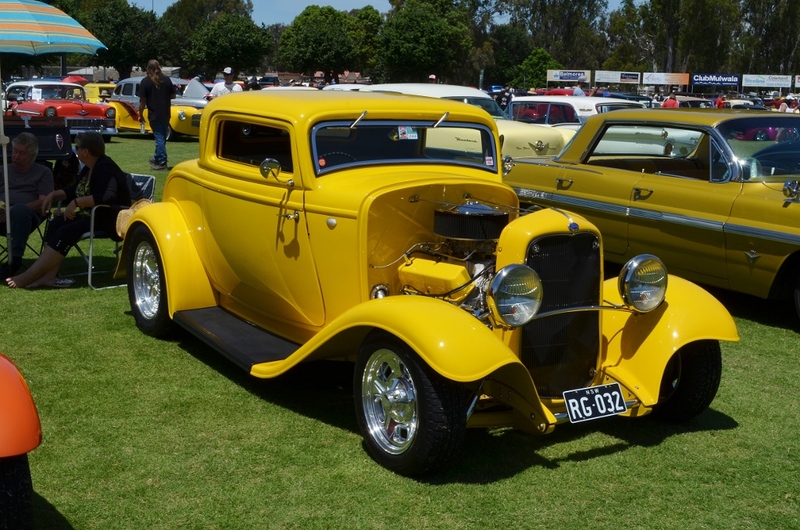 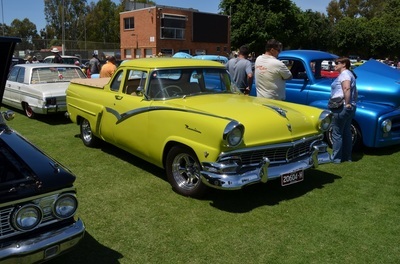 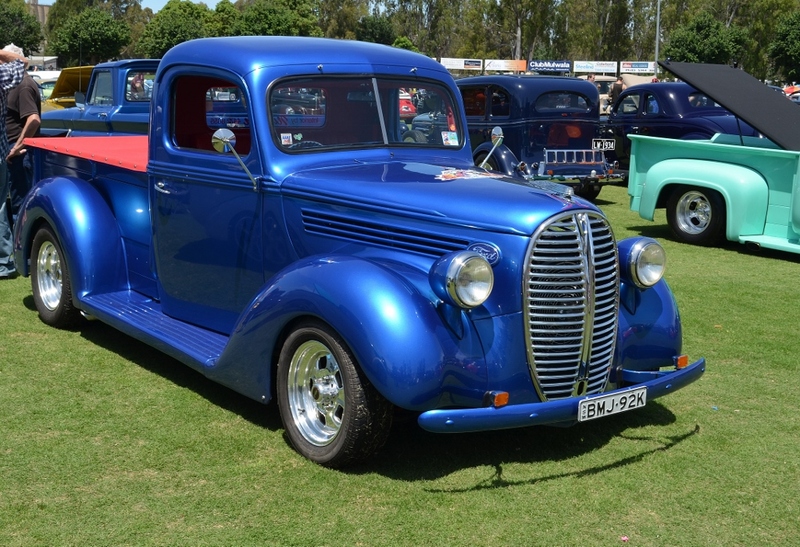 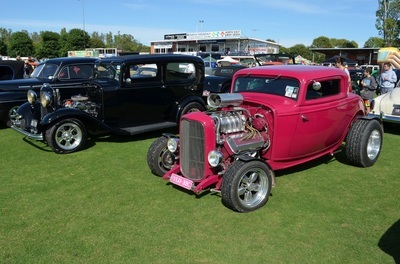 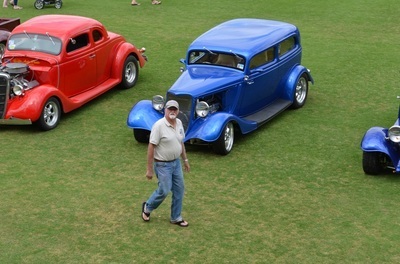 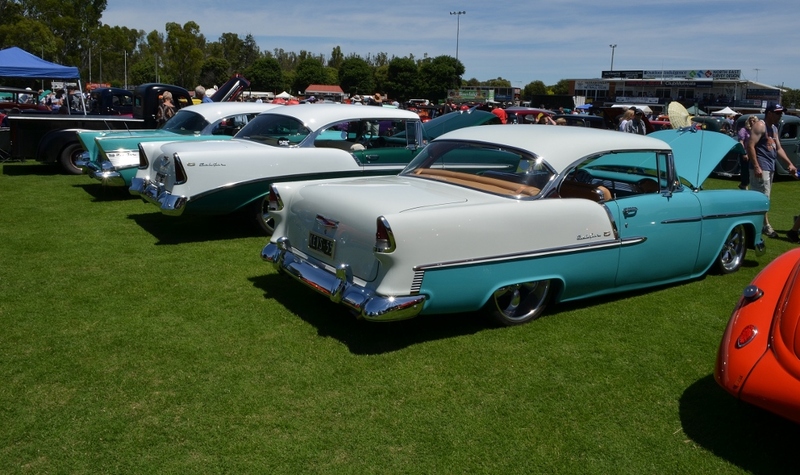 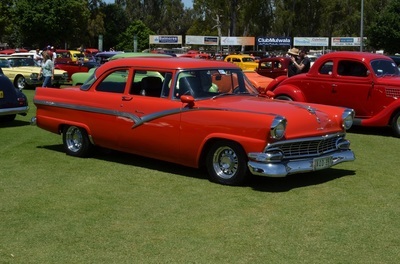 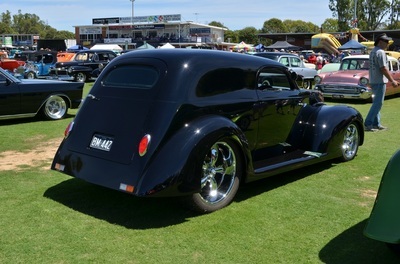 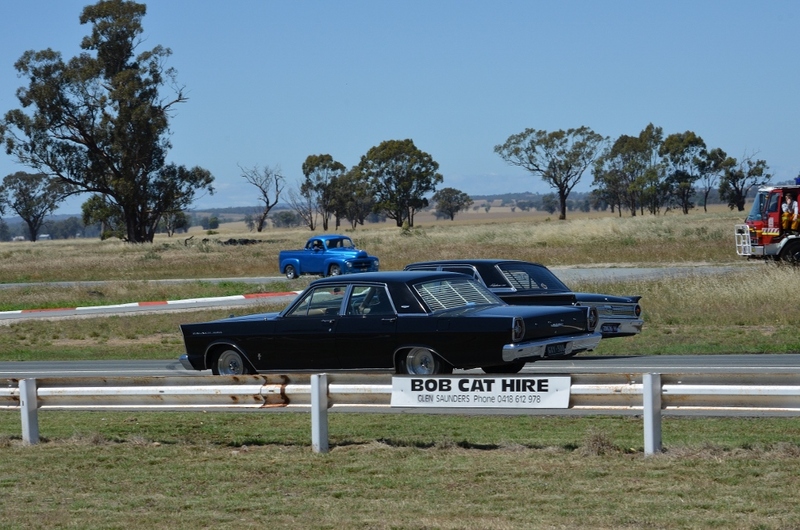 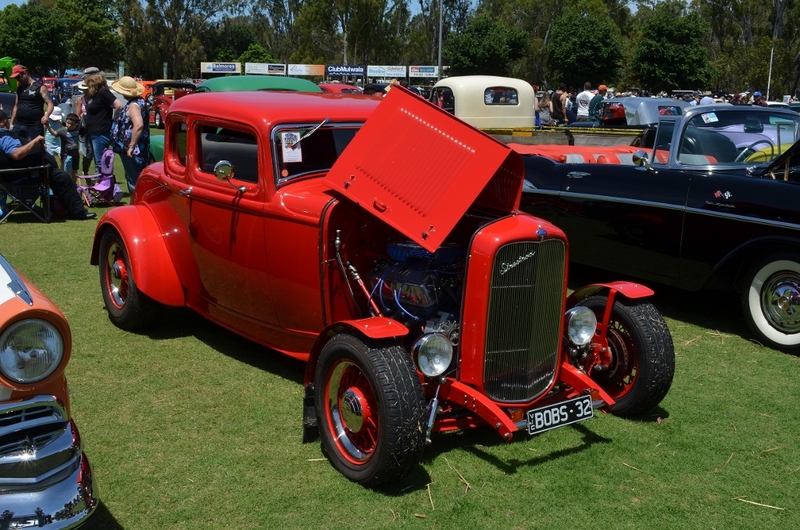 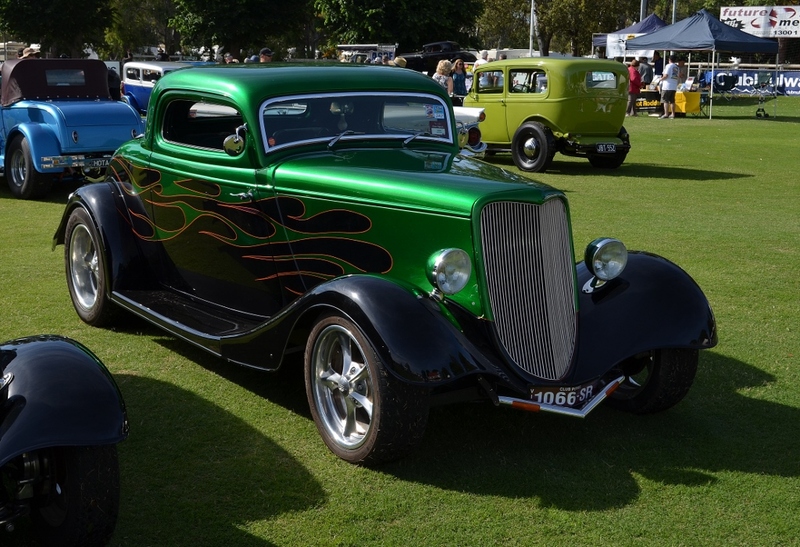 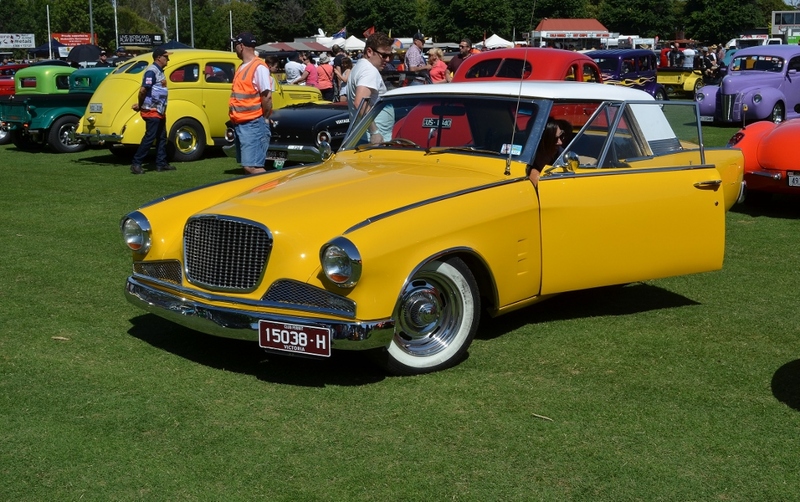 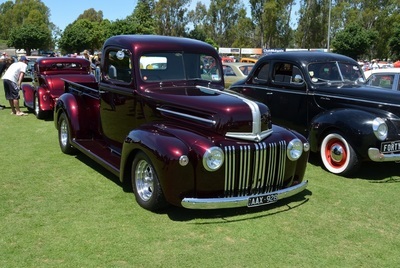 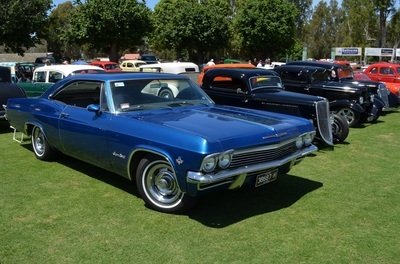 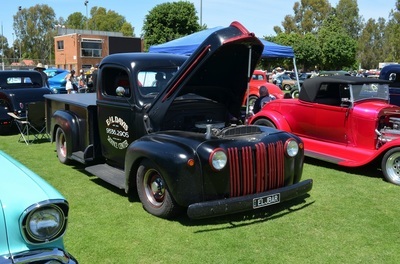 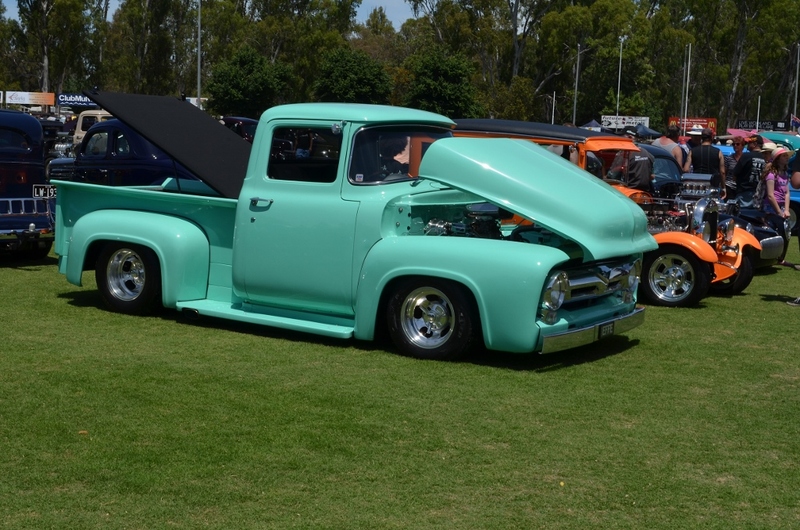 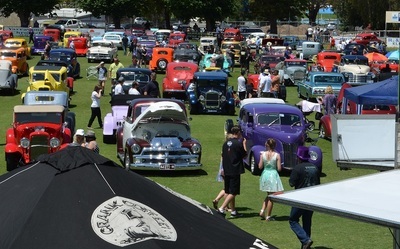 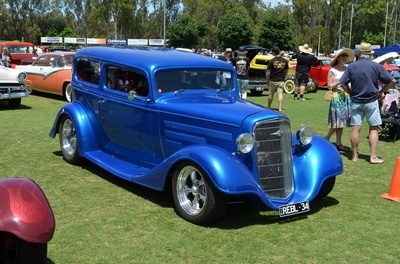 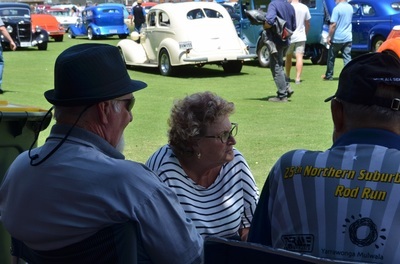 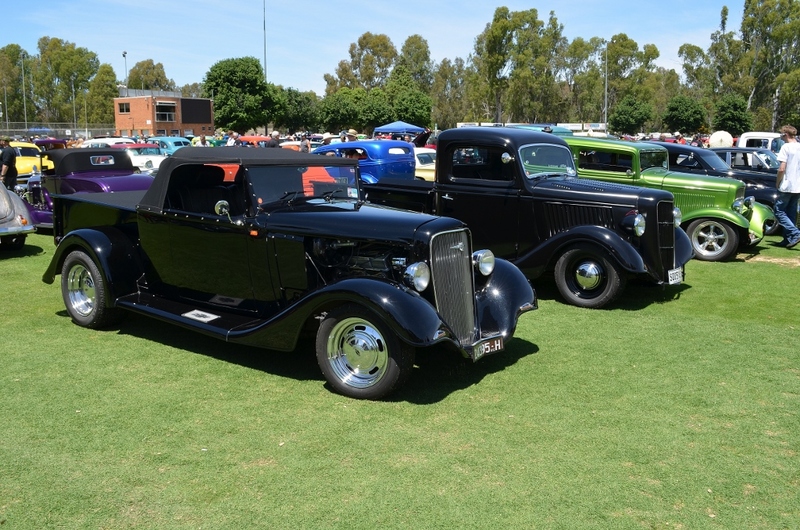 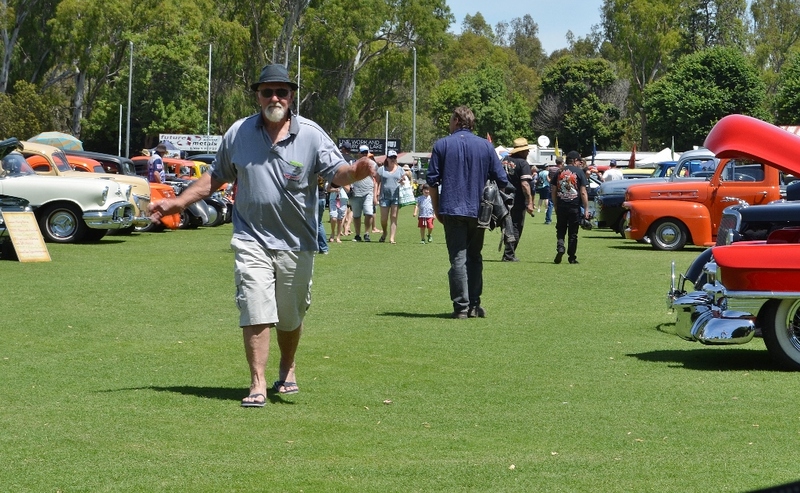 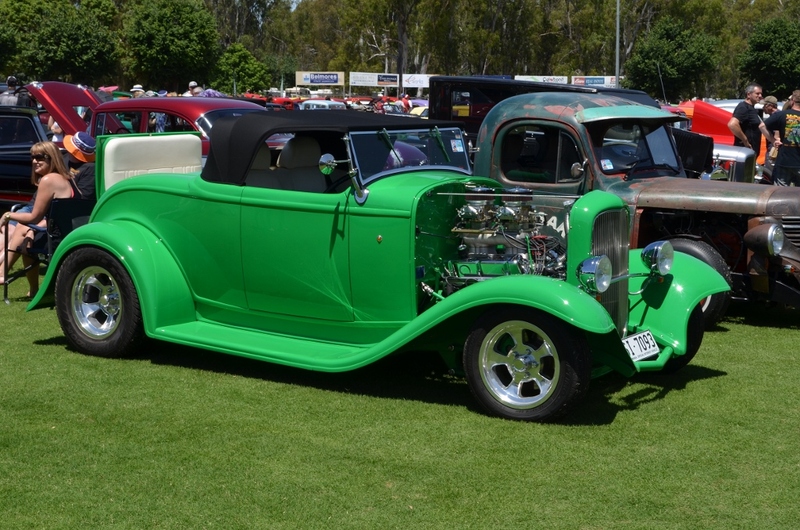 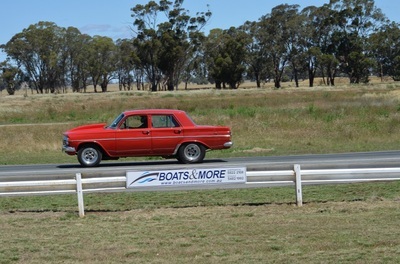 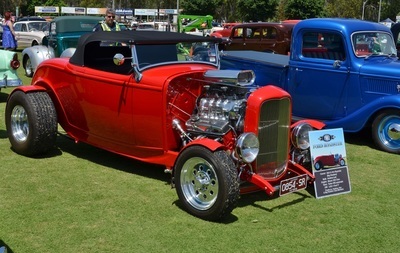 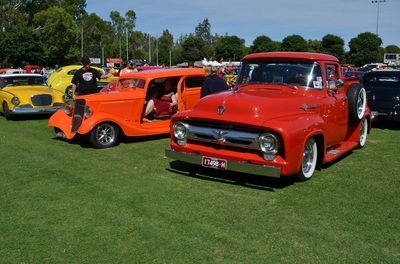 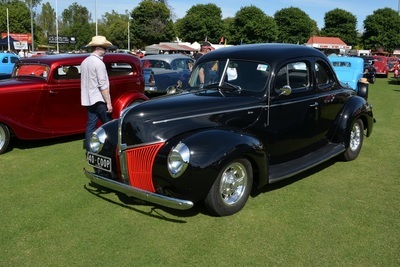 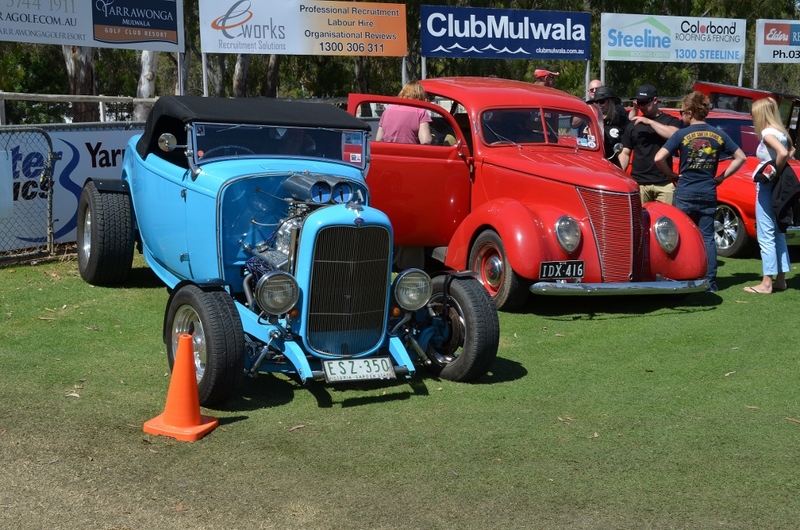 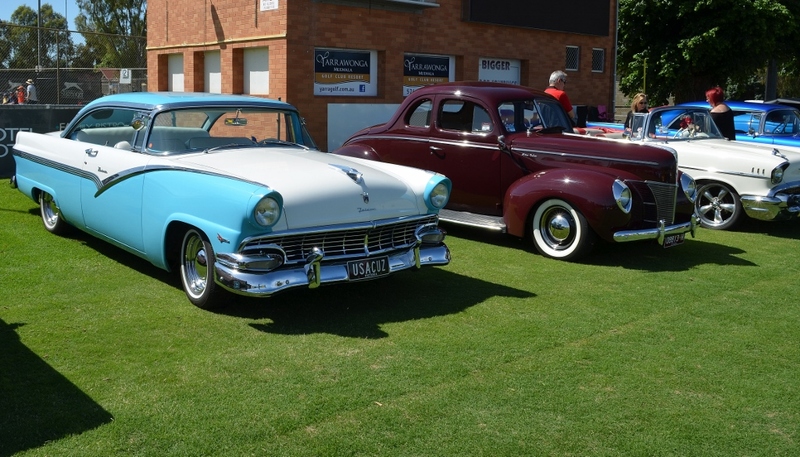 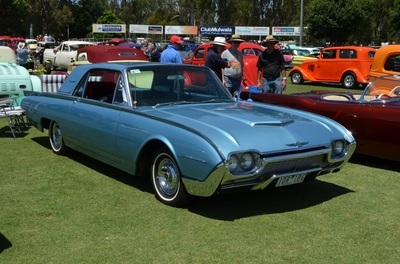 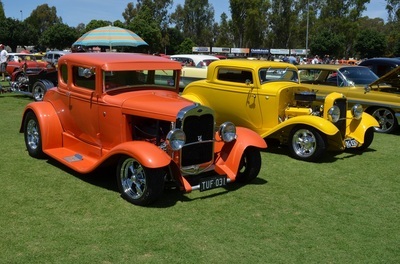 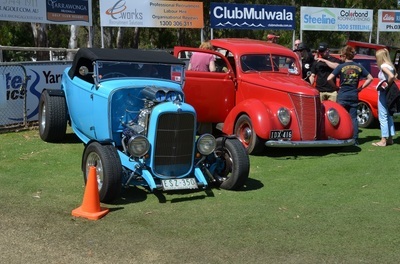 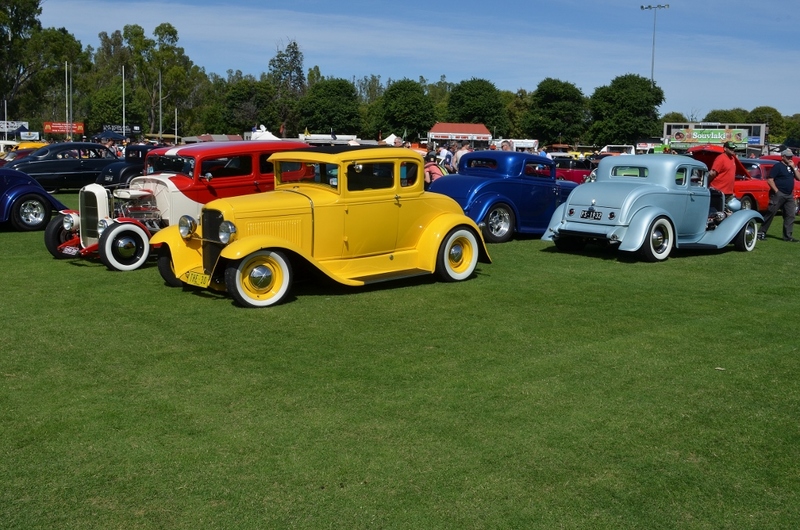 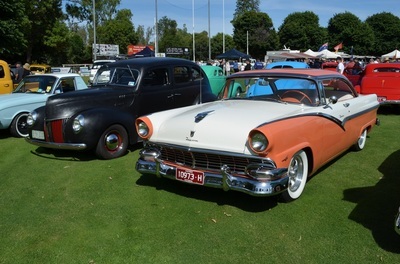 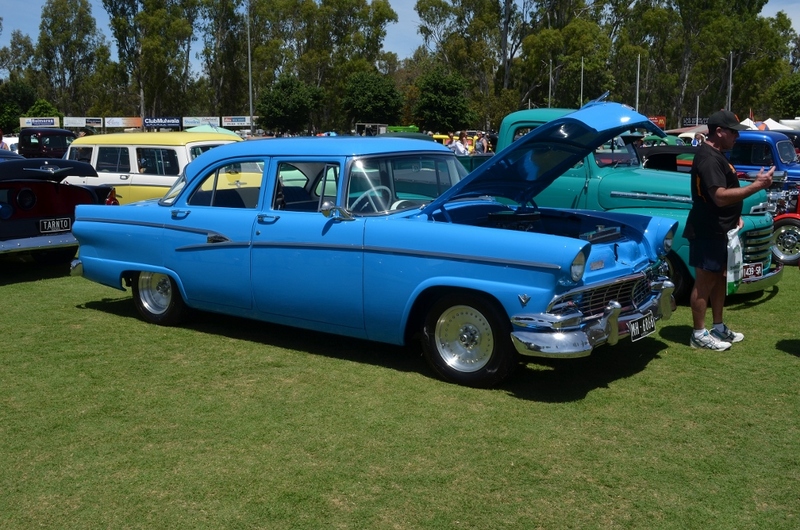 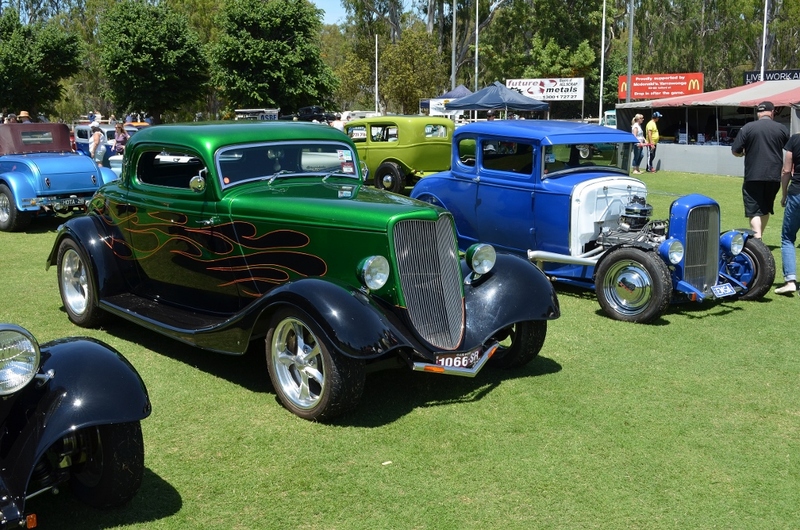 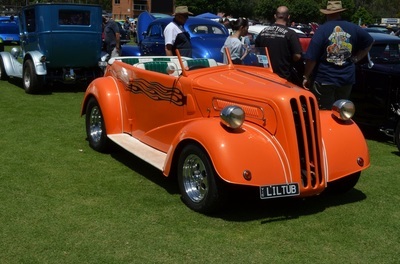 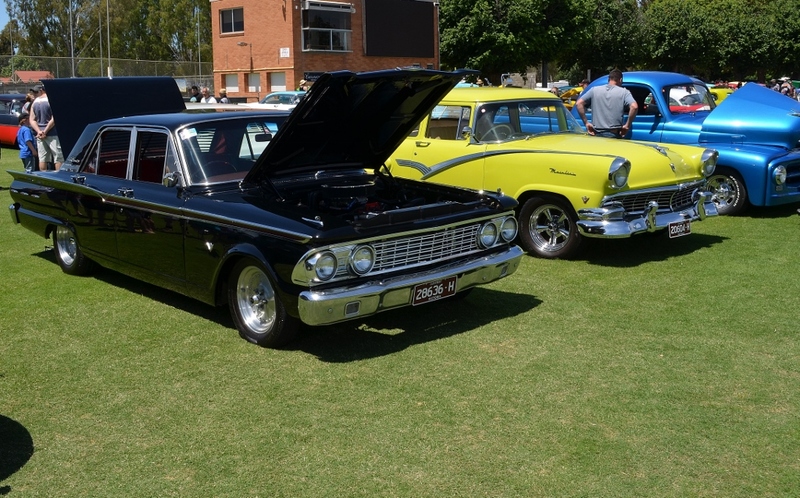 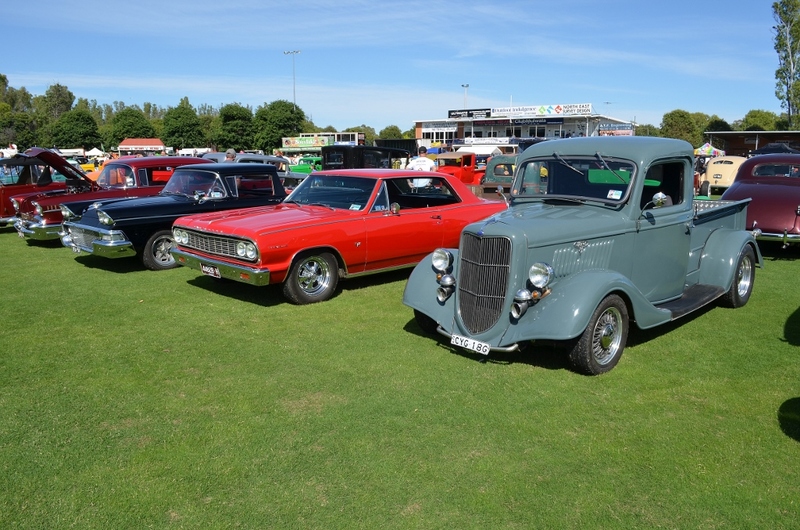 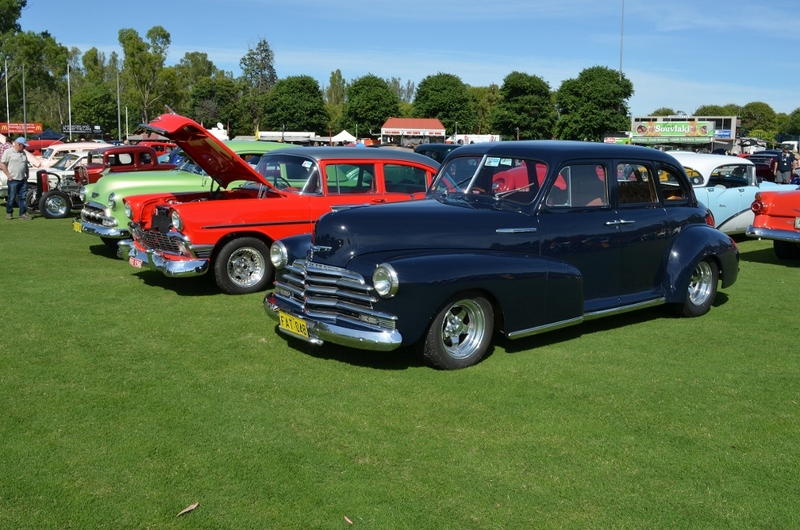 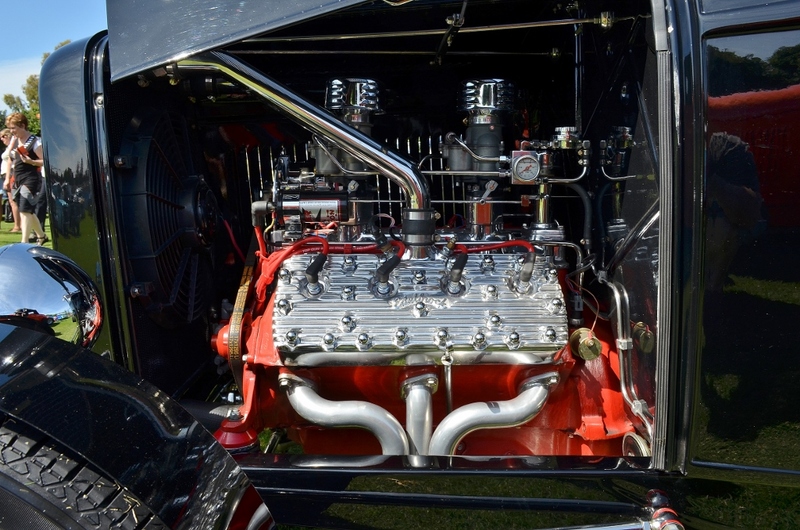 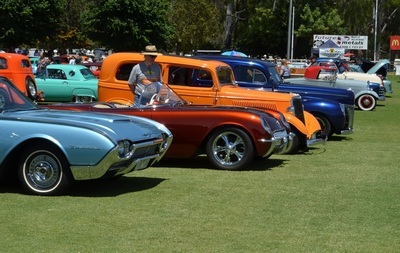 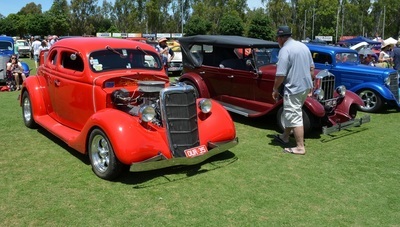 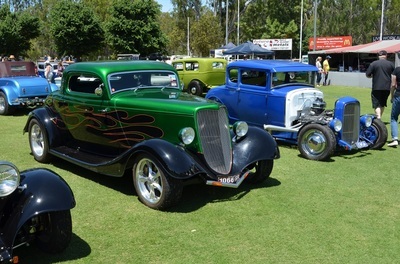 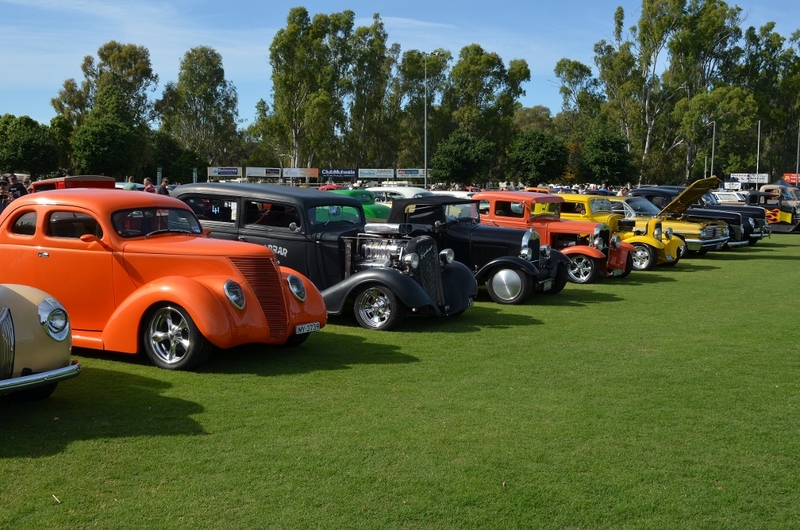 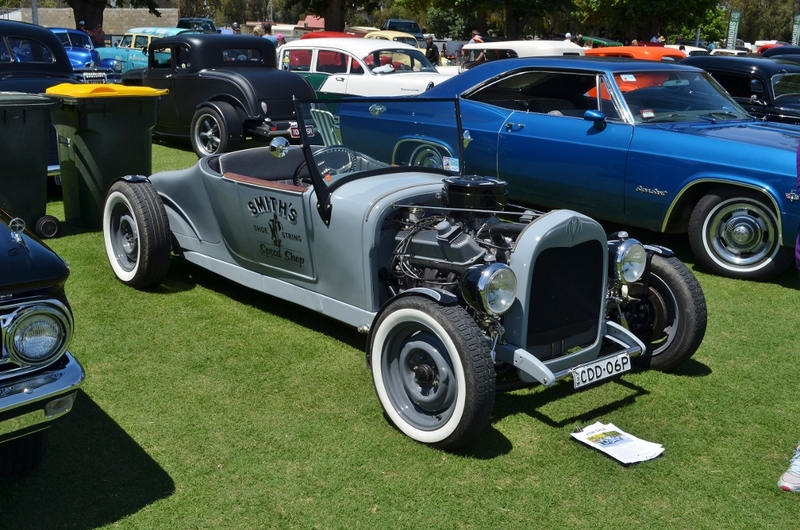 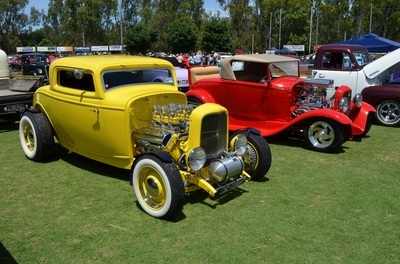 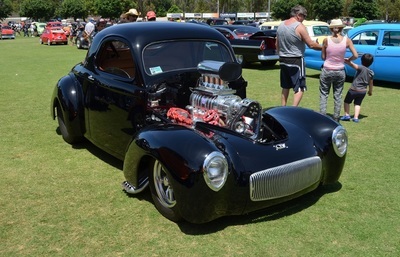 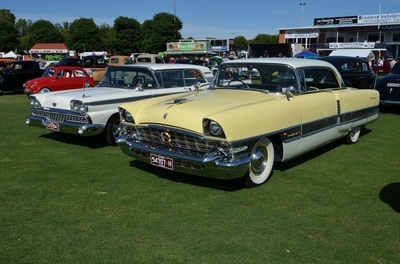 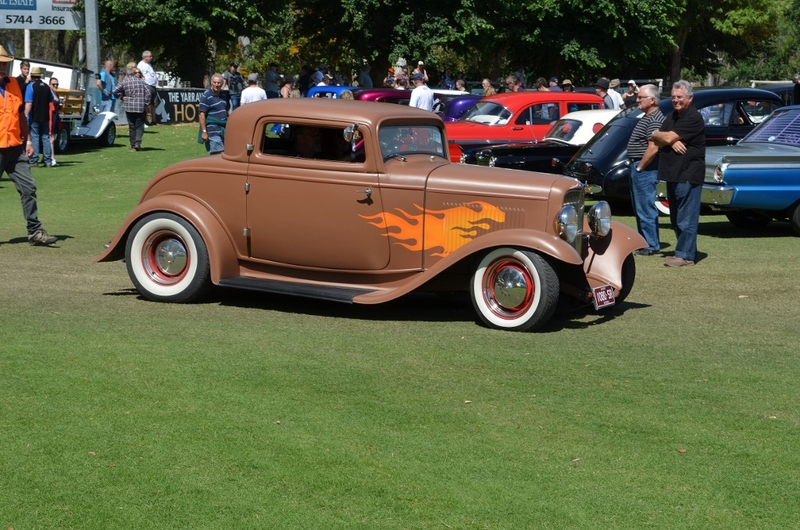 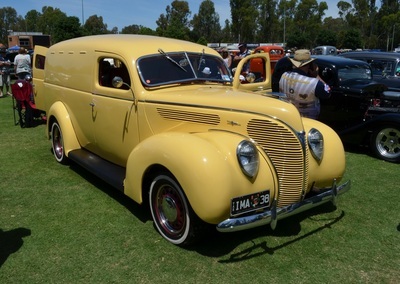 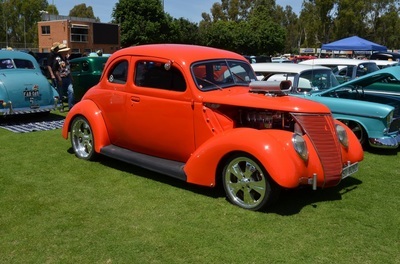 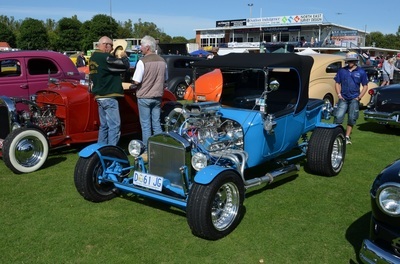 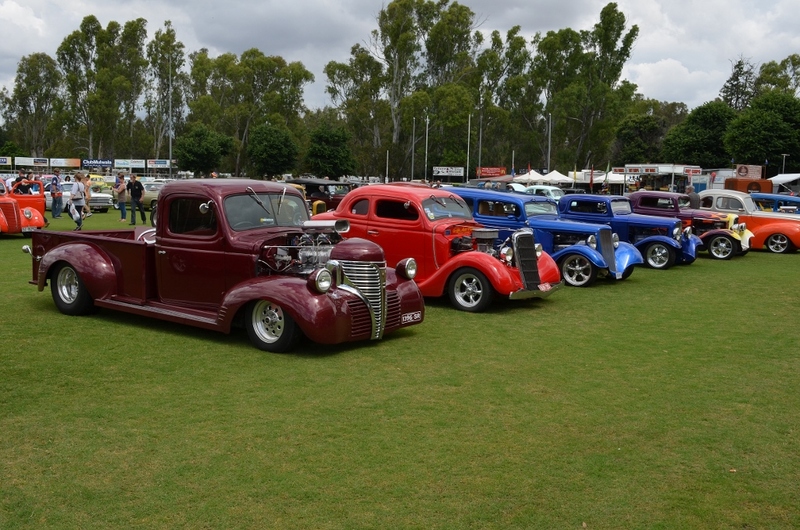 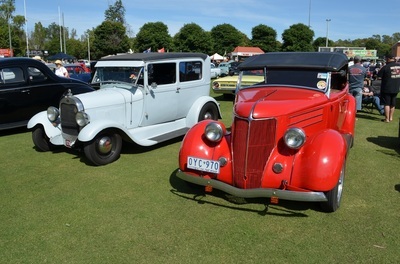 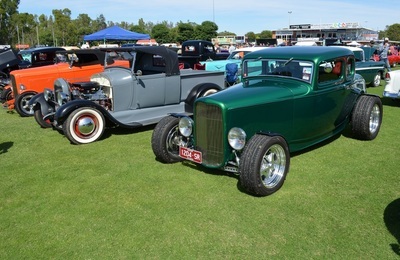 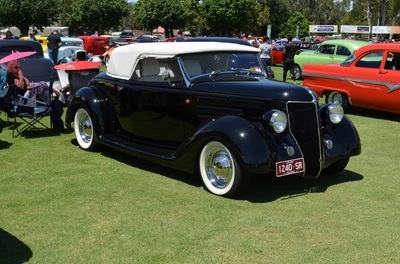 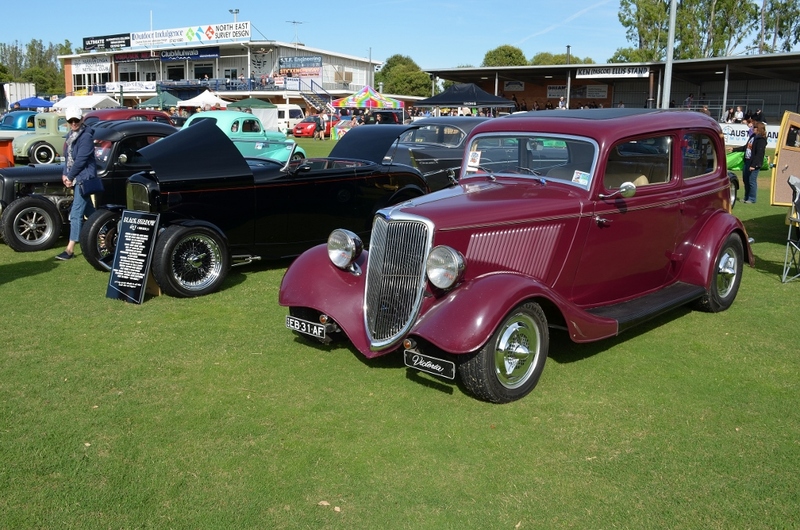 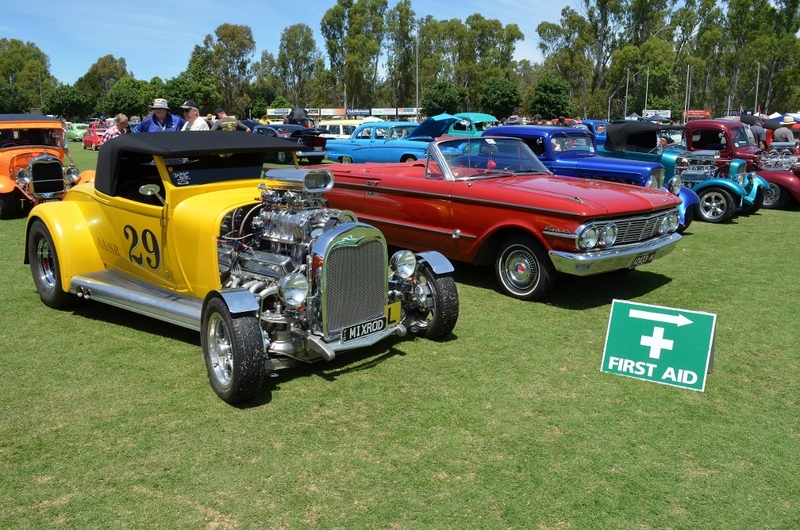 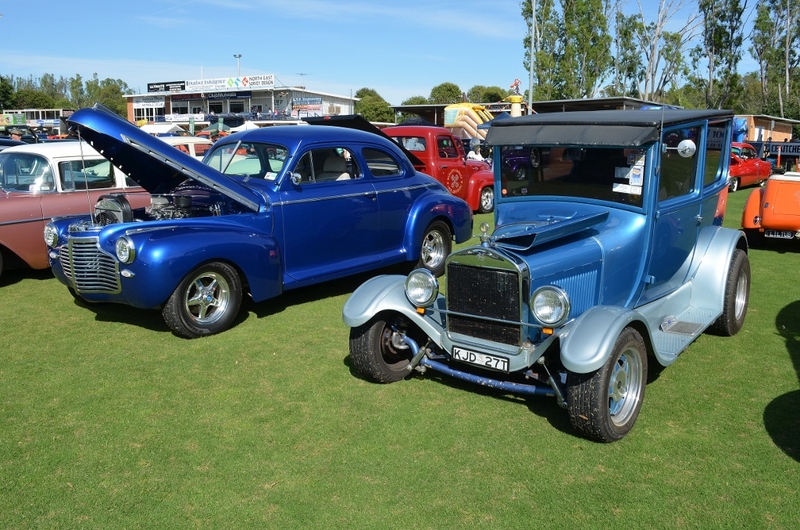 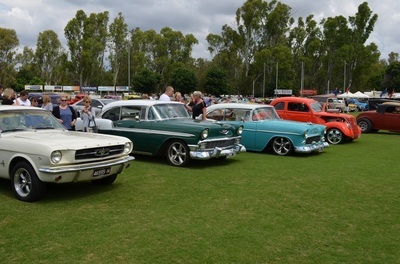 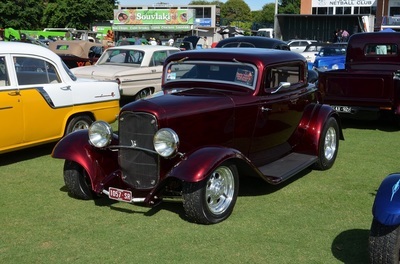 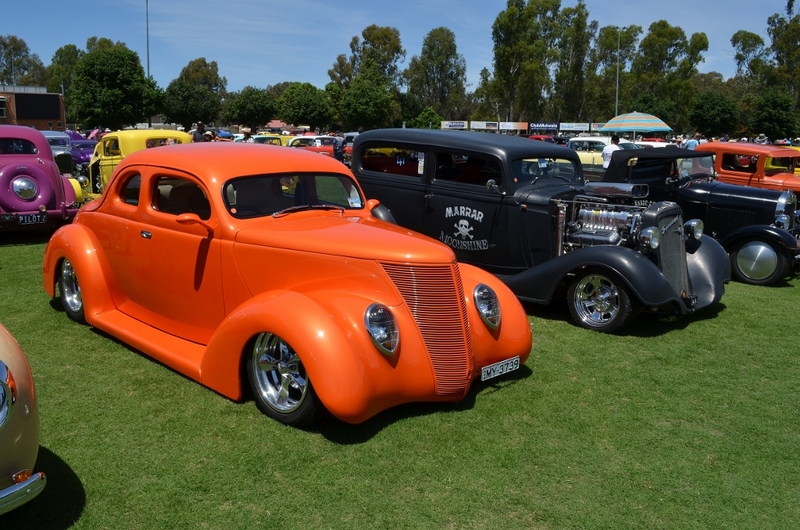 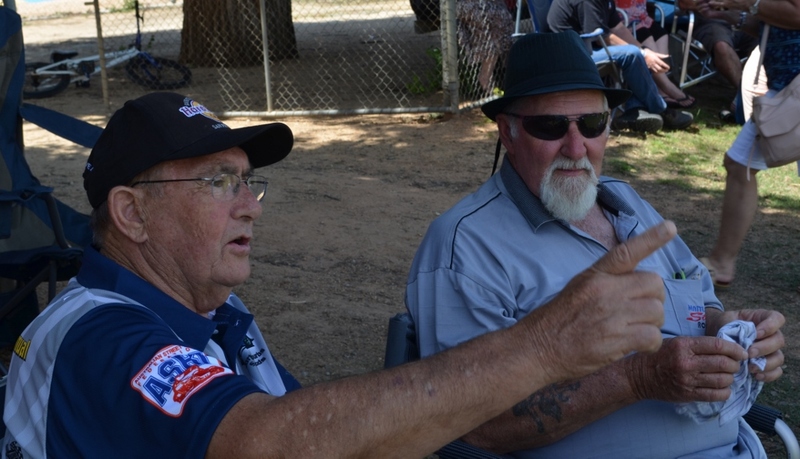 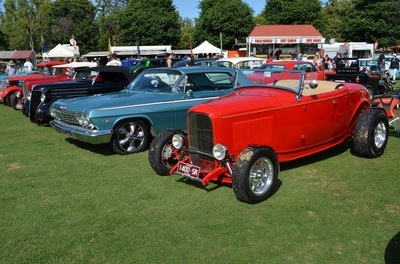 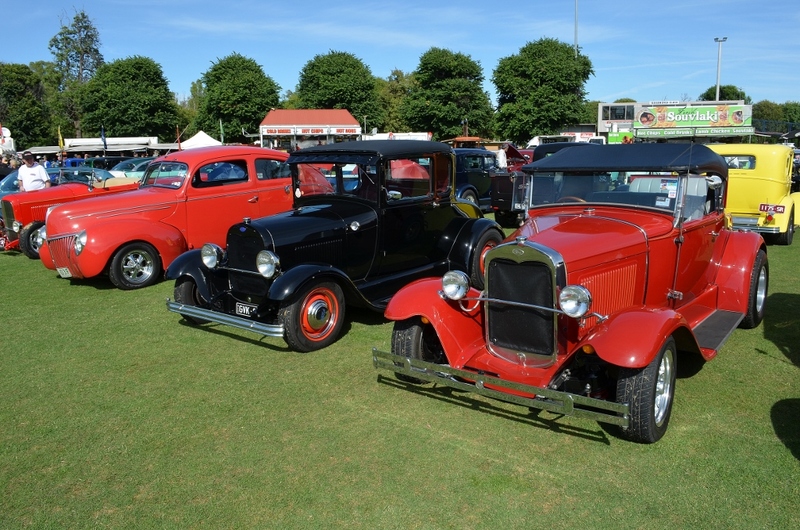 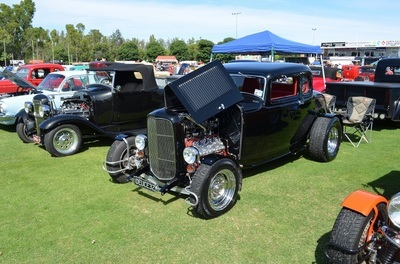 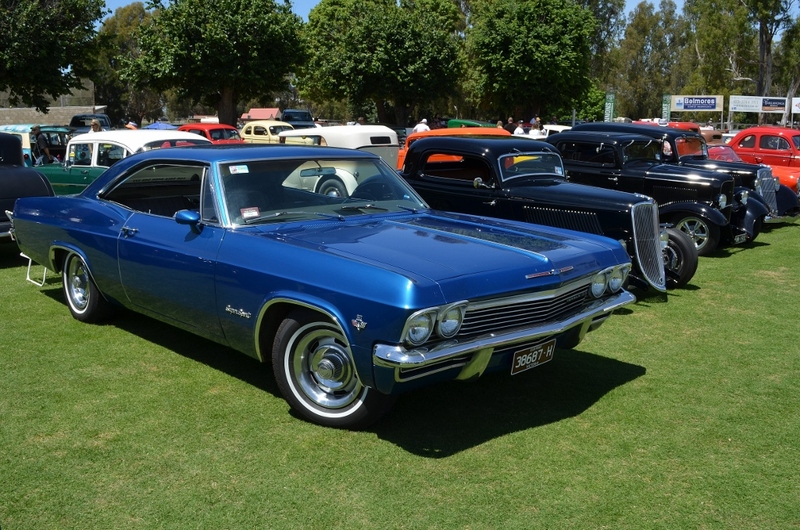 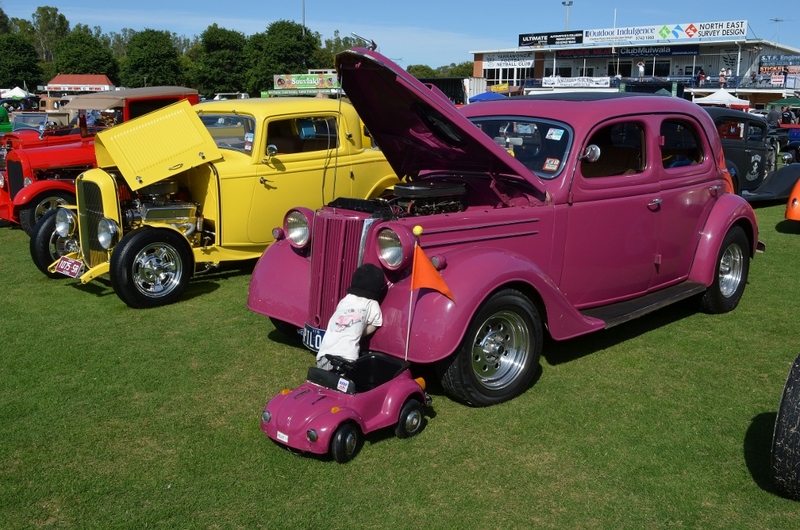 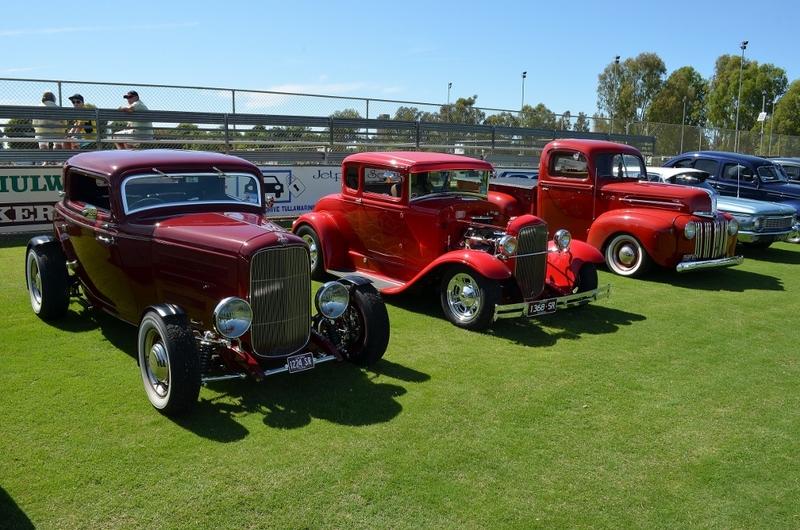 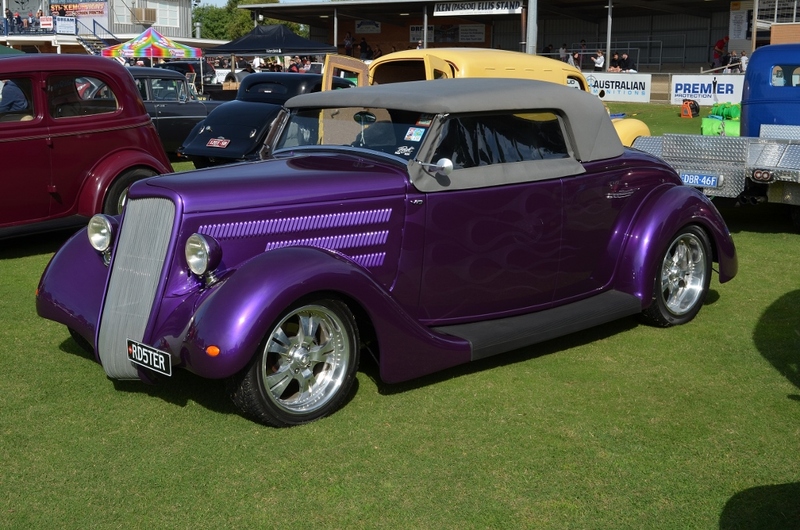 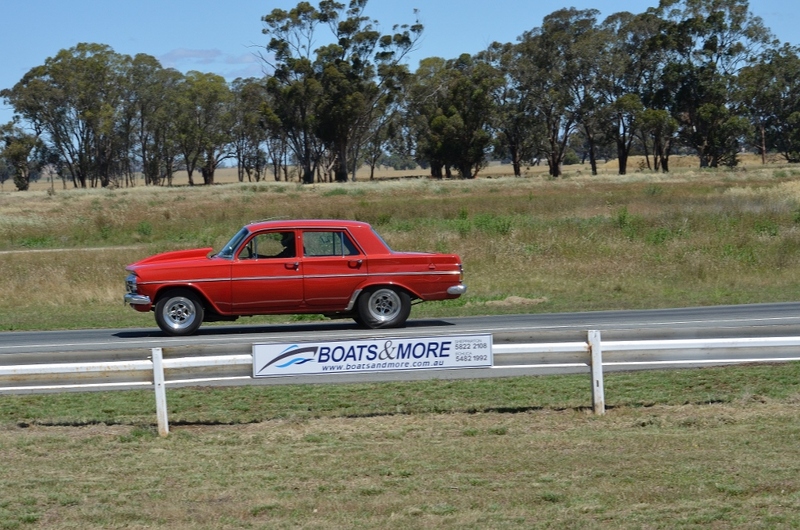 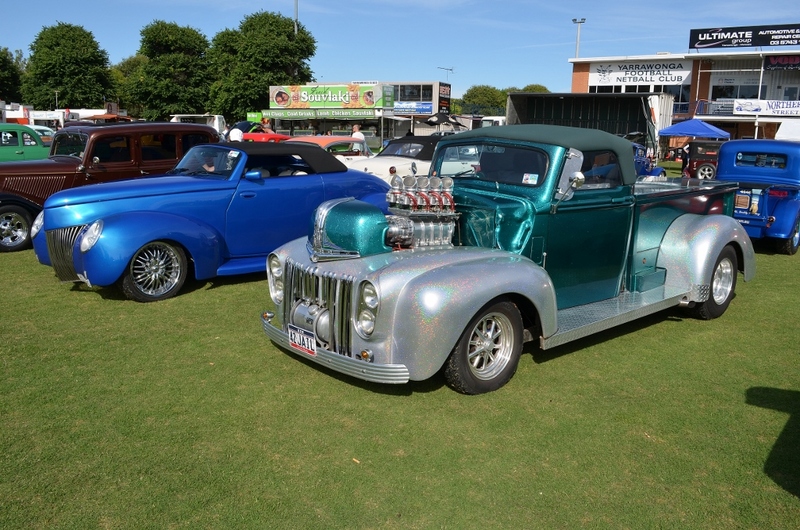 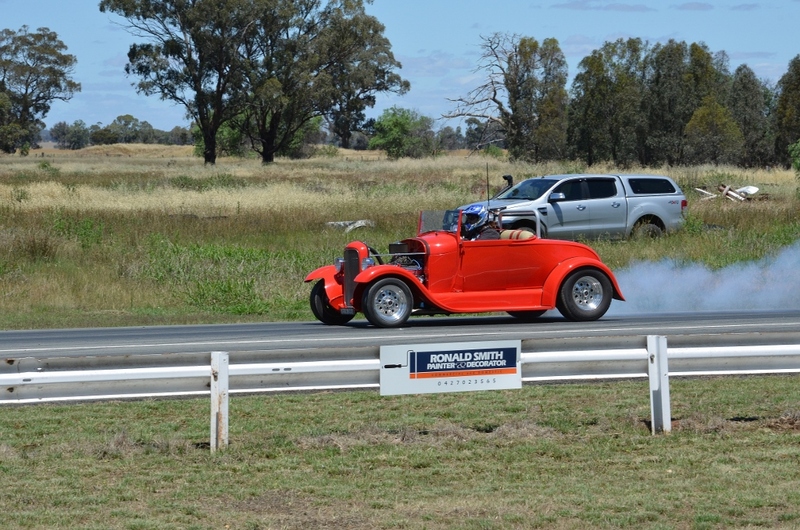 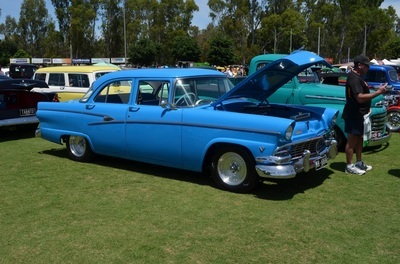 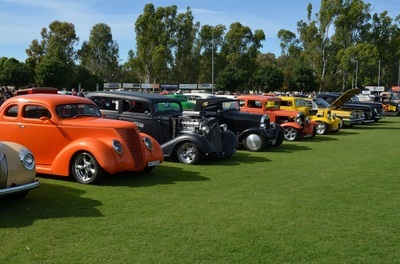 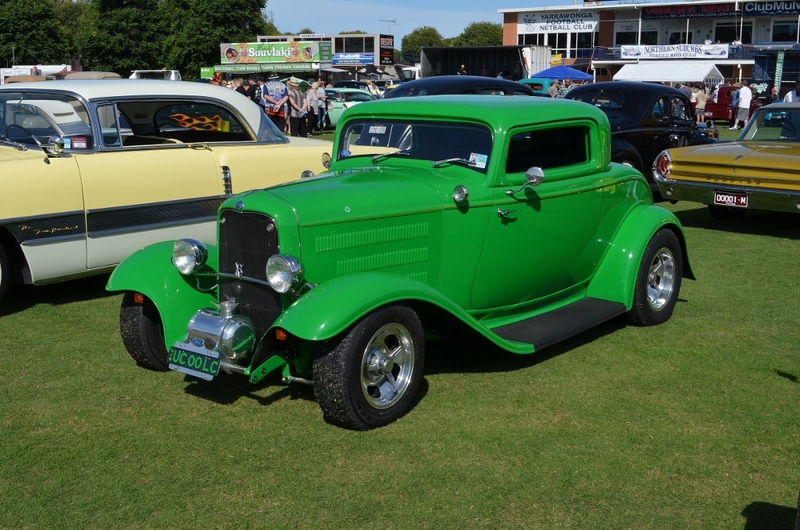 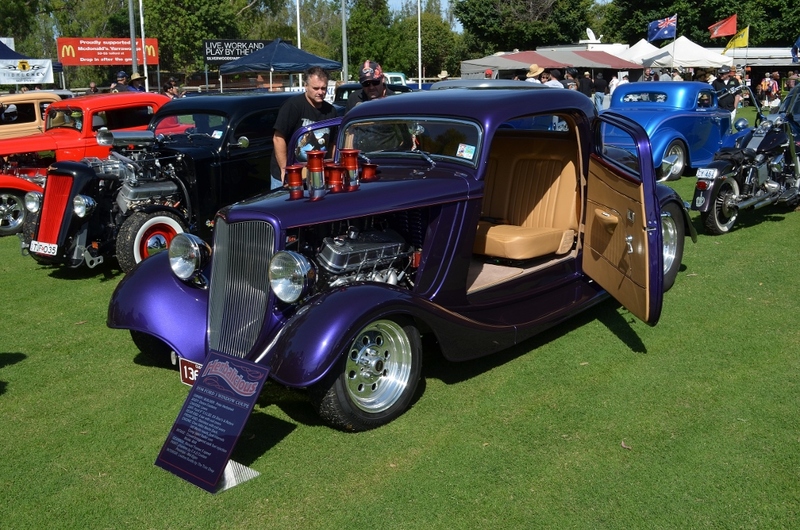 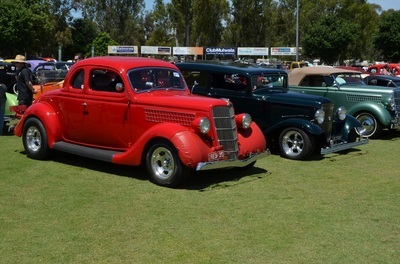 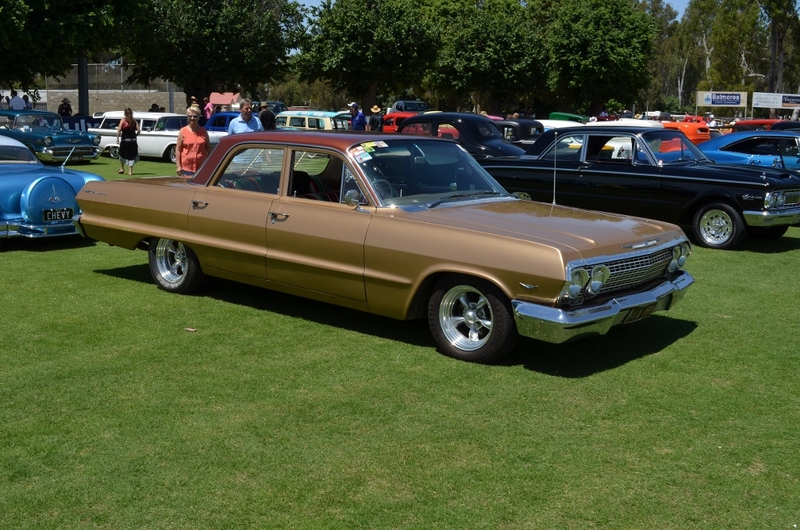 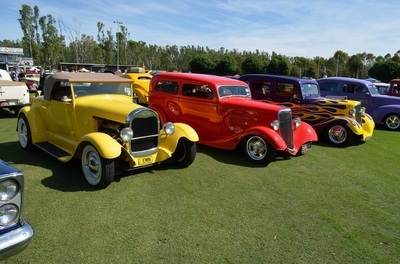 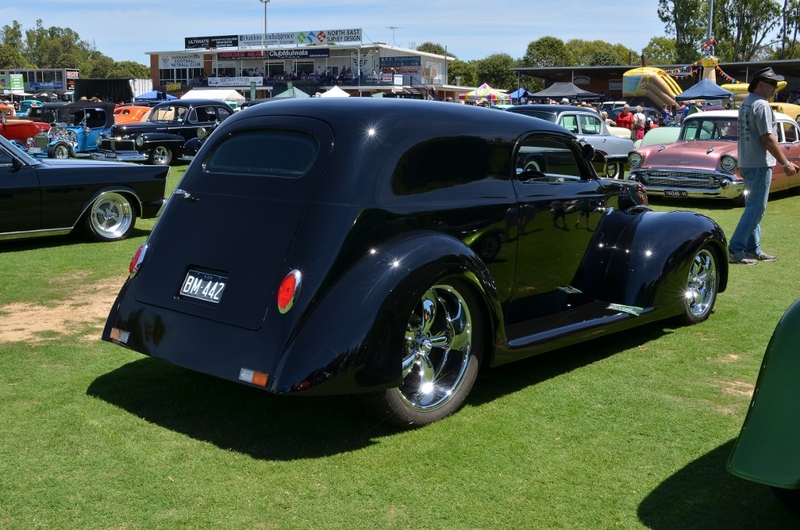 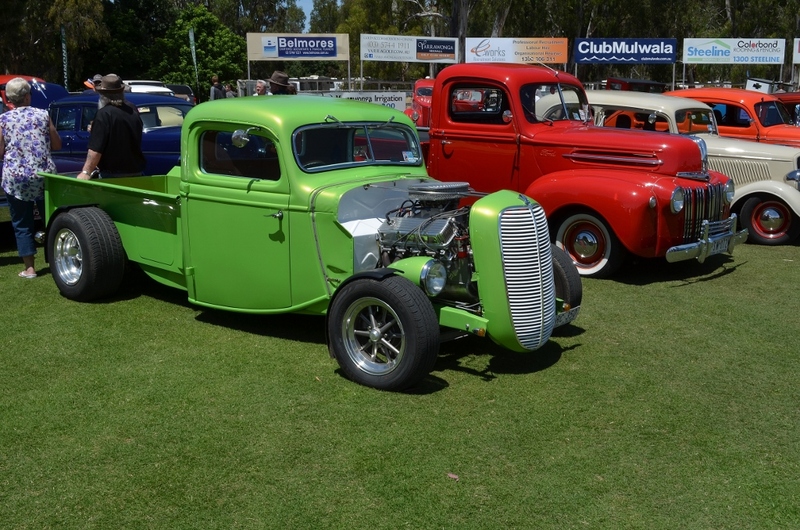 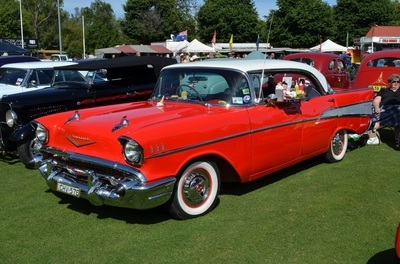 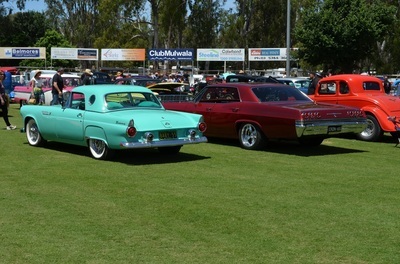 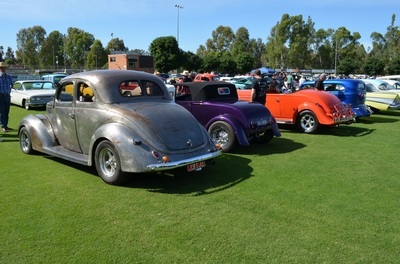 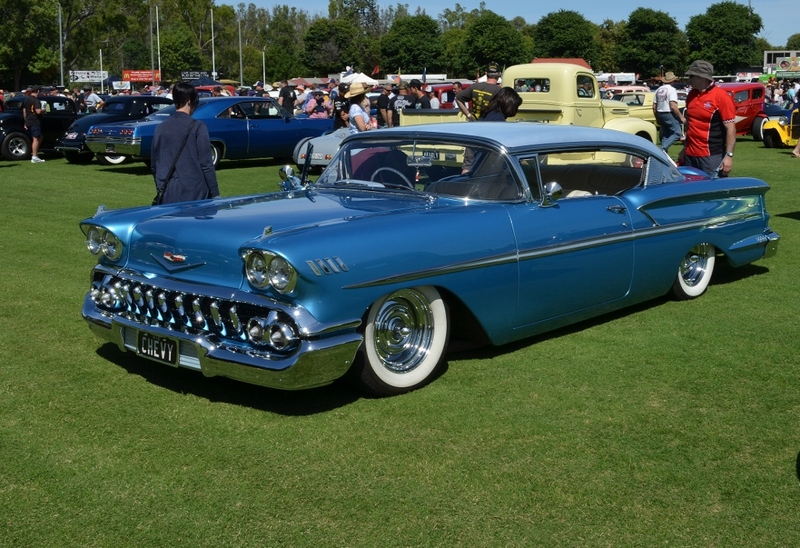 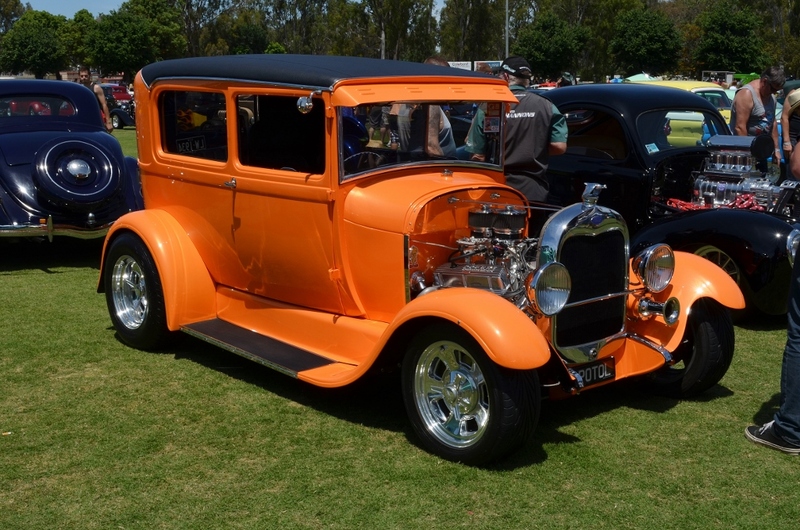 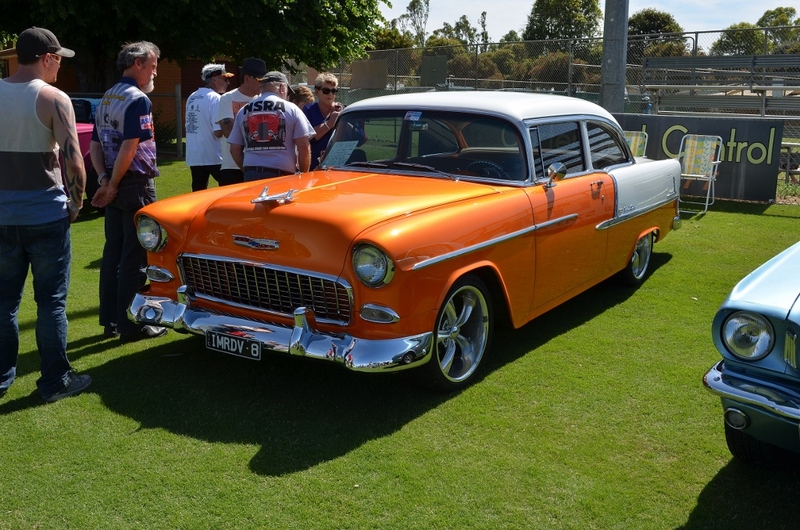 The 2015 Lake Mulwala Rod Run hosted by Northern Suburbs Street Rodder was another great success with approximately 620 entrants. This years weather was perfect and all the activities over the weekend were well attended. 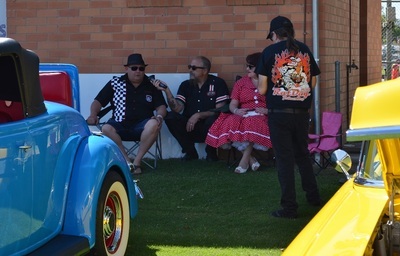 The meet and greet on Friday night had a great BBQ and music. 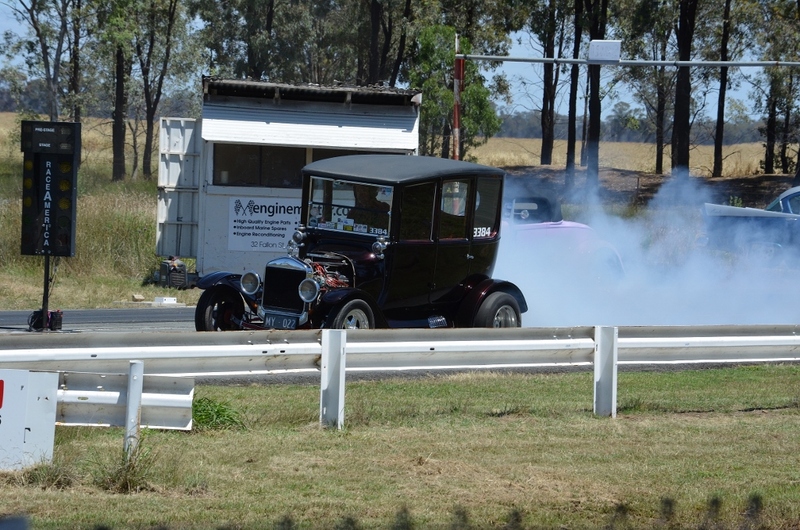 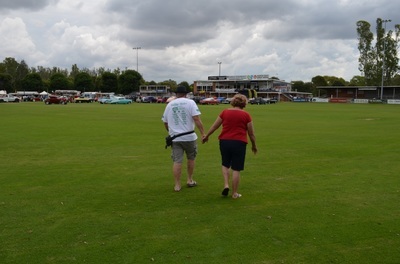 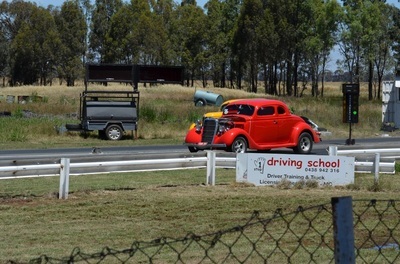 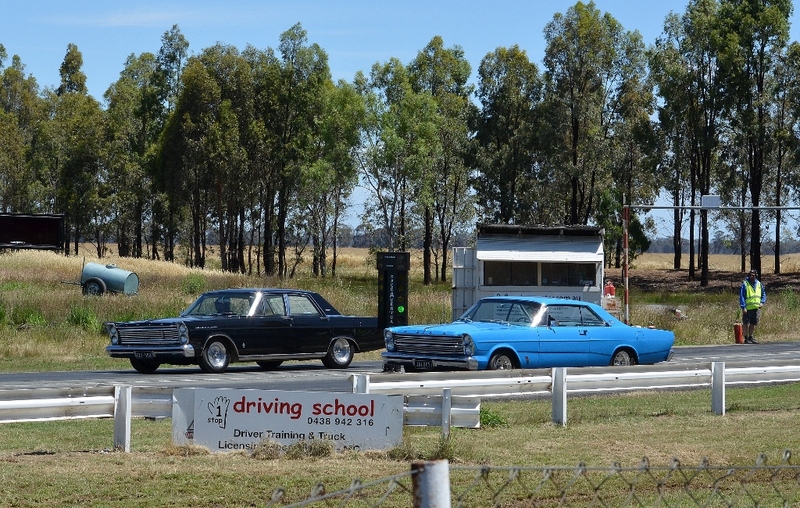 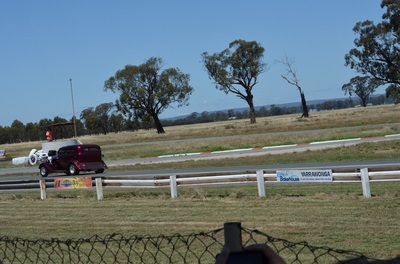 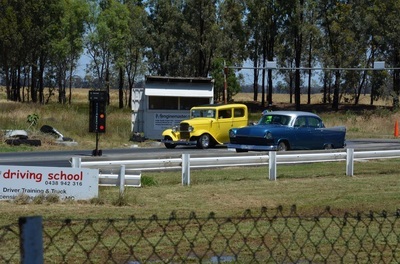 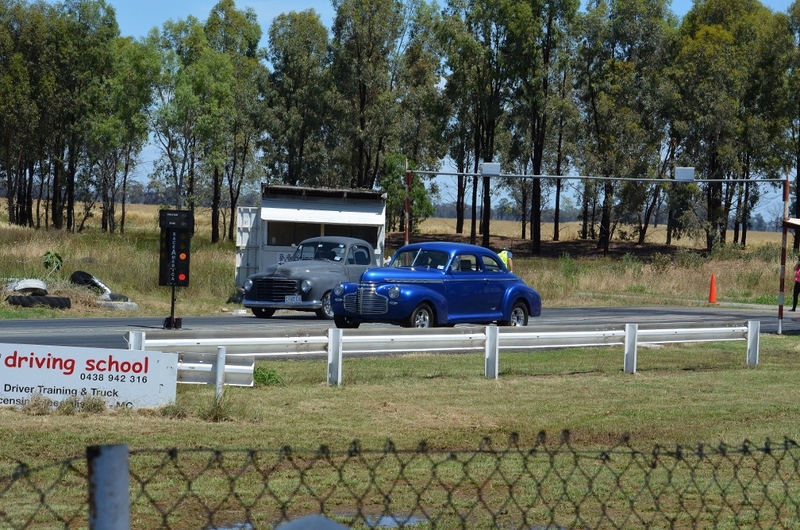 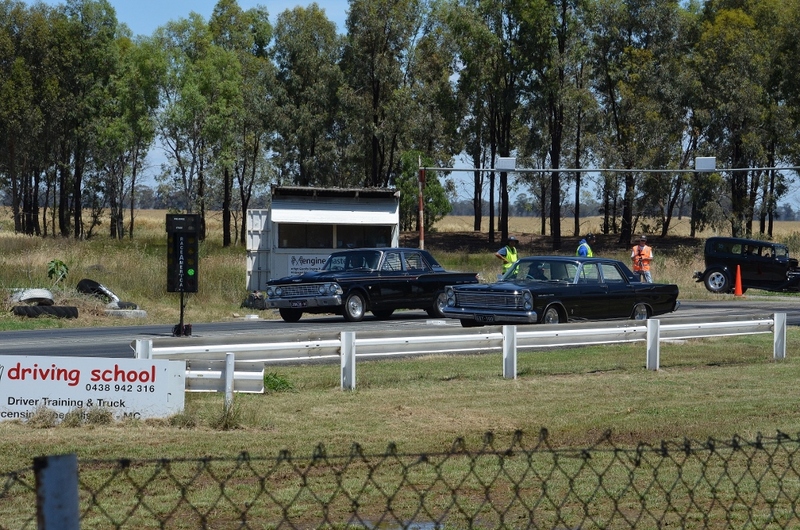 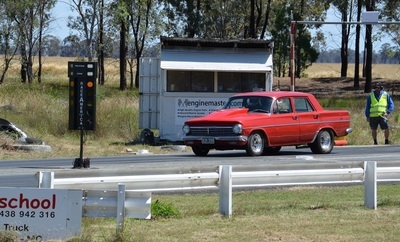 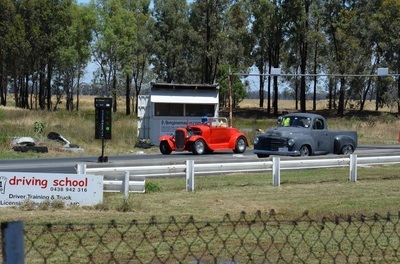 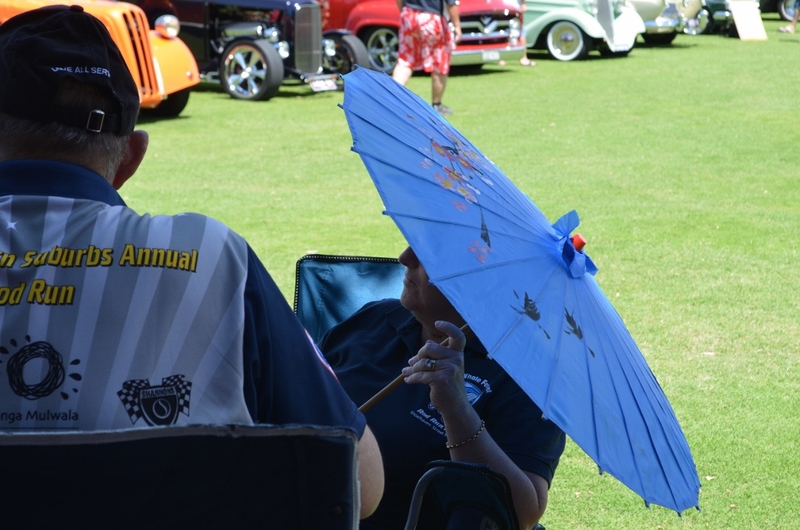 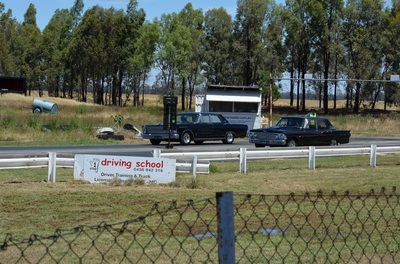 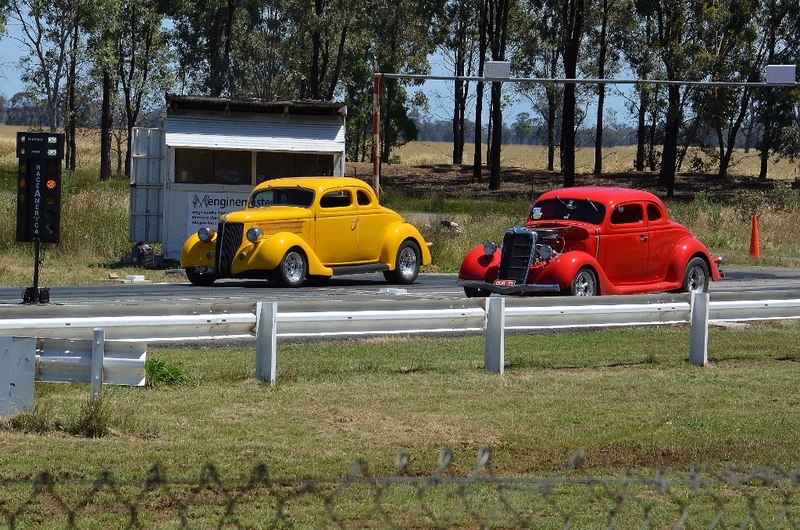 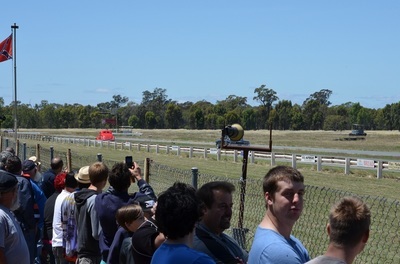 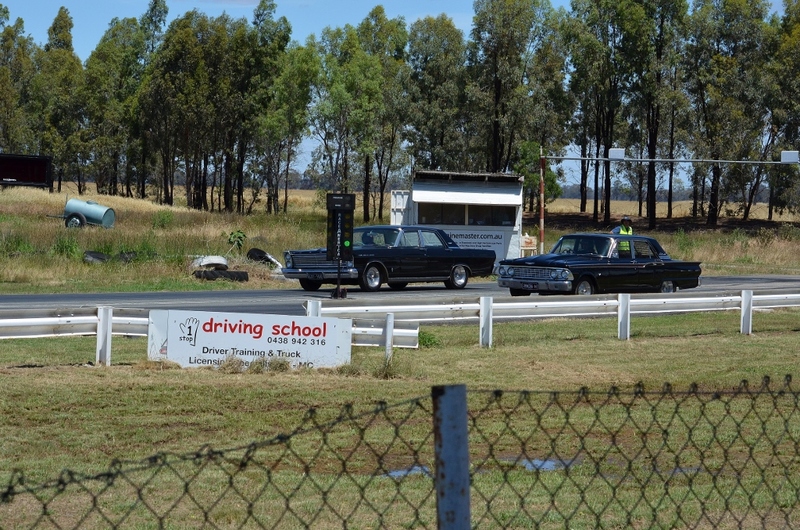 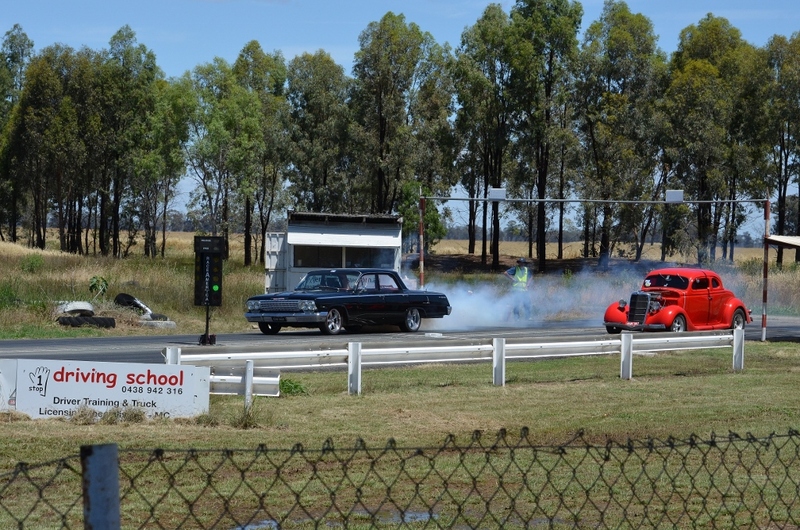 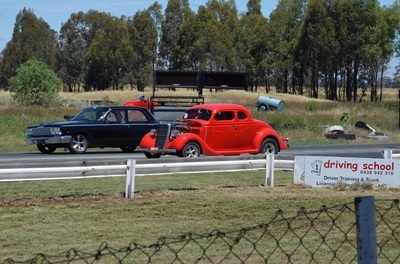 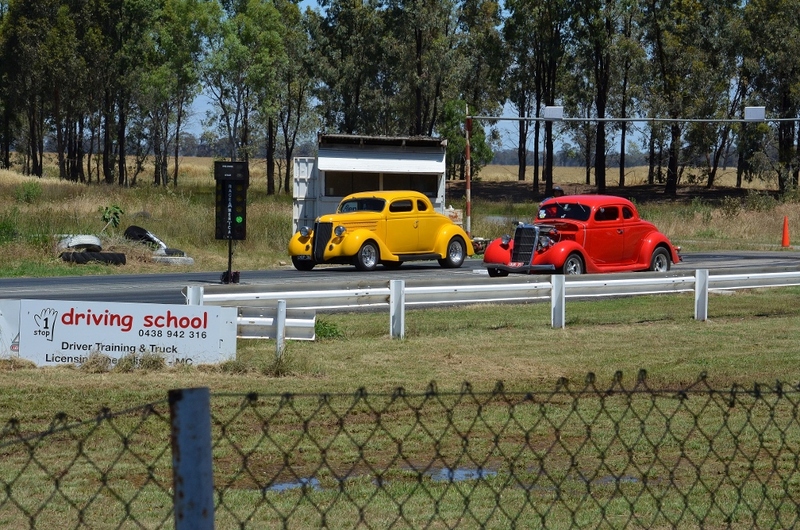 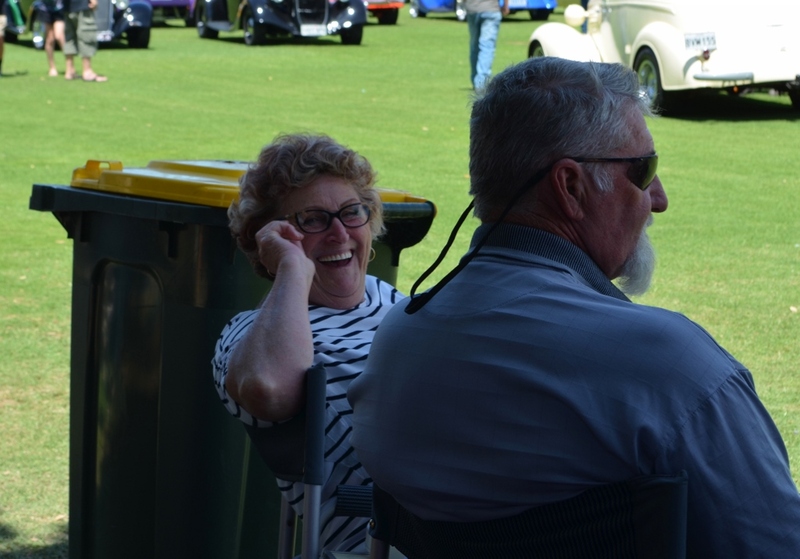 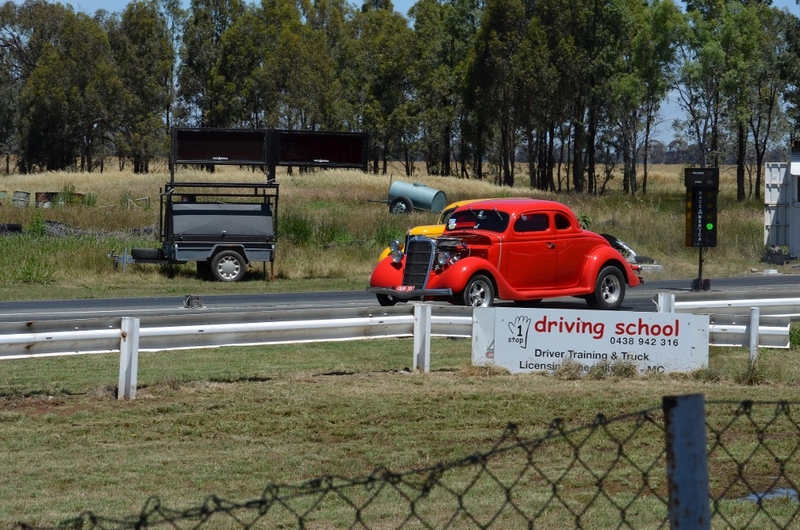 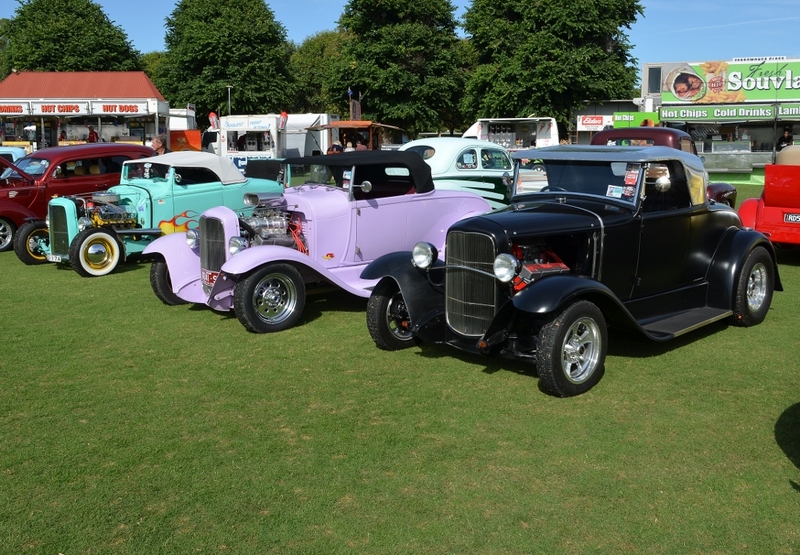 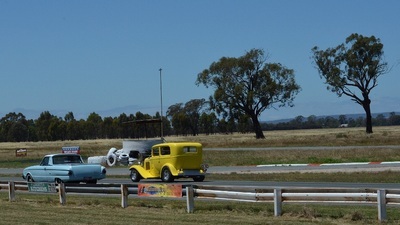 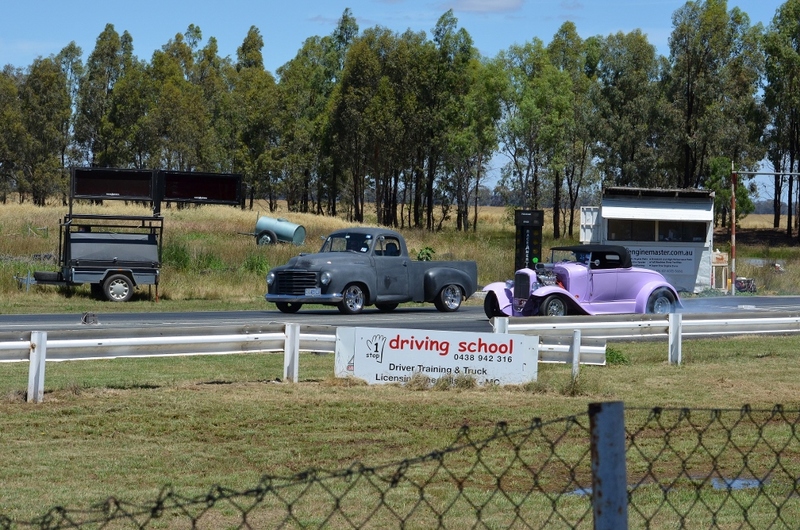 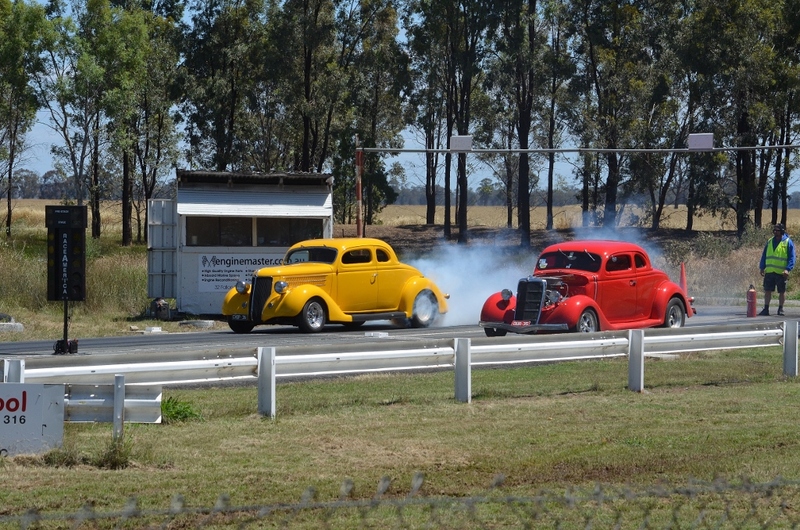 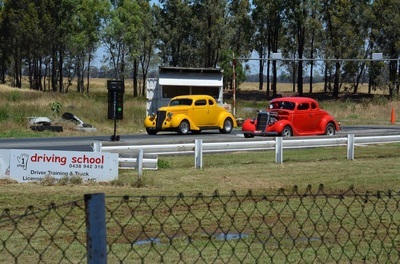 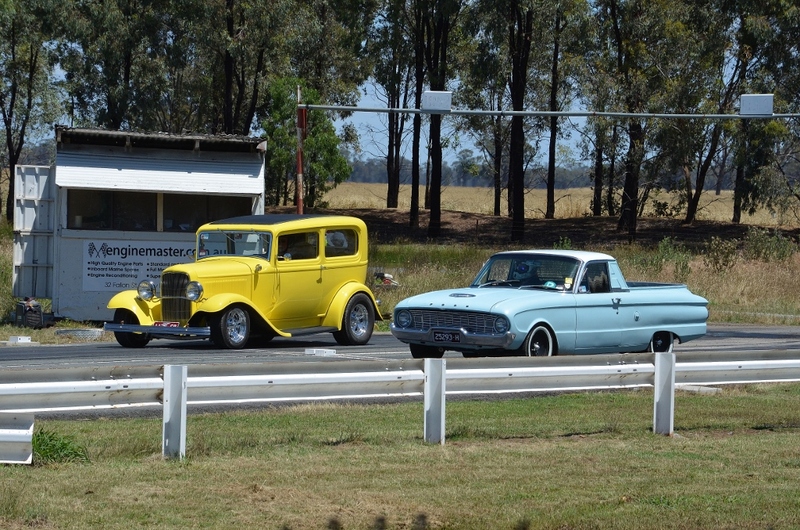 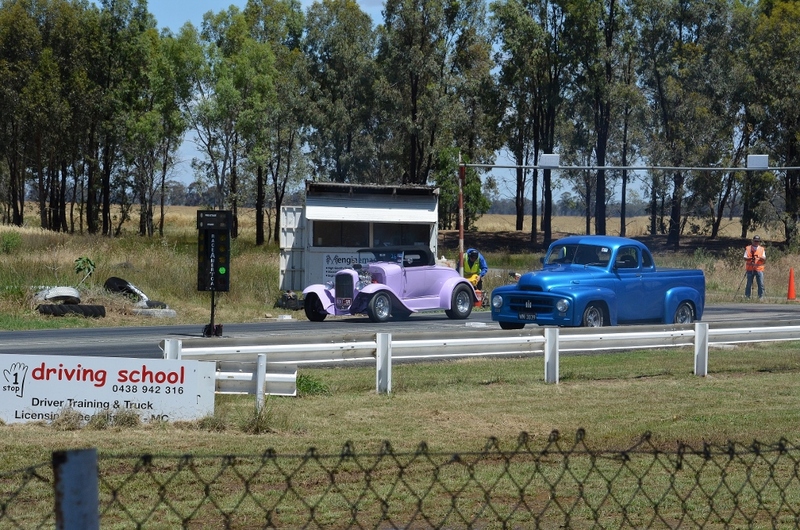 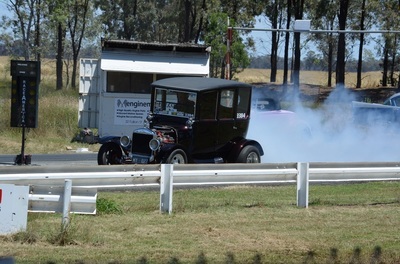 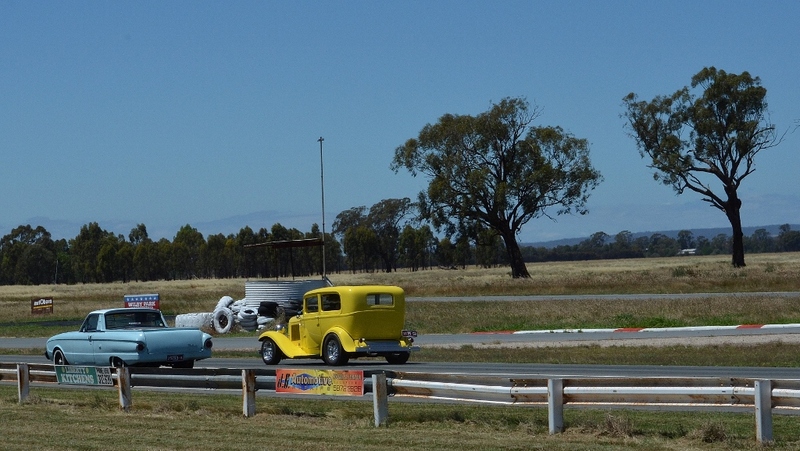 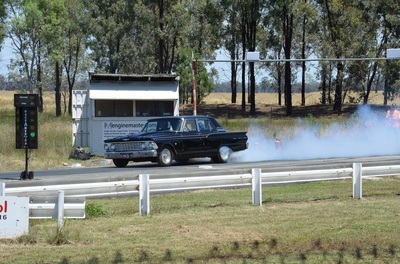 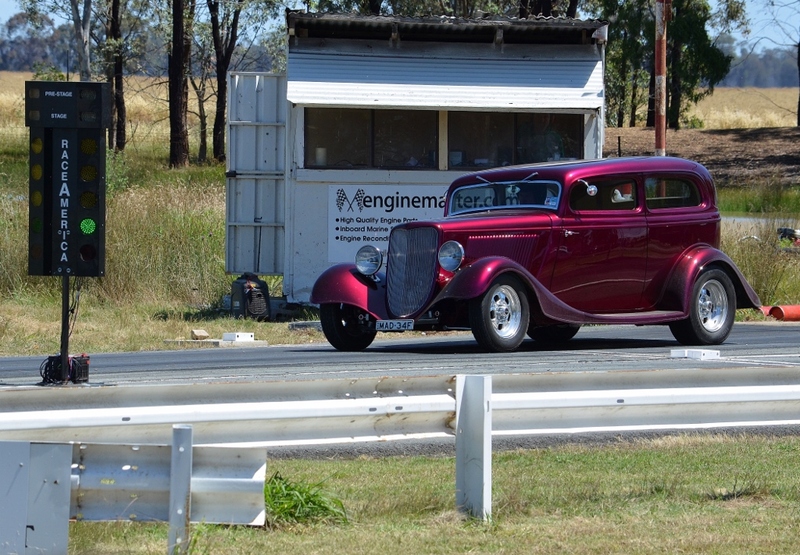 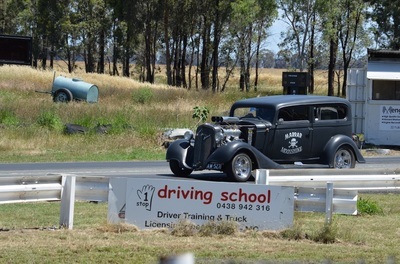 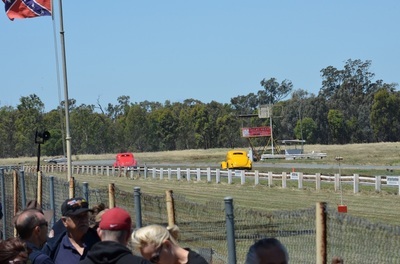 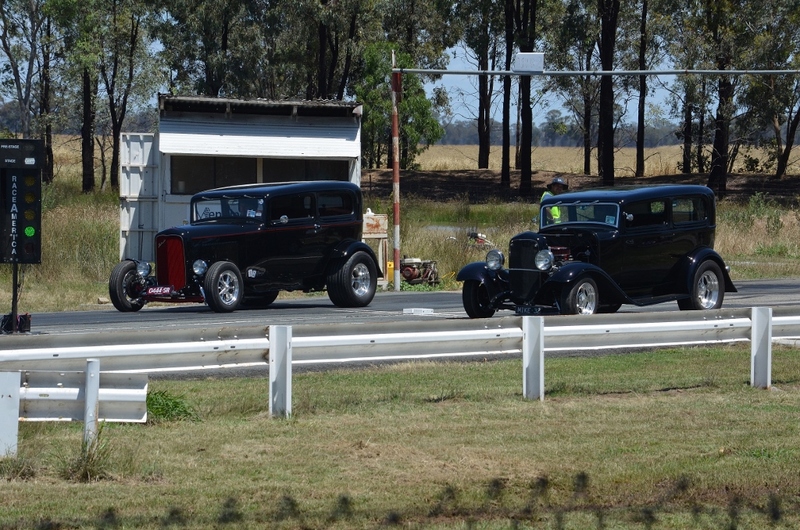 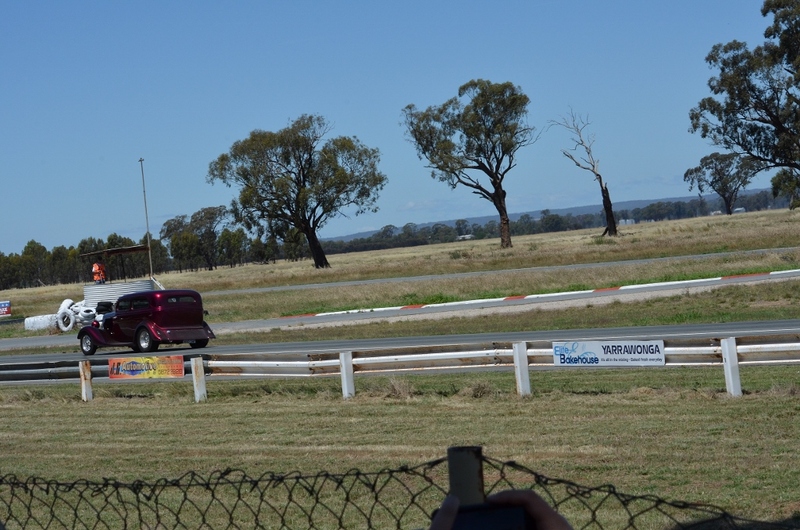 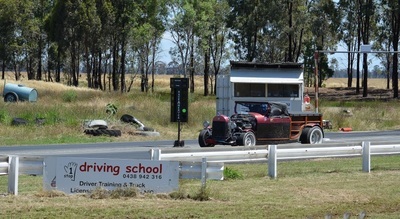 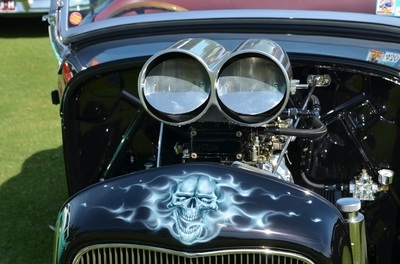 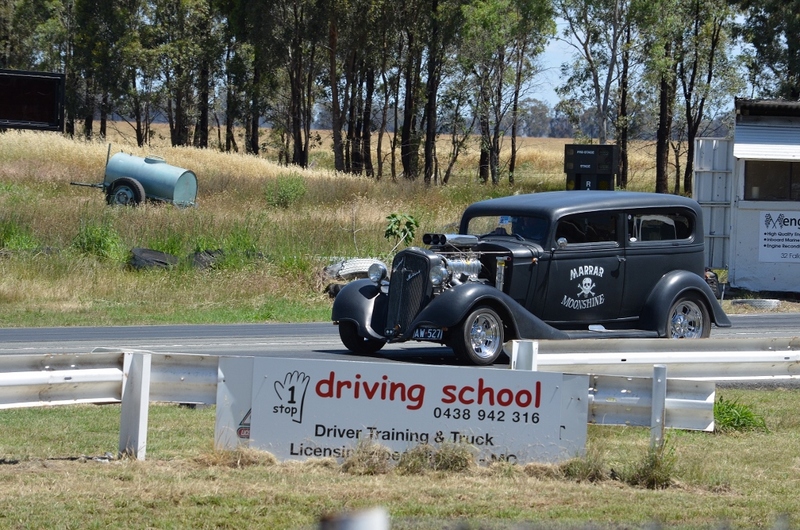 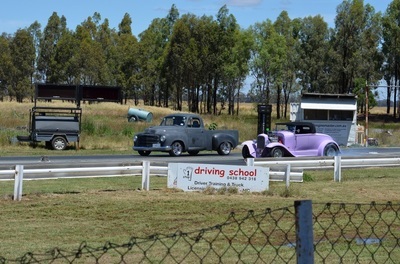 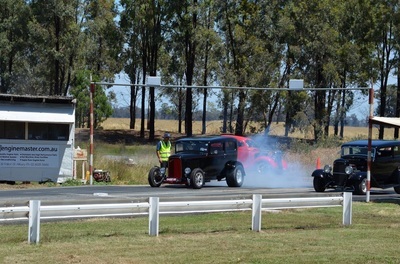 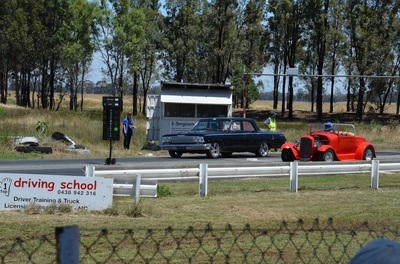 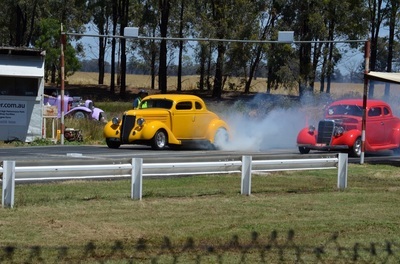 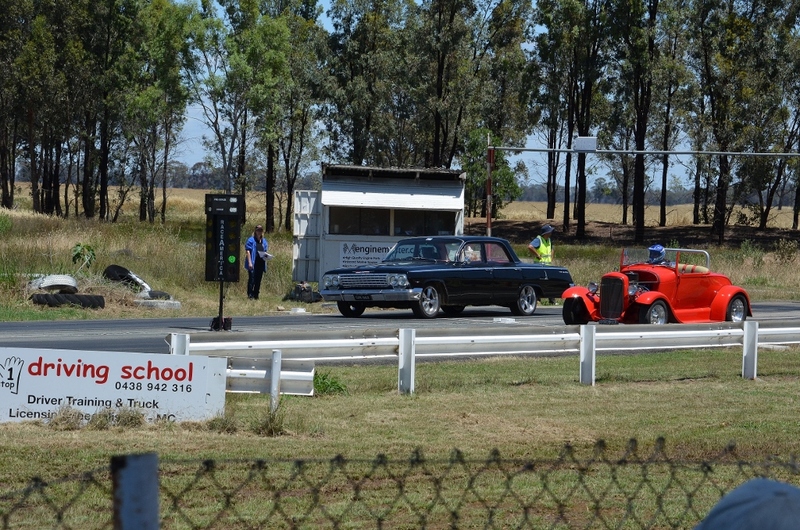 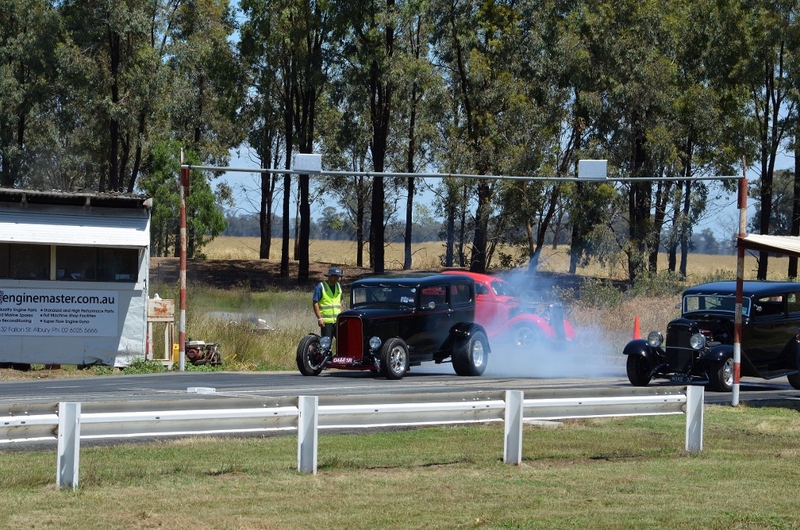 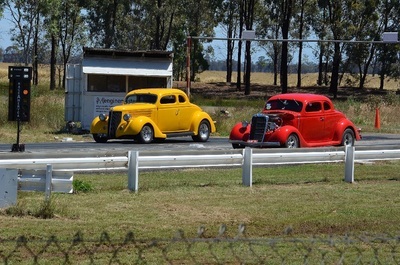 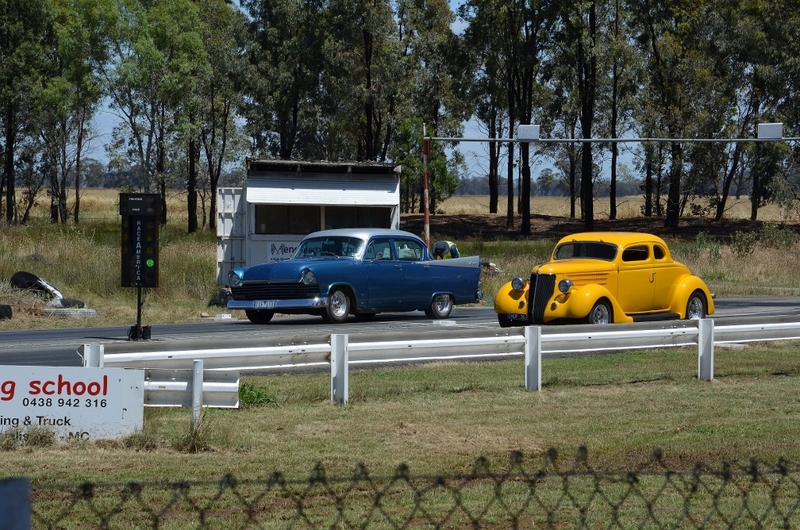 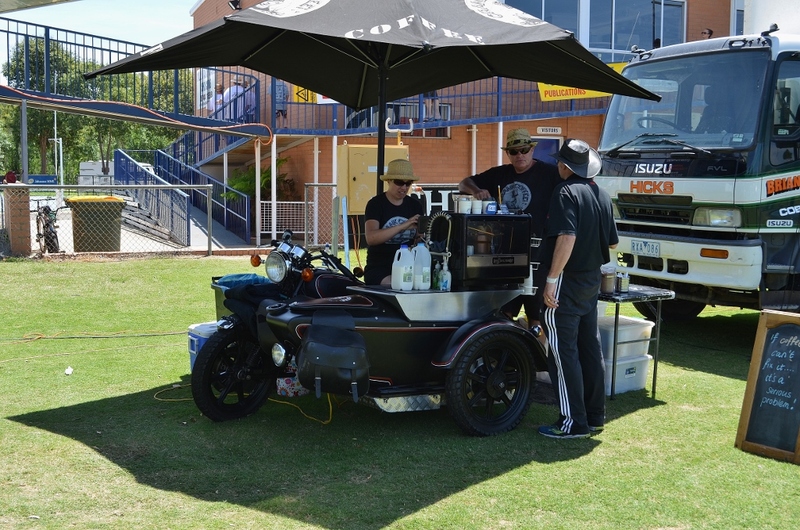 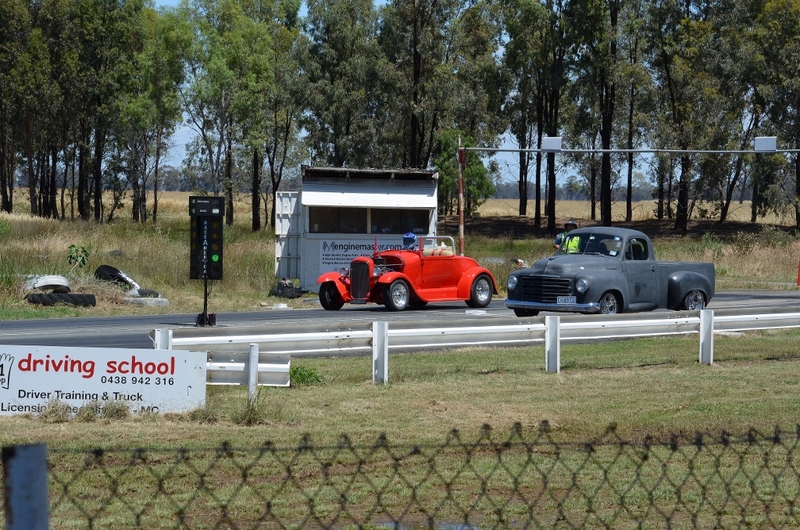 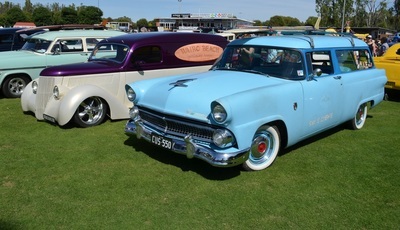 On Saturday you had the poker run, drags and the ladies were looked after with a high tea. 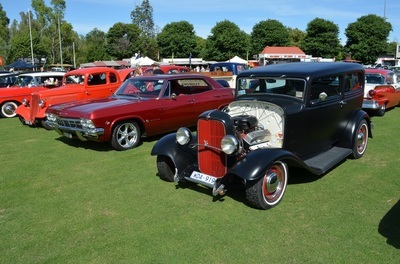 Cruise the streets was on from 4pm till 10 and there was a great meal at the golf club. 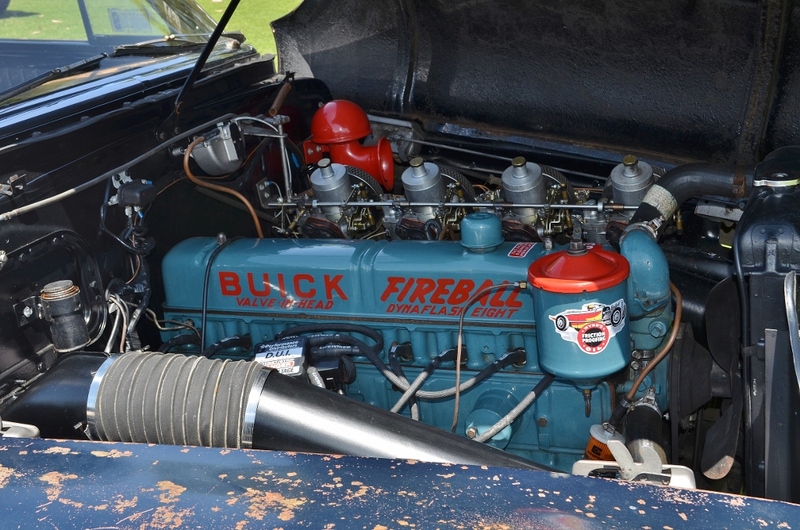 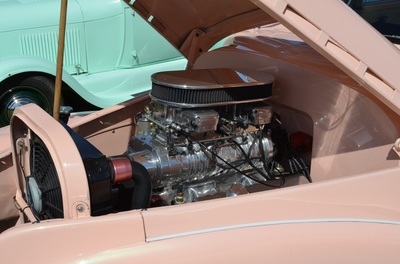 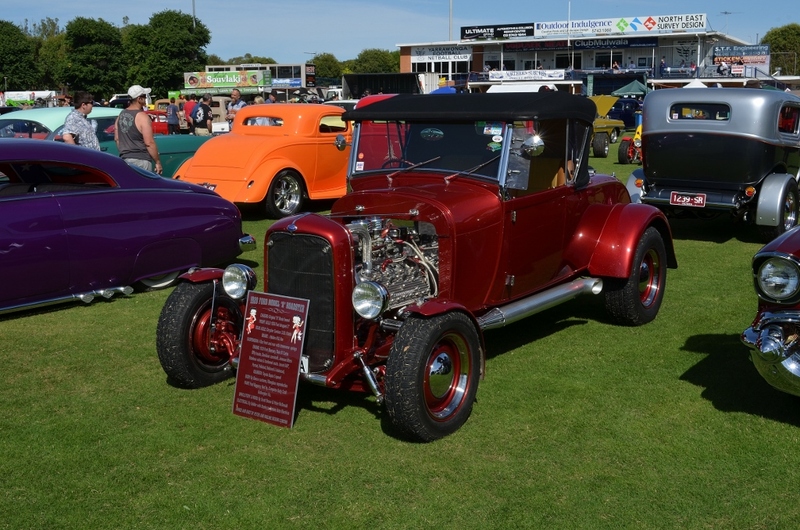 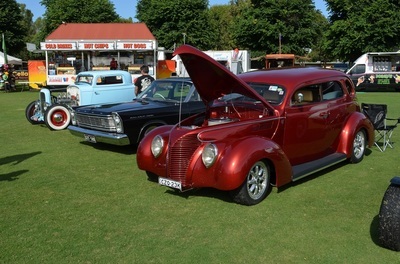 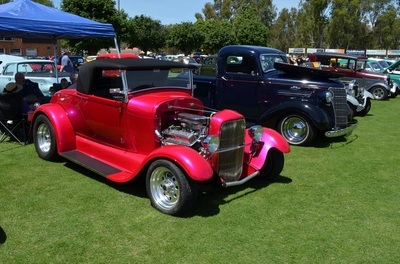 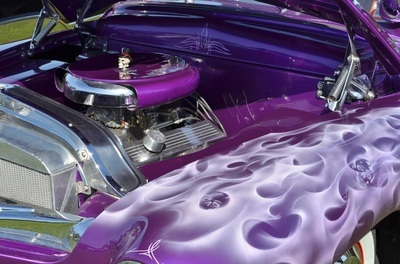 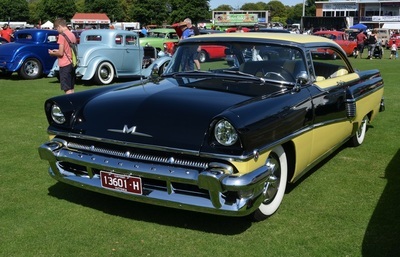 Sunday was show and shine day which had a great breakfast to start the day. 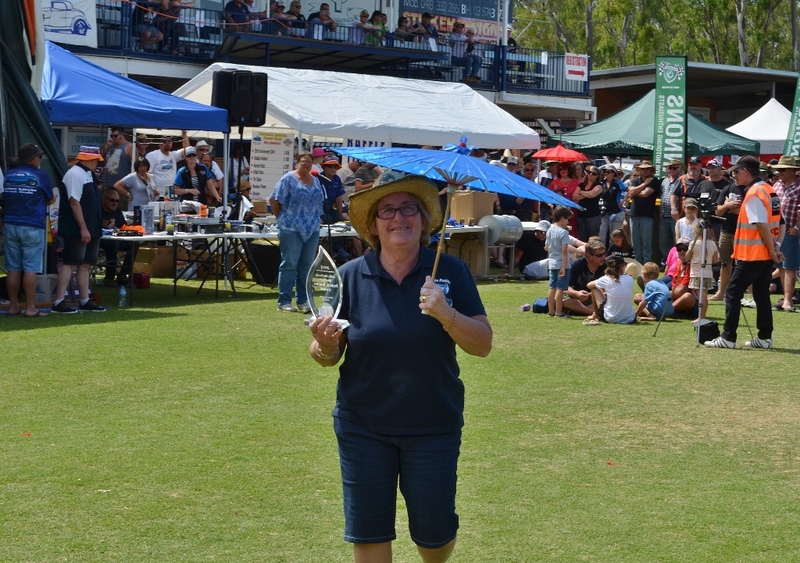 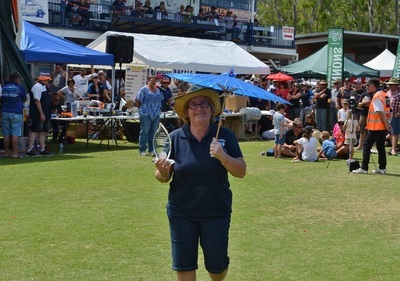 At presentation Glenda won lady rodder of the year which has a special meaning and is a great honour.